Yes, the real Nike Freek - Back with a vengeance. The Nike Freek is one of the most highly acclaimed and popular wrestling shoes that Nike has ever released – and with good reason. 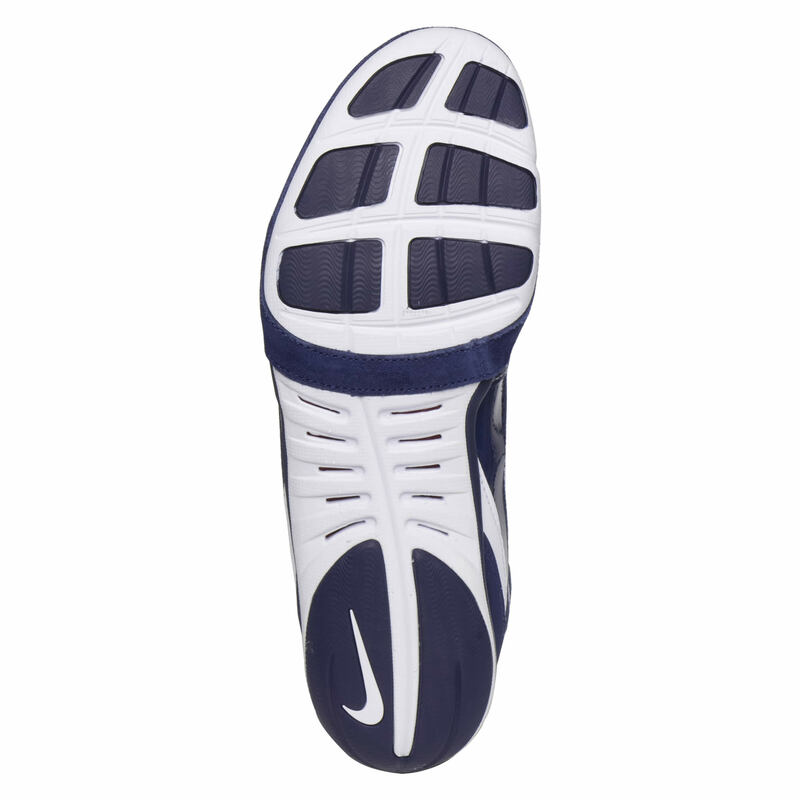 Its one-of-a-kind outsole with flexible grooves was a precursor to the famous Nike Free articulated outsole. 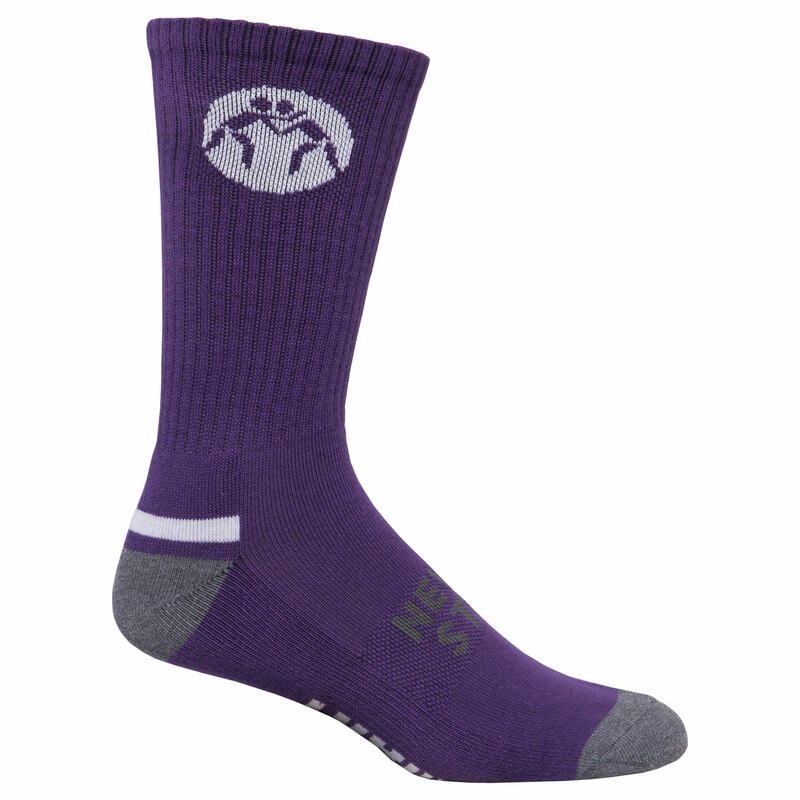 The upper utilizes built-in mesh ventilation to manage temperature while your train and allow for fast drying between workouts. The shoe’s support is reinforced with leather and synthetics to support even the strongest, fastest, and post powerful wrestlers. 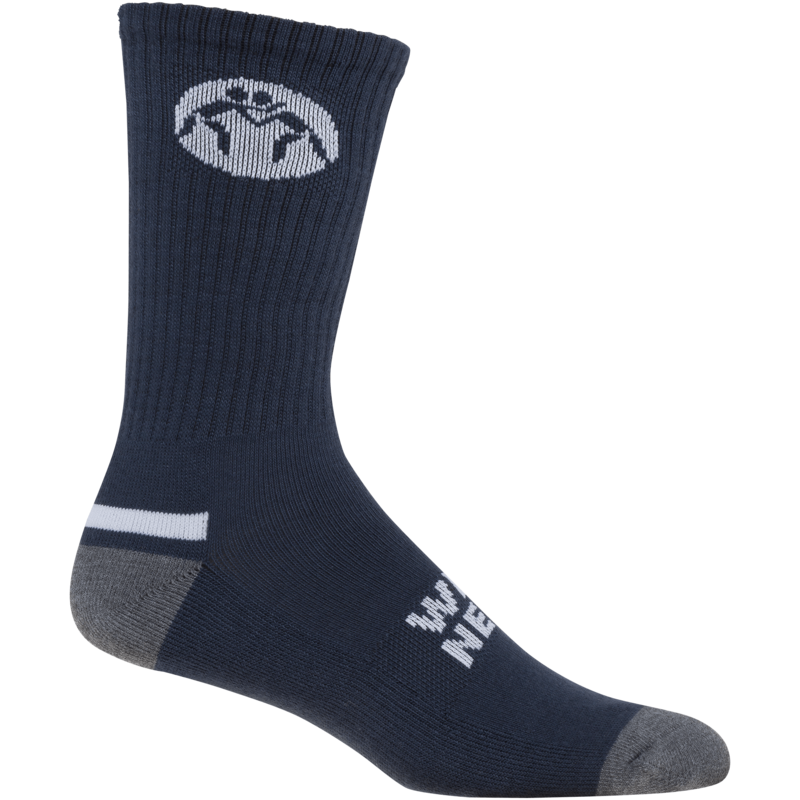 The midsole was designed and constructed with both style and durability mind, including a sleek protective layer wraping around the toe. 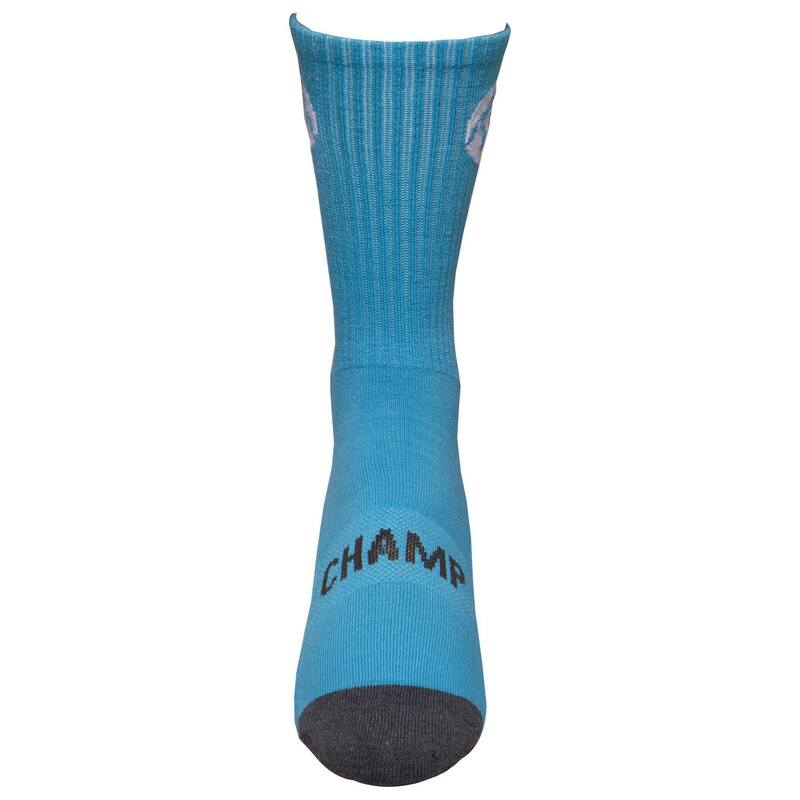 When you lace these up, your feet will feel comfortable, powerful, and supported. 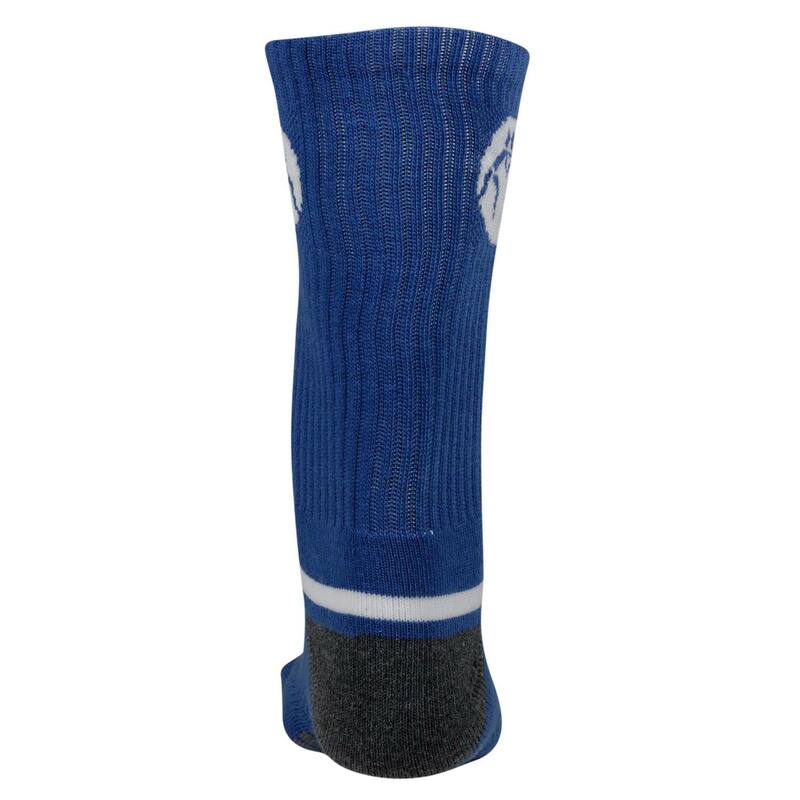 And, of course, it comes with a unique Velcro lace management system in compliance with High School and Collegiate regulations. 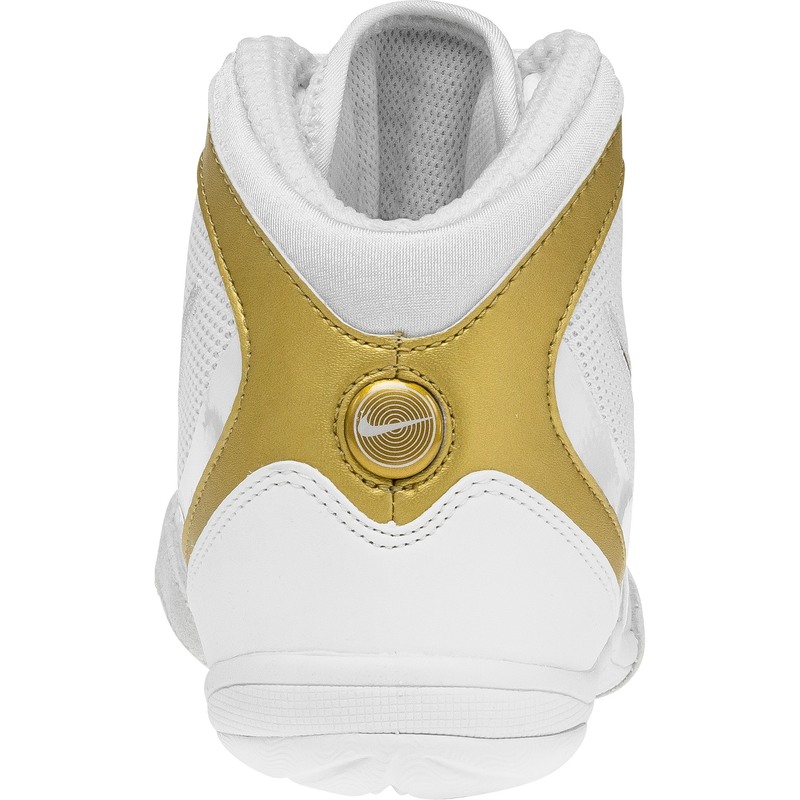 To top it off, what would any Nike shoe be without the famous Nike Swoosh proudly displayed on each side? So if you were waiting for an invitation, this is it. We are inviting you to join the Freek club. 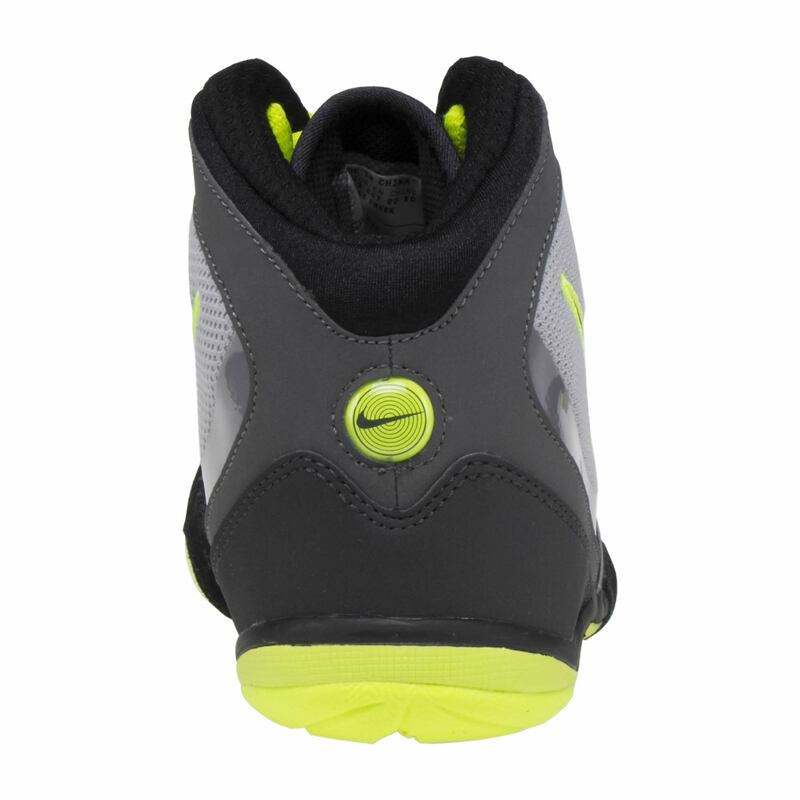 The shoes have very nice grip on the outsole and the color variety is good. Really comfortable. 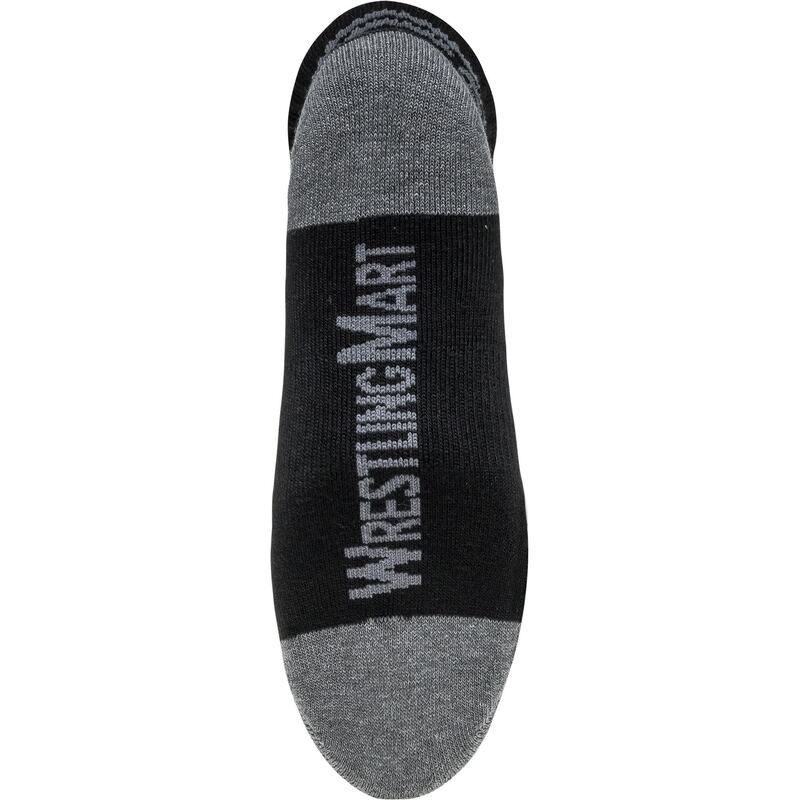 Had all the things I needed for new wrestling shoes. Can't wait to pin someone with your shoes. They are super comfy and very flexible. Awesome shoes!! I love these shoes so much. They look good and they feel great. Good job Nike! 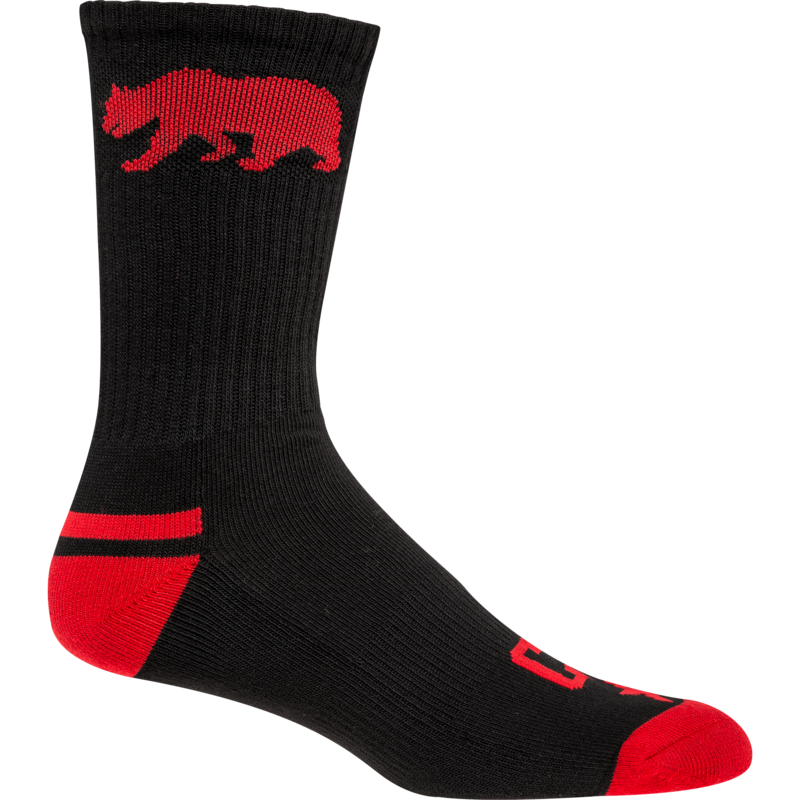 A great shoe for wide feet and big guys. Freaks are really nice and really comfortable. Flexible. I never felt uncomfortable when I would wrestle in them. 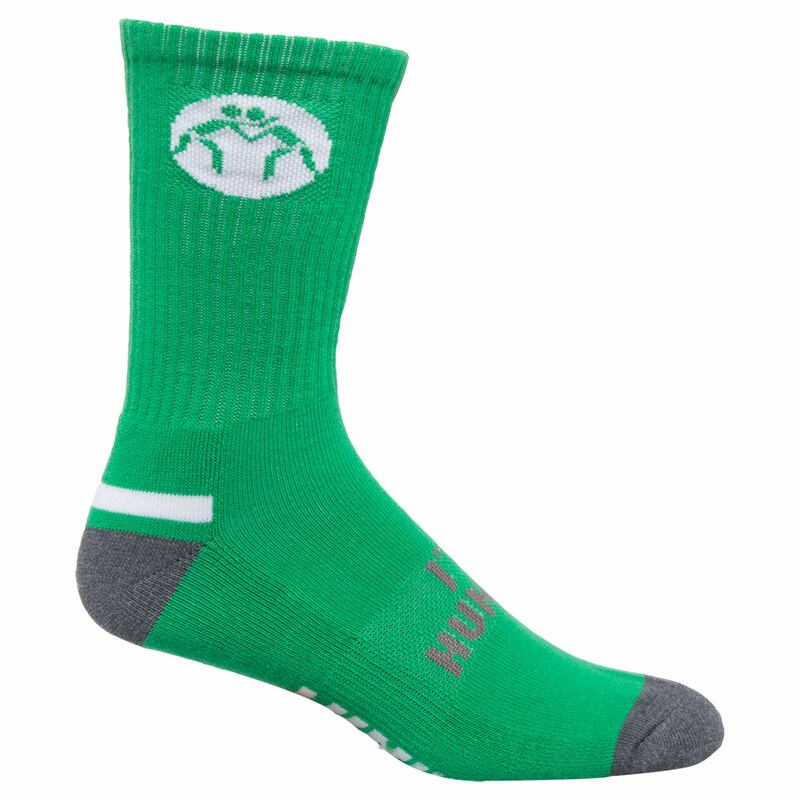 They are perfect when you have a wide foot because they are never too tight. The design is really nice too. Very comfortable. Tried on many pairs of shoes but kept going back to these. Good grip. Stylish. 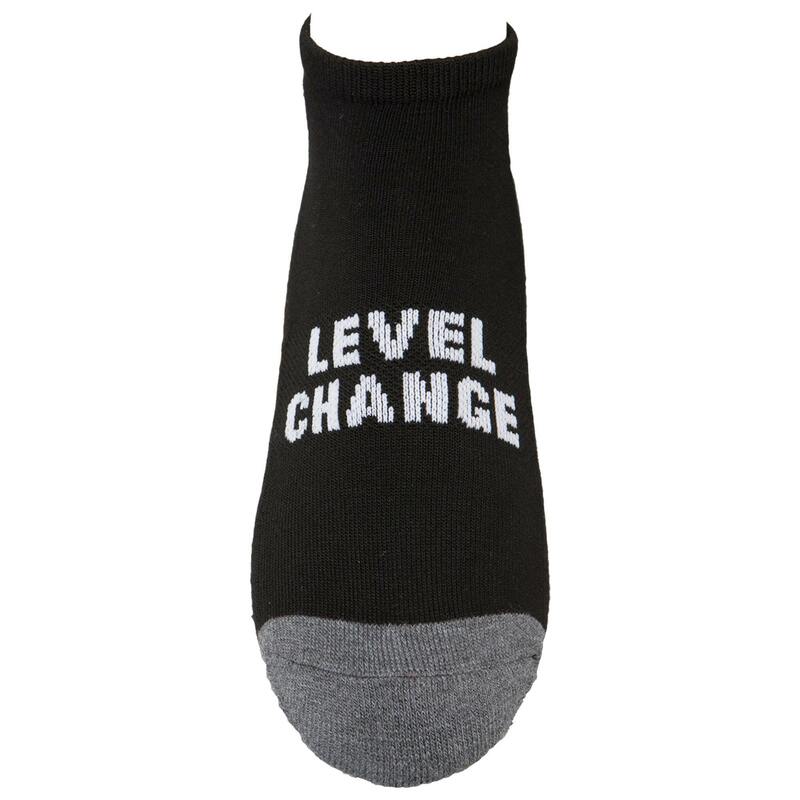 Good ankle support. Flexible. Light. 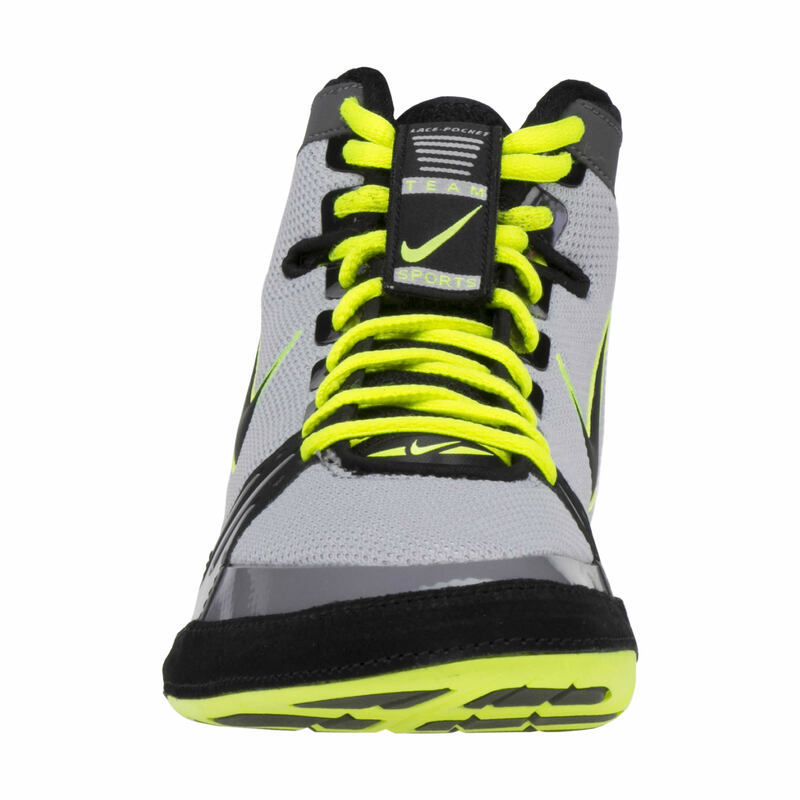 The Nike Freeks are very light and flexible. 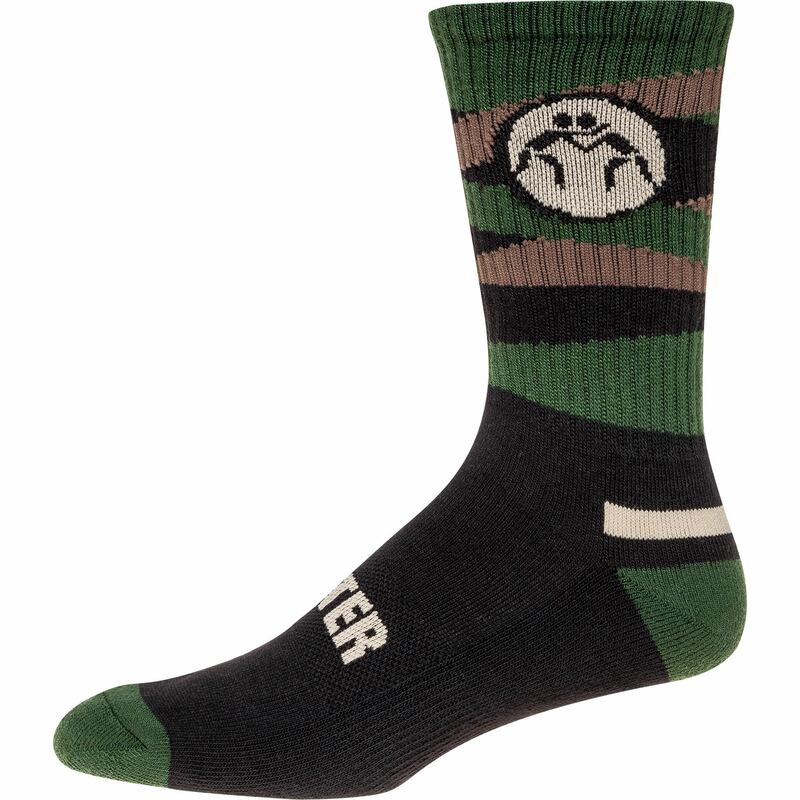 They are good for narrow and wide footed wrestlers, as well as, having amazing grip and looks. Love the shoes! I've had these shoes for a year already and they feel great. 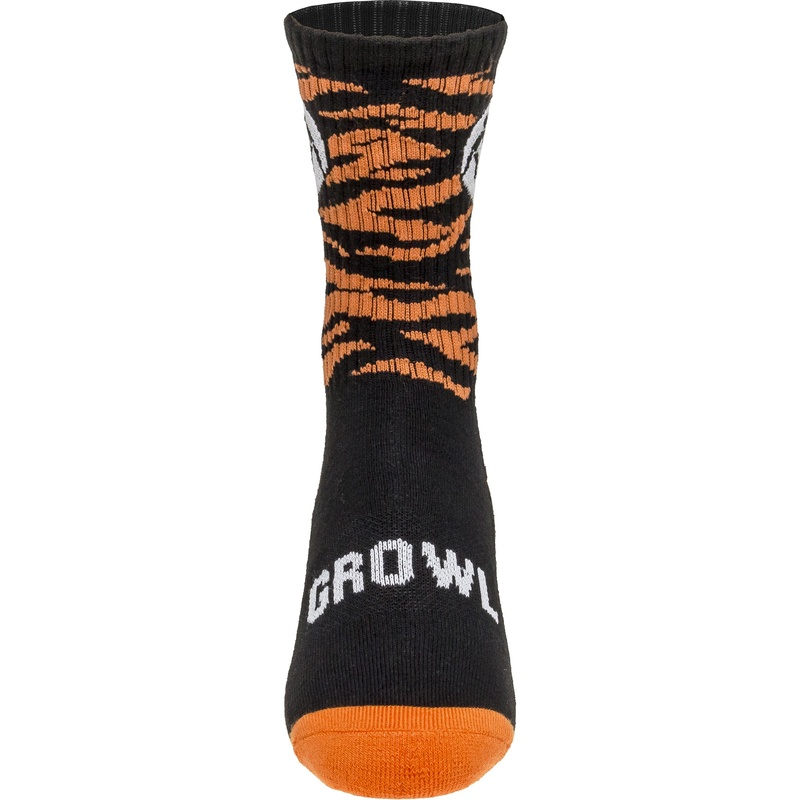 They have great grip and are very durable. 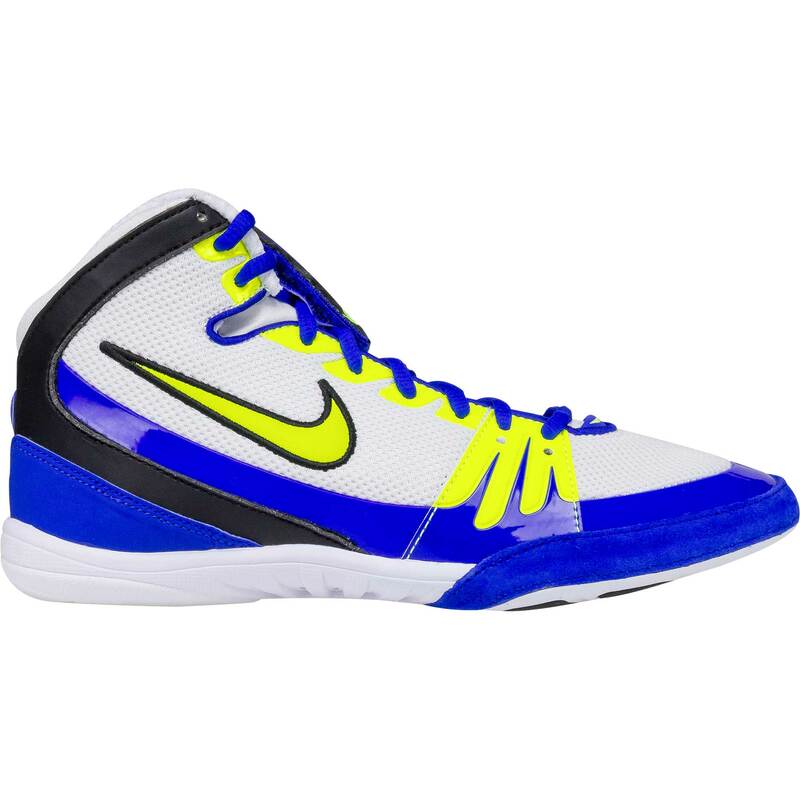 Great wrestling shoe!very comfy amazing grip and very supportive. 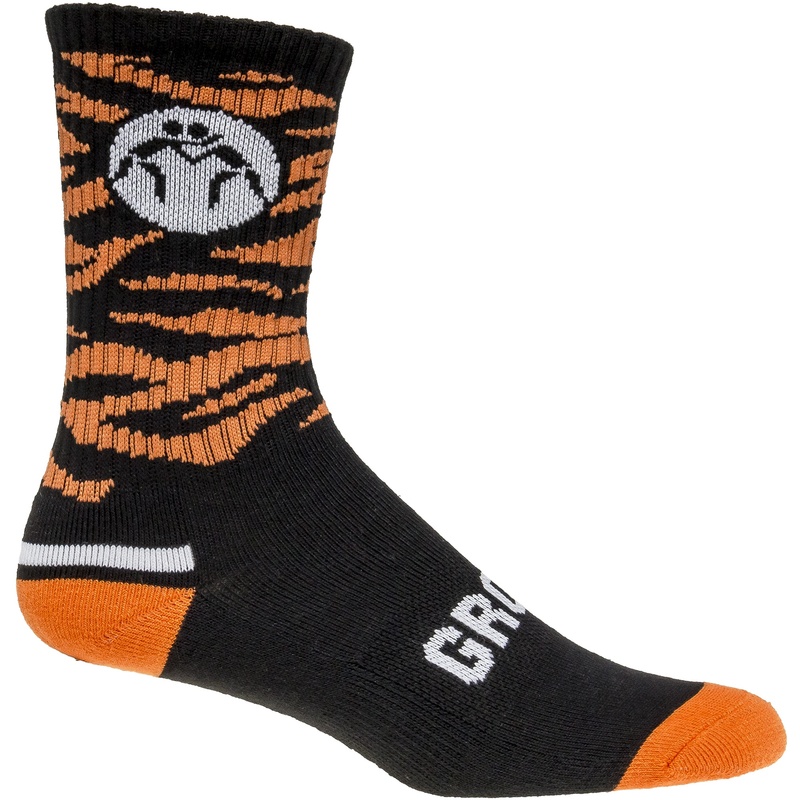 Only gripe is I was recommended to go up a half size but true to size would be a better fit. These are some of the best shoes I've ever warn, super comfy, will last about a year/season if you're putting in work with them. Shoe was comfortable, however it broke on the sides. At first it felt heavy, then as I wore it more, it got pretty light. So overall I would recommend them. Last year bought the same shoes in black and they were fine. My grandson wanted same shoes this year to have on hand if needed. The white pair I ordered has only been worn a few times and is coming apart at the front in several places. Also not as comfortable as the black ones but same size. Very disappointed. Too bad because they can't be returned. These shoes are extremely comfortable, have durability, and an all-around great style shoe. 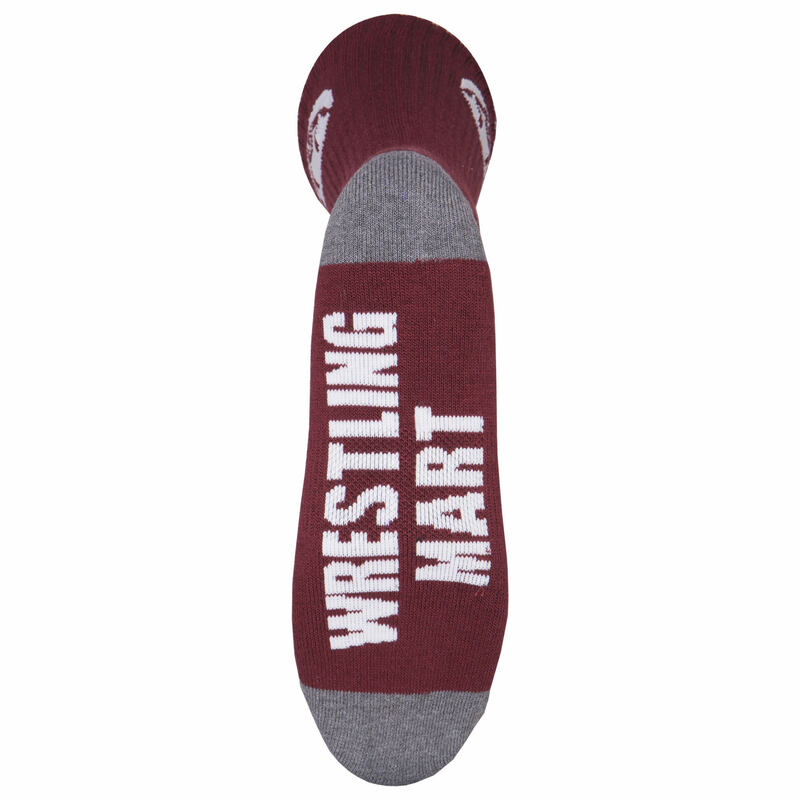 Shoes are very comfortable, lightweight, and grip the mat very well. Very well made. 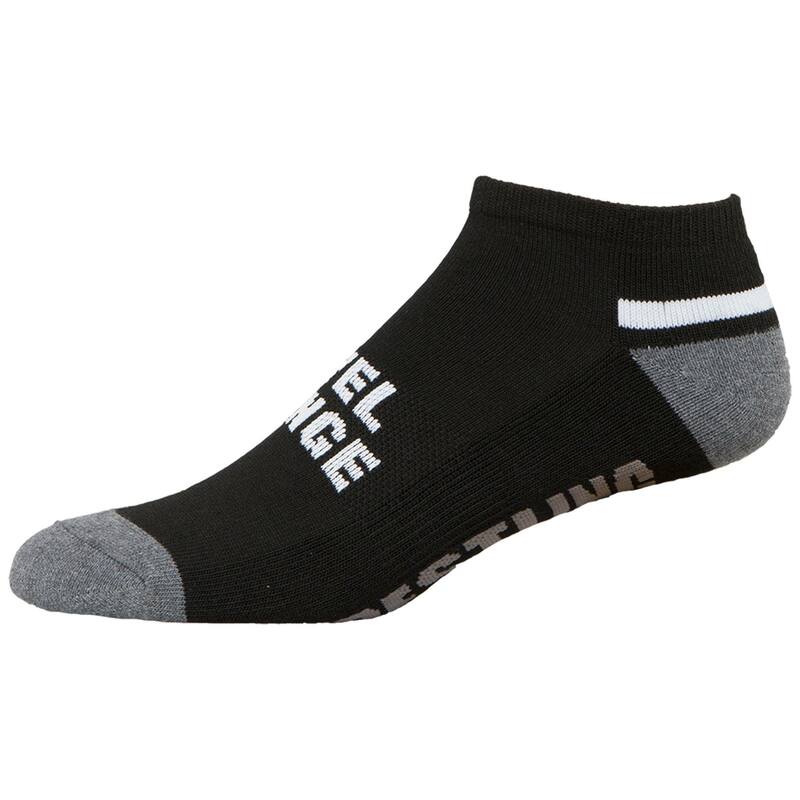 The shoes were flexible and light, and allowed me to move well in my matches. Shoes were great. I would buy more. Great fit and feel right out of the box. I will definitely recommend to all wrestlers! Great product. 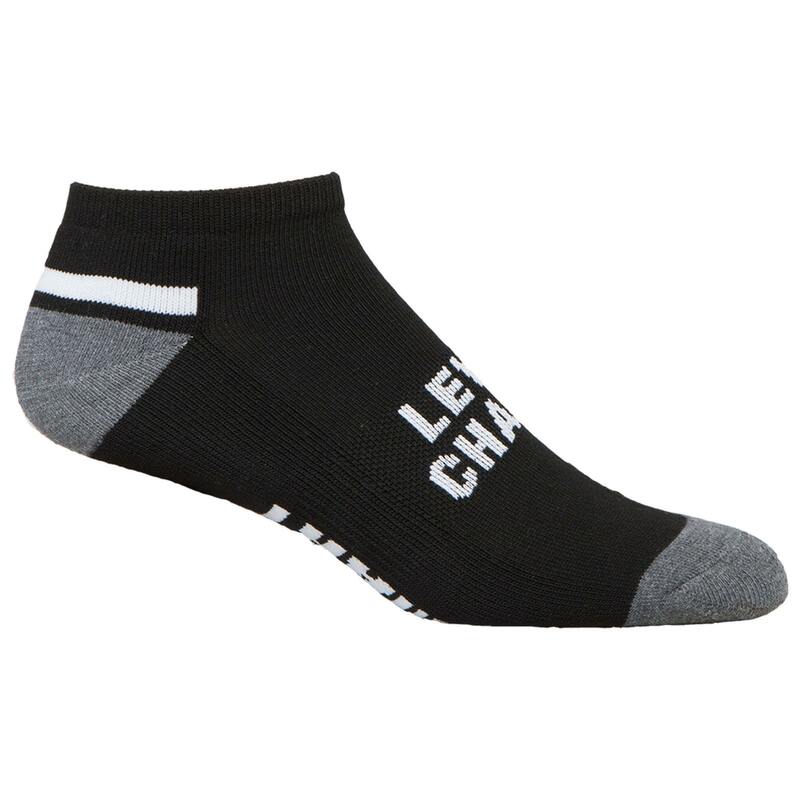 It has great comfort and feels as though it adjusts to the foot. Great shoe! Lasts long. Great grip around the foot. They look great too. 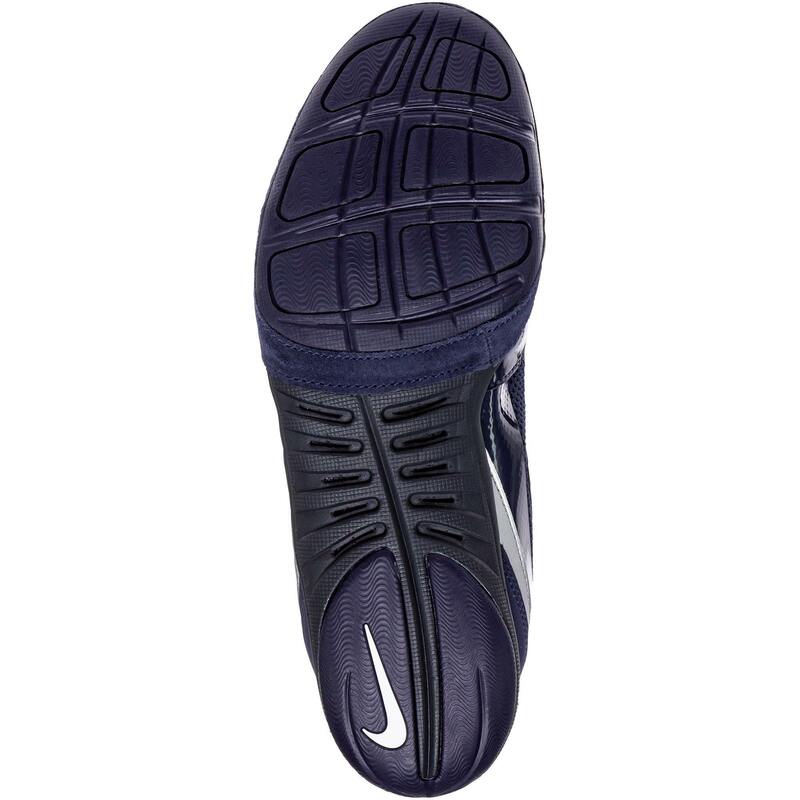 The shoe was very durable and had great grip. They held up through a lot of abuse and are still holding up today. They just need to be a little tighter. 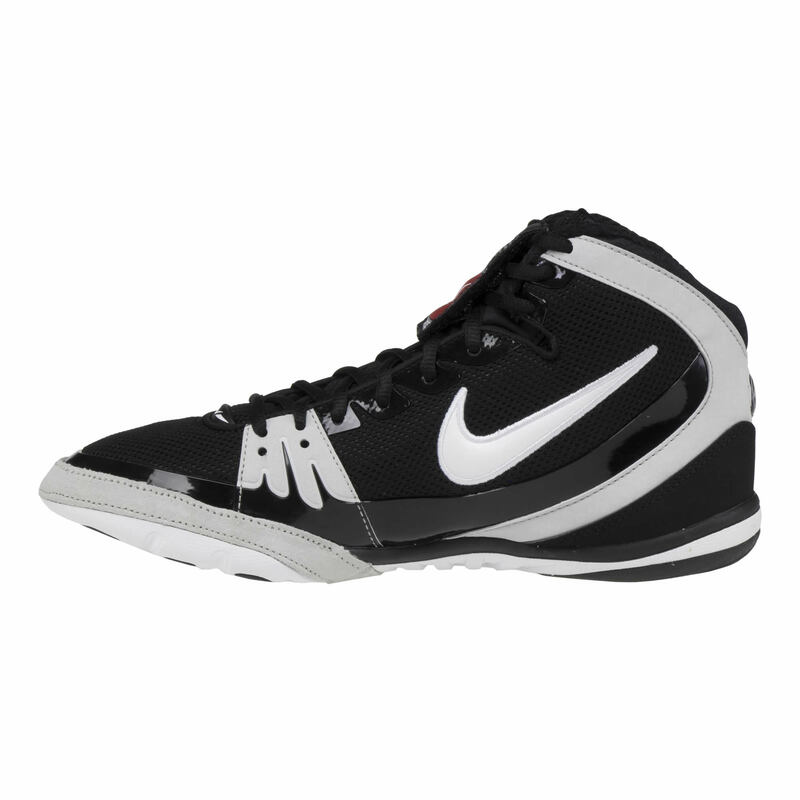 Nike Freak shoes: comfortable, good support, light weight, nice grip on mat. Very great shoe. 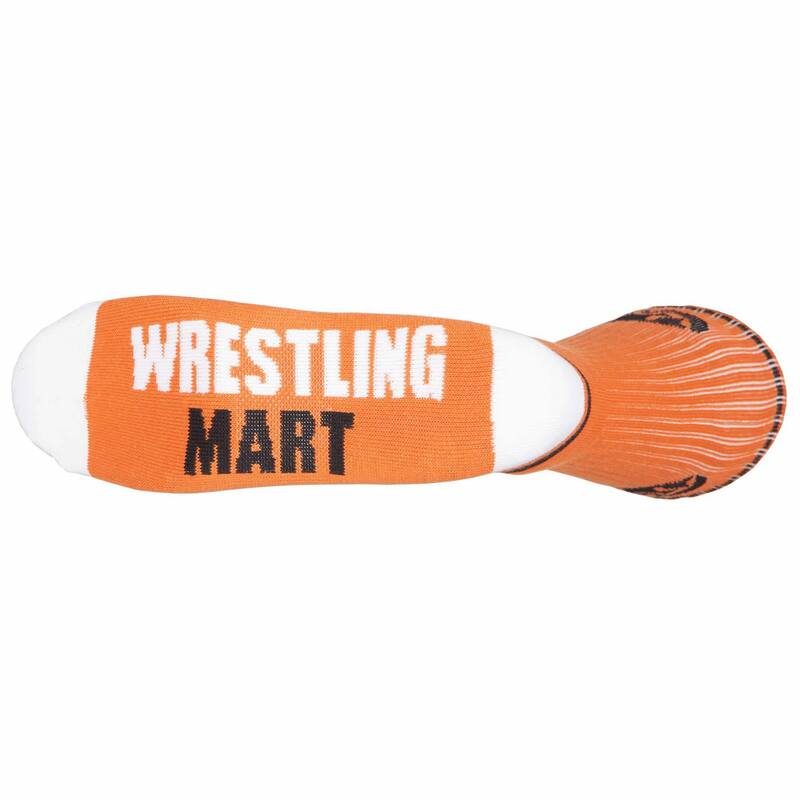 Holds up very well to all your wrestling needs. 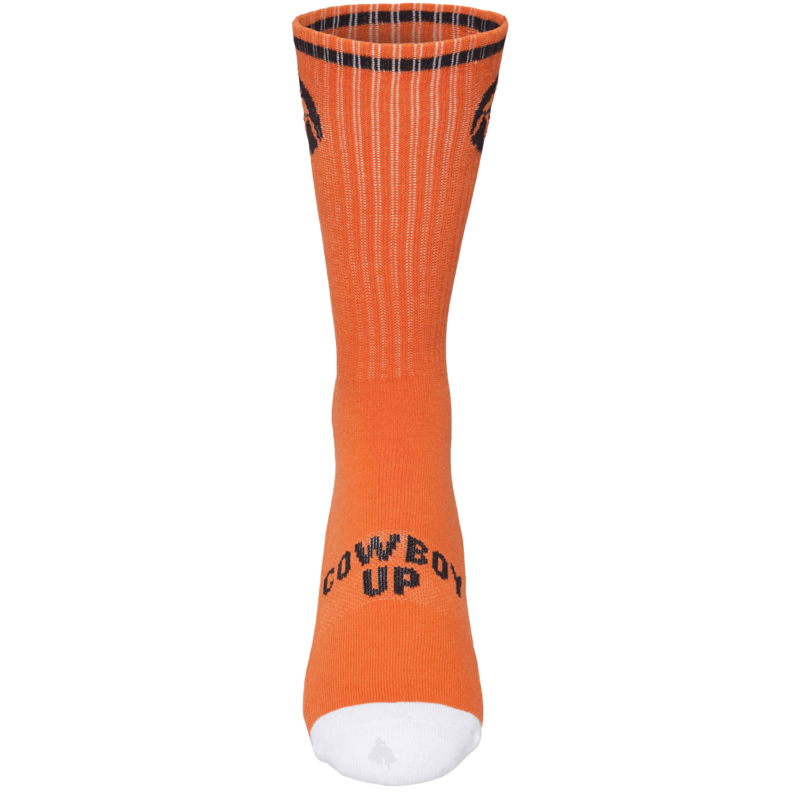 Has great grip and are tight on your feet. They are an awesome shoe. They break in right away and have many color combos that meet to different types of wrestlers. 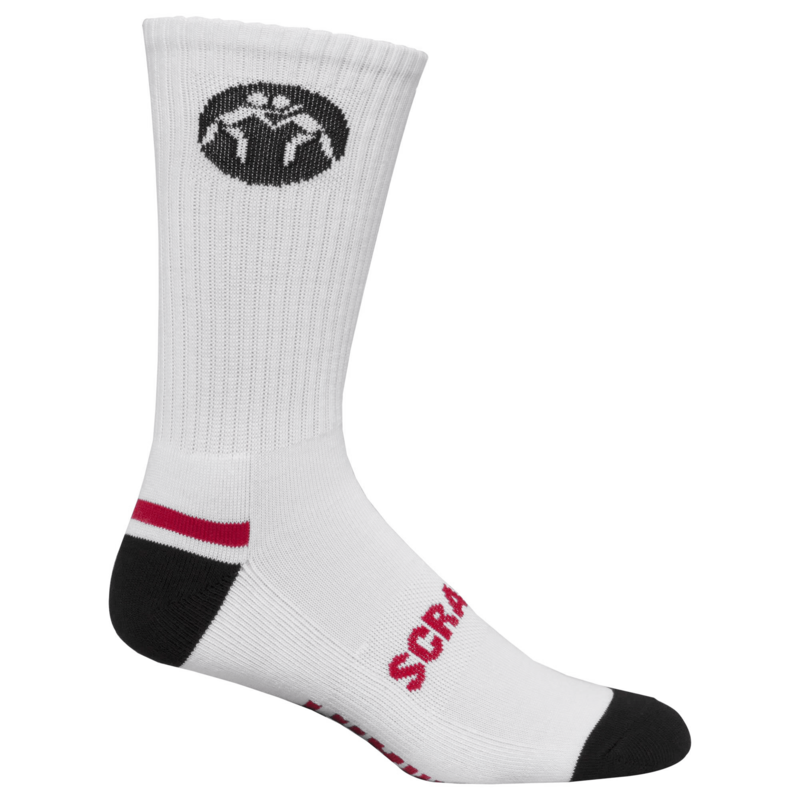 The shoes are extremely comfortable, durable, and excellent grip on the mat. Very common to wear and for certain has a reason why. 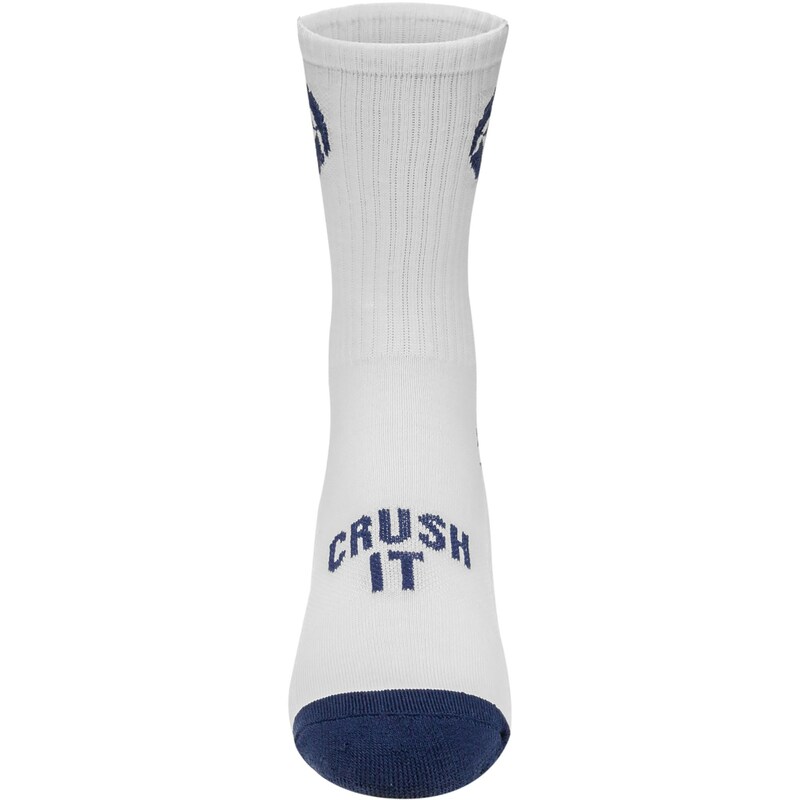 Lightweight, slim, durable, great padding, and great grip. These shoes are meant for business. 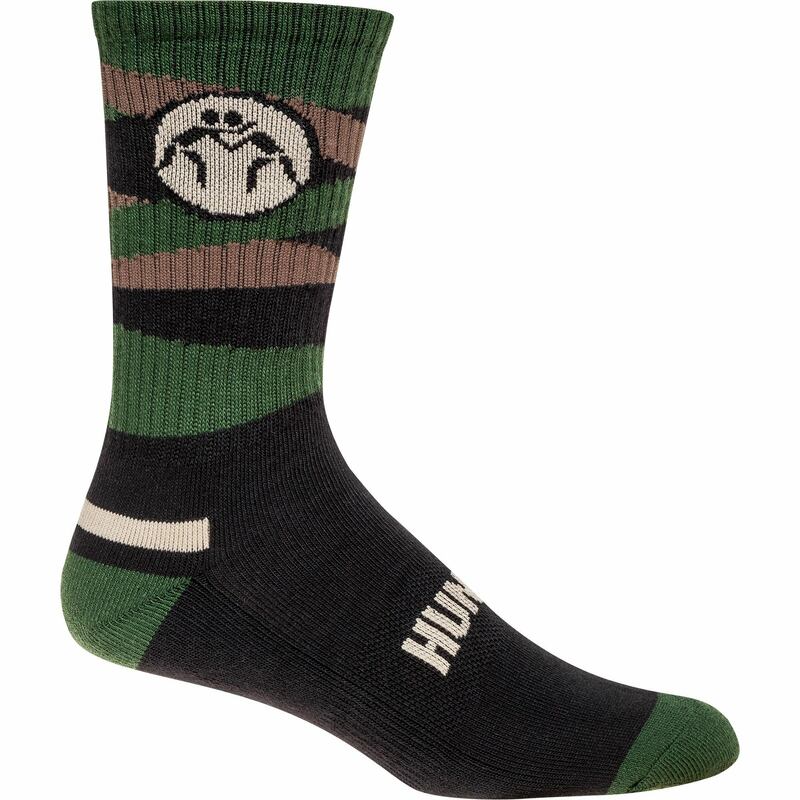 Great design, trustable, and always ready for action. 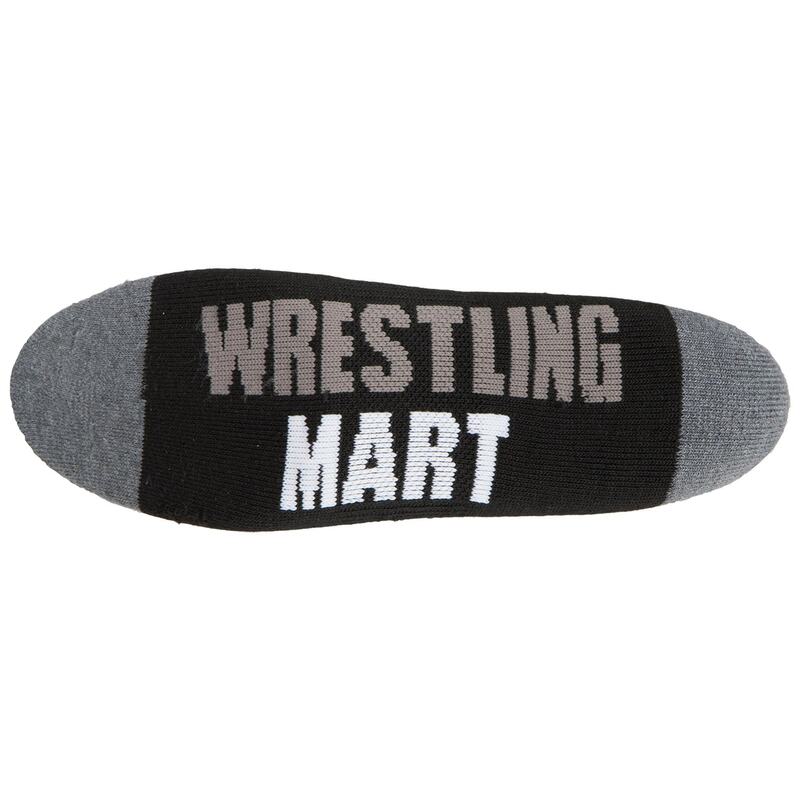 It's almost a must-have for wrestling. 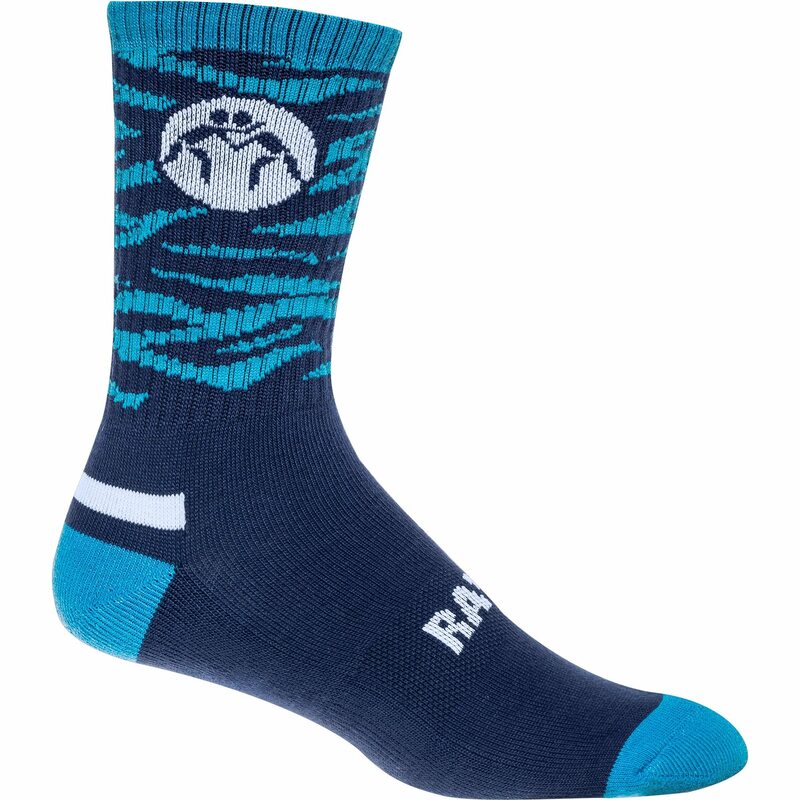 These shoes come in many designs and all fit perfect for any school color. If you never wrestled with Freeks, why wrestle at all! They stayed in good condition the whole season. No rips. The bottom of the shoe has good grip. Also very good style. The shoes are nice and wide. They are also very comfortable and light, which is what I look for in my shoes. Love the shoe! 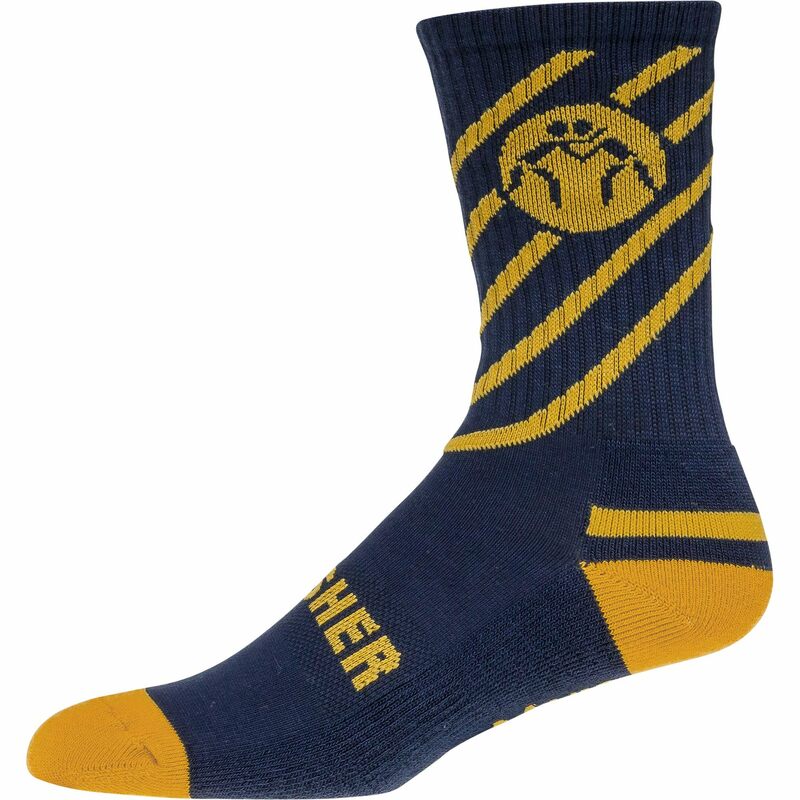 Very flexible and easy to move around in. Best shoe out there in my opinion. I've bought two pairs so far and I love it. However, you do have to be careful because it wears and tears easily. After about one season they do tend to tear a little. This type of shoe is comfortable. Easy to put on. There design is very unique. 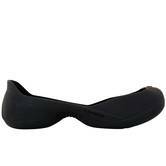 This shoe is also breathable, nice support. It has a style that makes other shoes look unstylish. It felt a bit like a tennis shoe. The inner elastic kept the shoe tight to my foot. I like that it didn't stretch out and loosen up over time. 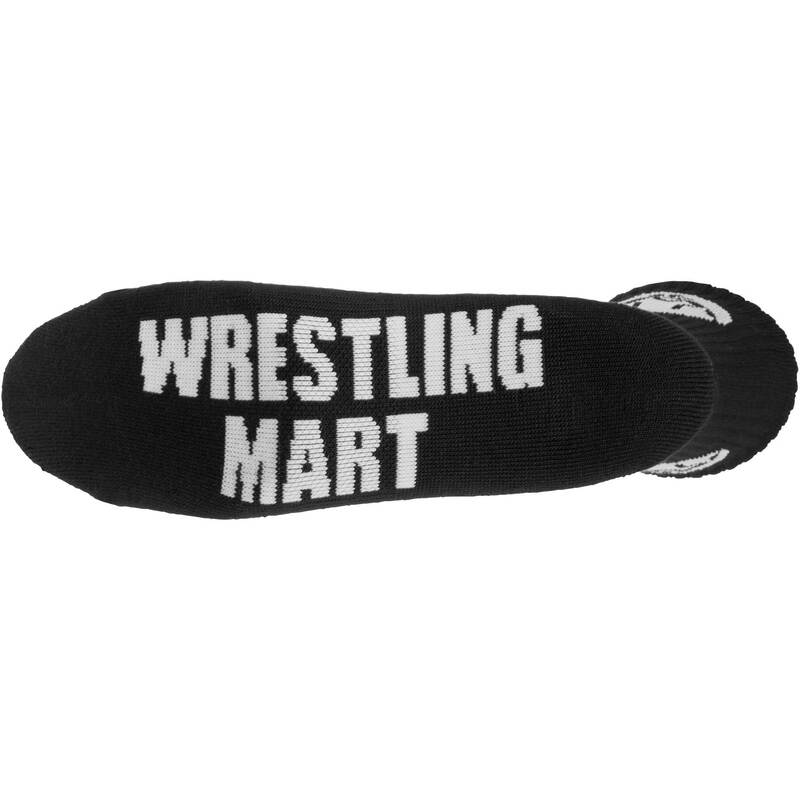 It was sometimes difficult to slide the top of the shoe across the mat. Love the shoe its great. Tons of traction. My kids loved these shoes. Love the shoe its comfortable and light. The shoes are awesome. 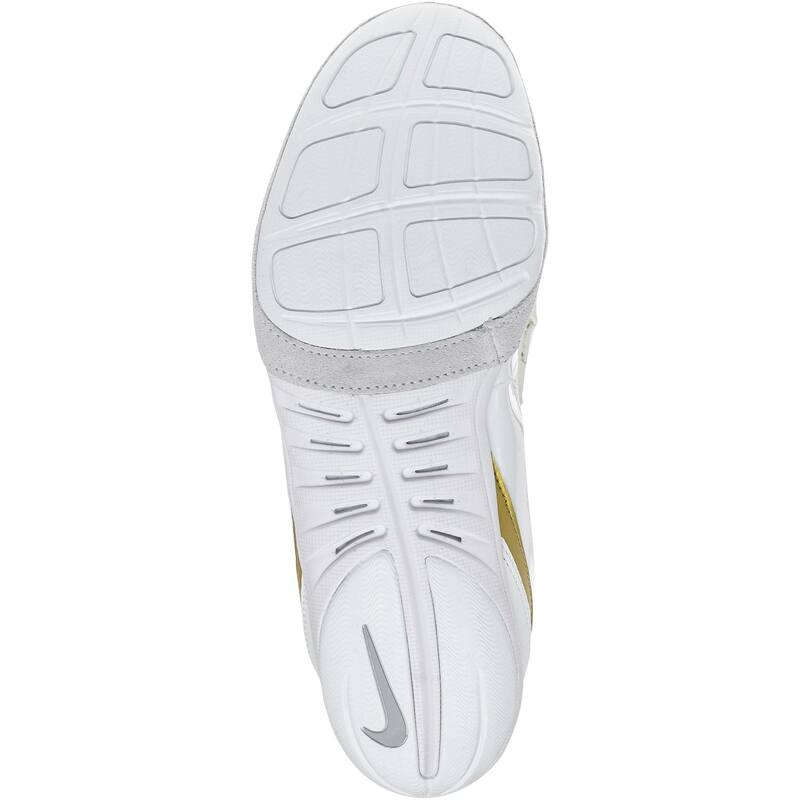 They have a ton of ankle and sole padding. Thanks for the lightening fast shipping. I got them in two days. 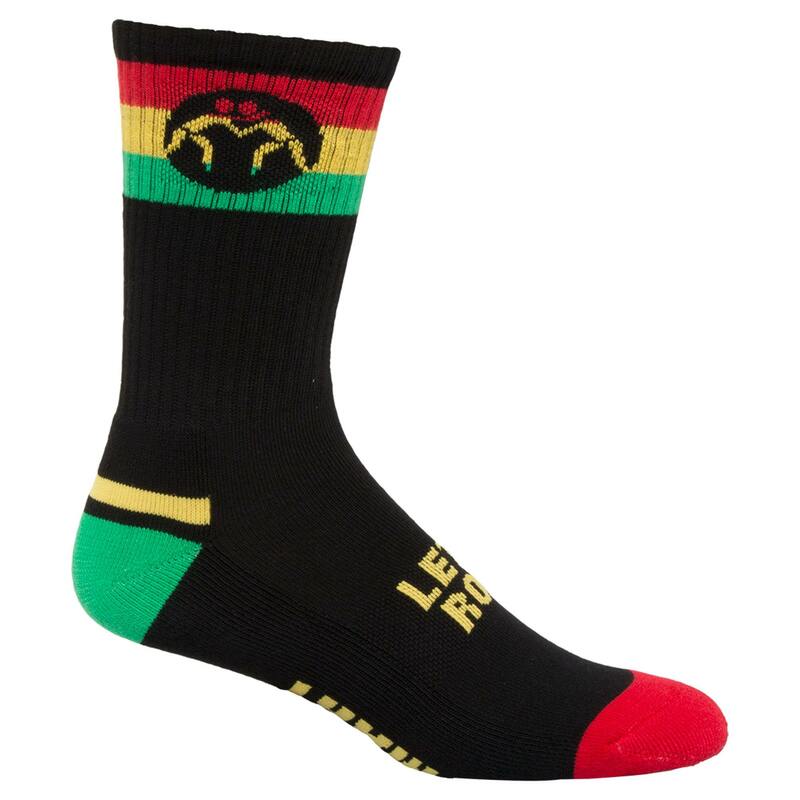 We are not the manufacturer of the Nike Freeks. 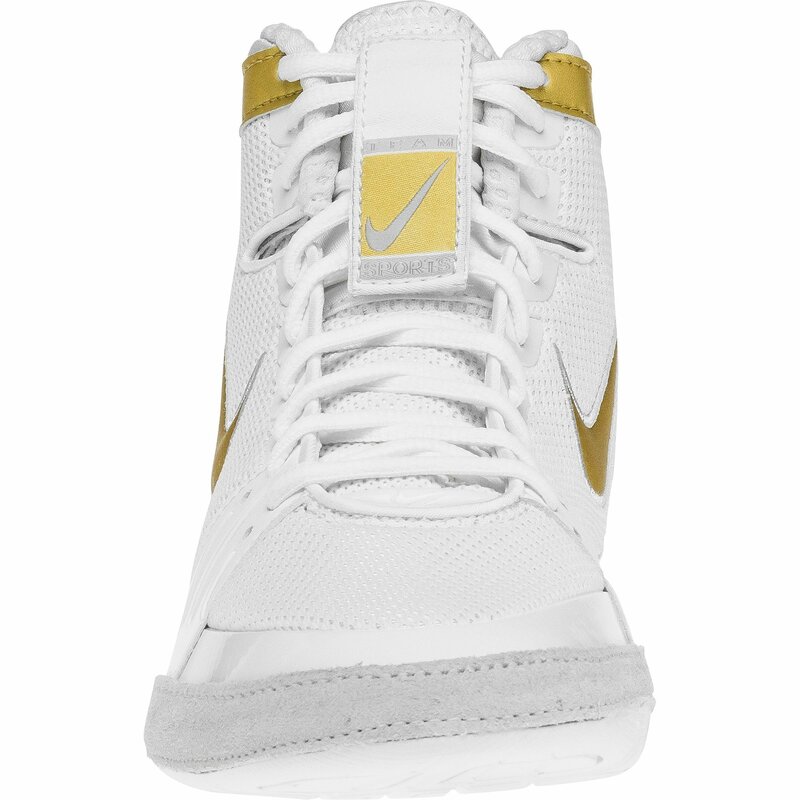 We will be getting more white/gold Freeks in once Nike receives more at their warehouse. 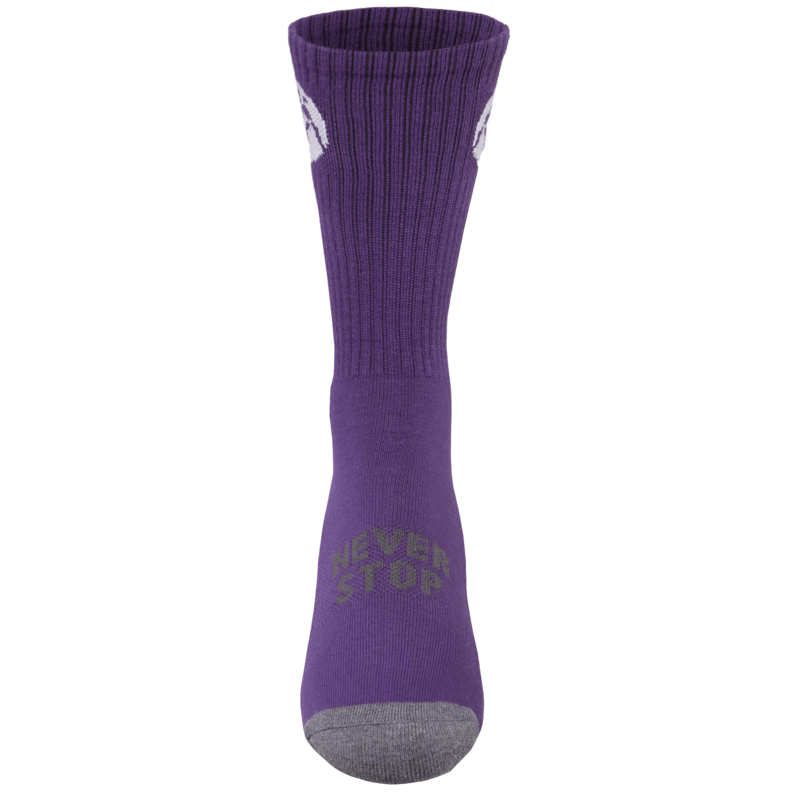 Free standard shipping is 4-7 business days. Shipping time also varies on location. what the size i have to take if i do a 43 1/3 in adidas shoes ? Are there any coupons or discounts available? 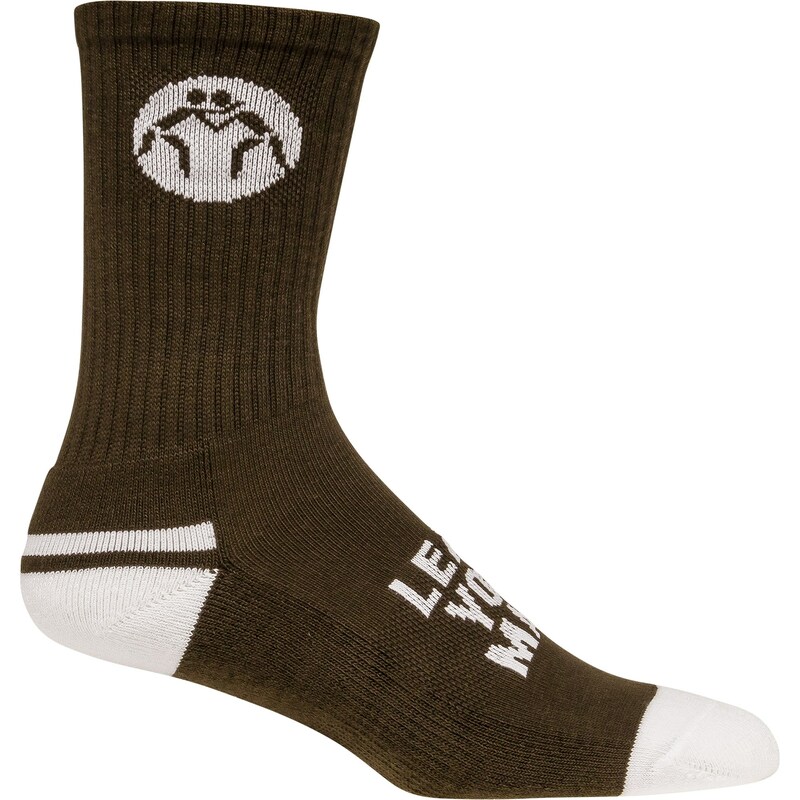 Unfortunately, we do not offer any coupon codes or discounts on the Nike Freek. The Nike Freeks are a great shoe. 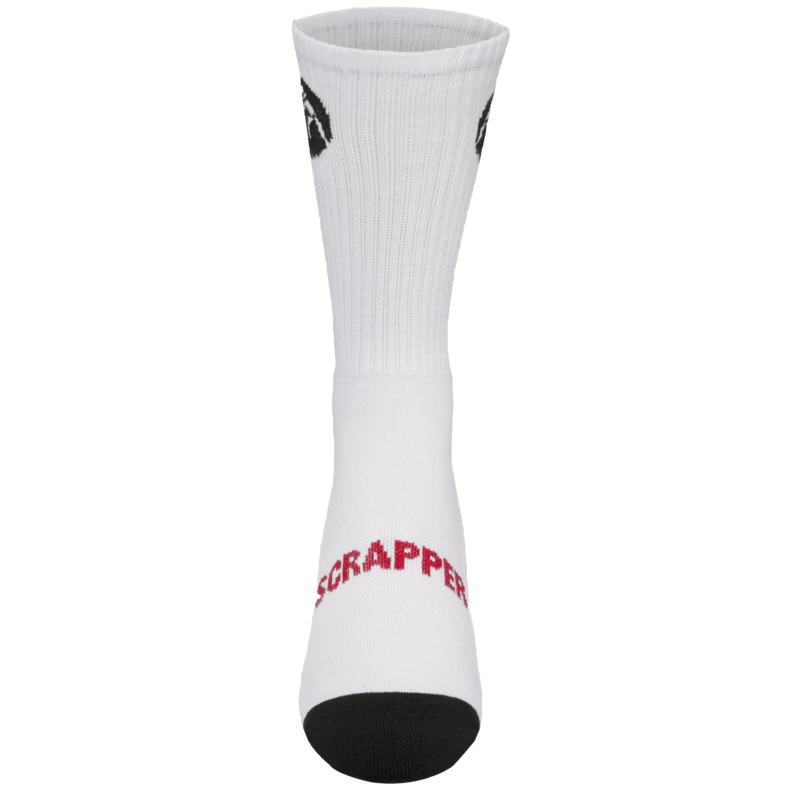 The grip is moderate and flexibility is average. 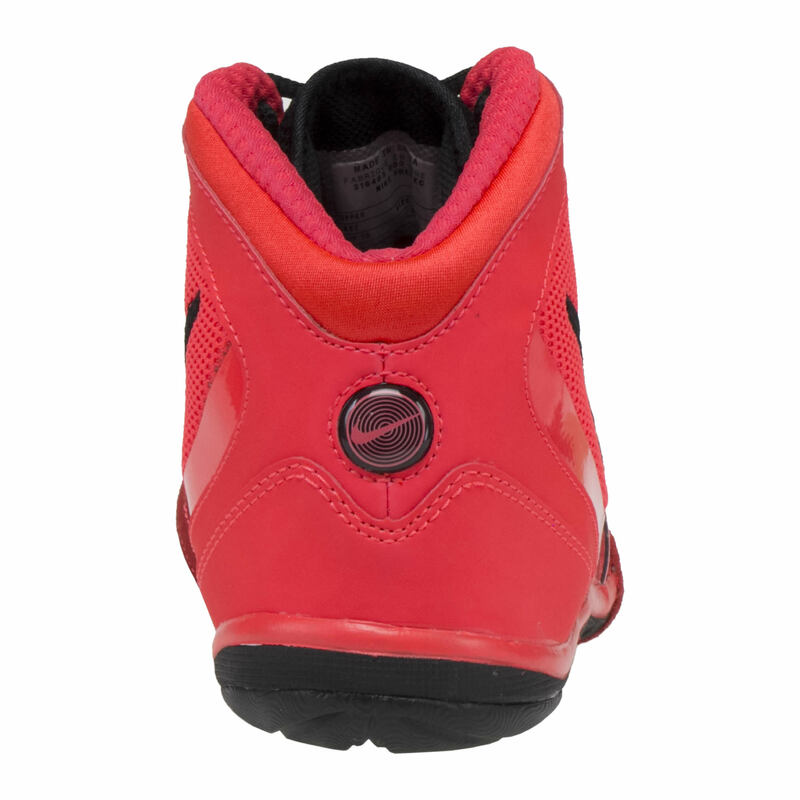 We are waiting for Nike to restock their inventory in order for us to get ours back in. 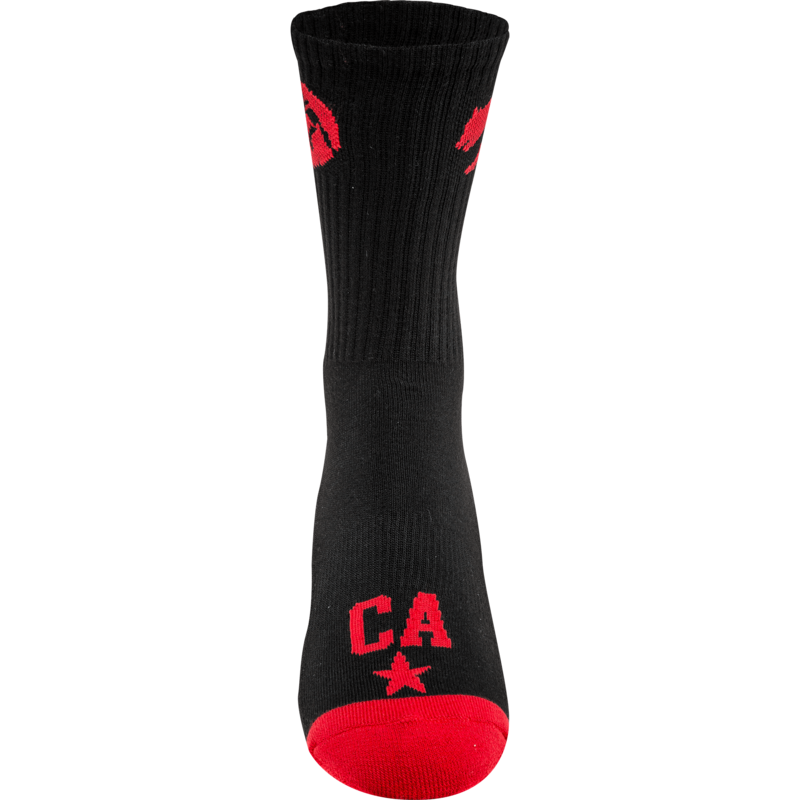 The Freeks do not come in "wide" but they do have a wider toe box. 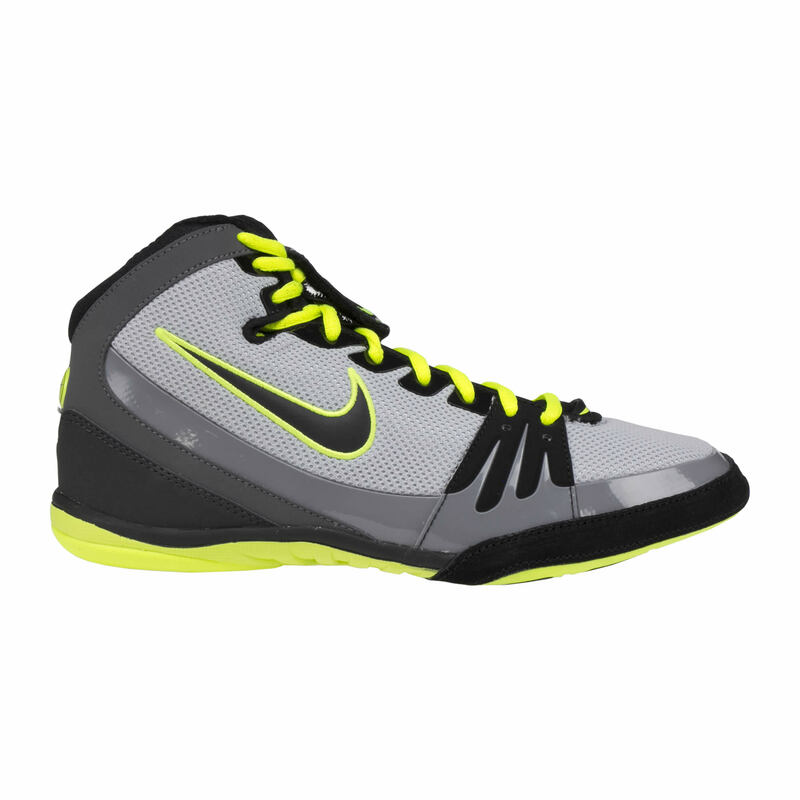 Do you have any promo codes available to order Nike Freeks Wrestling Shoes? Unfortunately there are no promo codes for the Nike shoes. When were these shoes released? The white/gold and Navy/Silver Freeks were released last Wednesday. 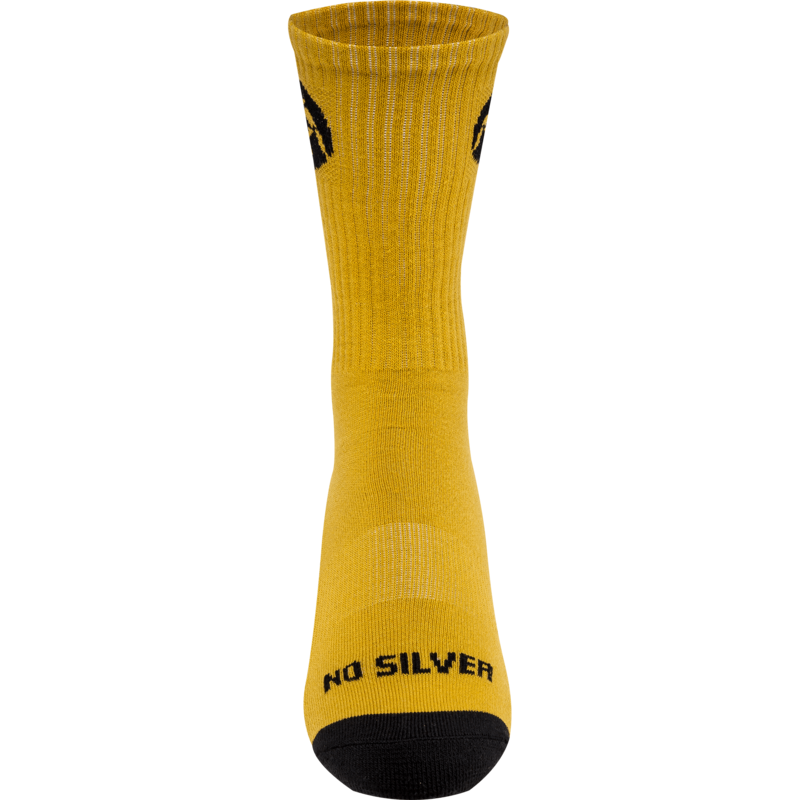 The Black/Silver was released this week. Are the 3 freeks dropped recently the only colorways going to be released? At the moment Nike has only let us know about those 3 colors. I am a coach looking for a large size shoe for a kid who wears a size 17. He says he caould wear a size 16. Do you have a shoe that he could buy? Is there any discount I can get on these shoes. Is there a sale before Christmas? Unfortunately, the only discount that we can offer for the Freeks is a quantity discount. Not 100% sure if there is going to be a sale before Christmas. When will the size 8 be in stock? Which color are looking for in the size 8? 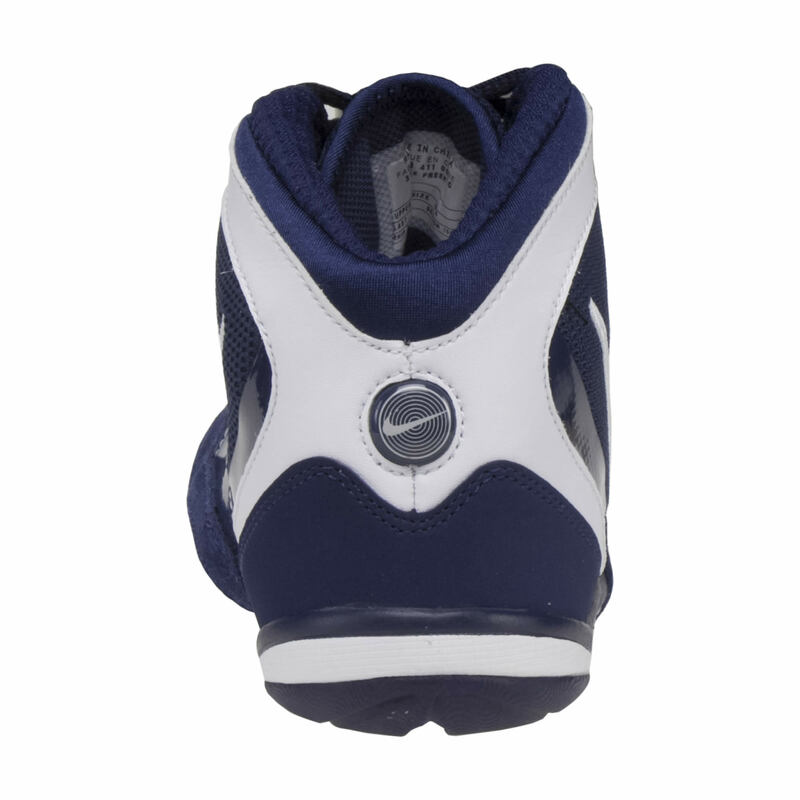 Do u know when or have time frame between when u will be restocking navy blue frreks in a size 8. We will no longer be bringing in any more size 8 Navy/White Freeks. 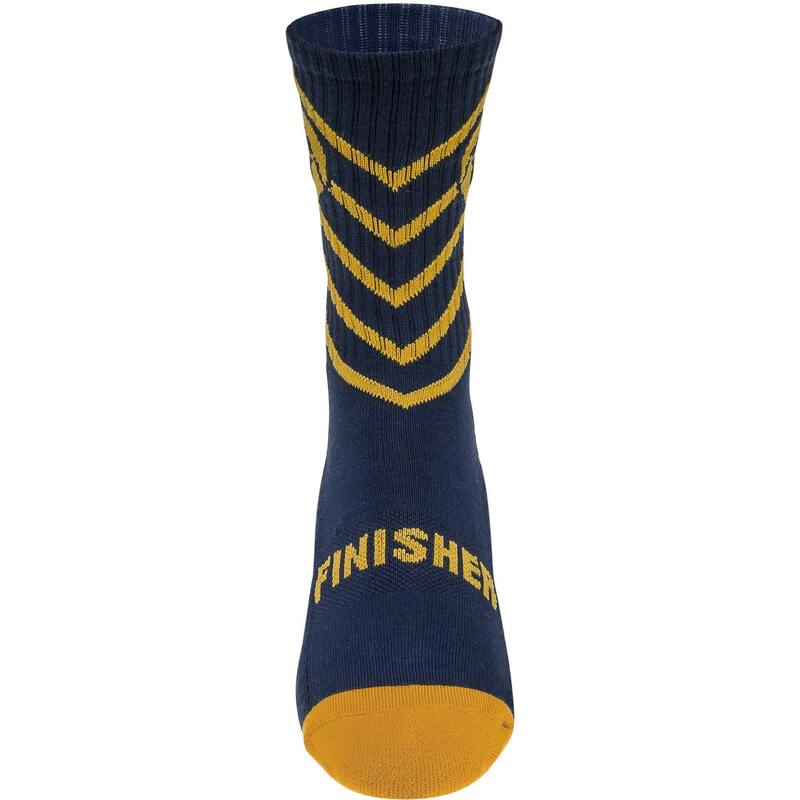 The Navy/White Freek is going to be replaced with the Navy/Silver Freek. The black/red/white Freek will no longer be brought back in. Nike has discontinued that color way. 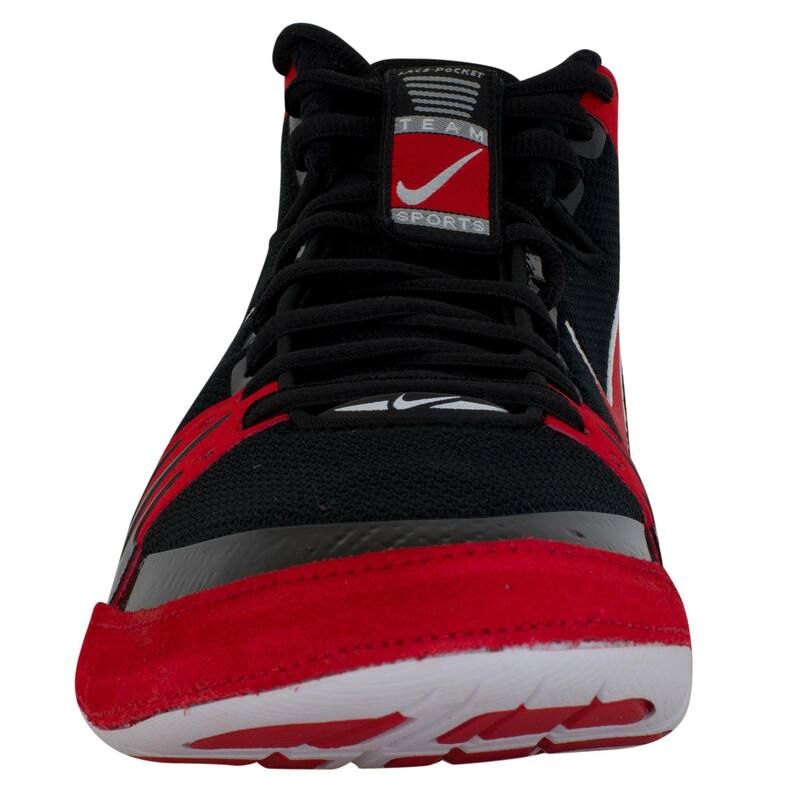 Do U know when you will b getting in another shipment of size 10 Nike Freeks in the red, black and whit colors?? 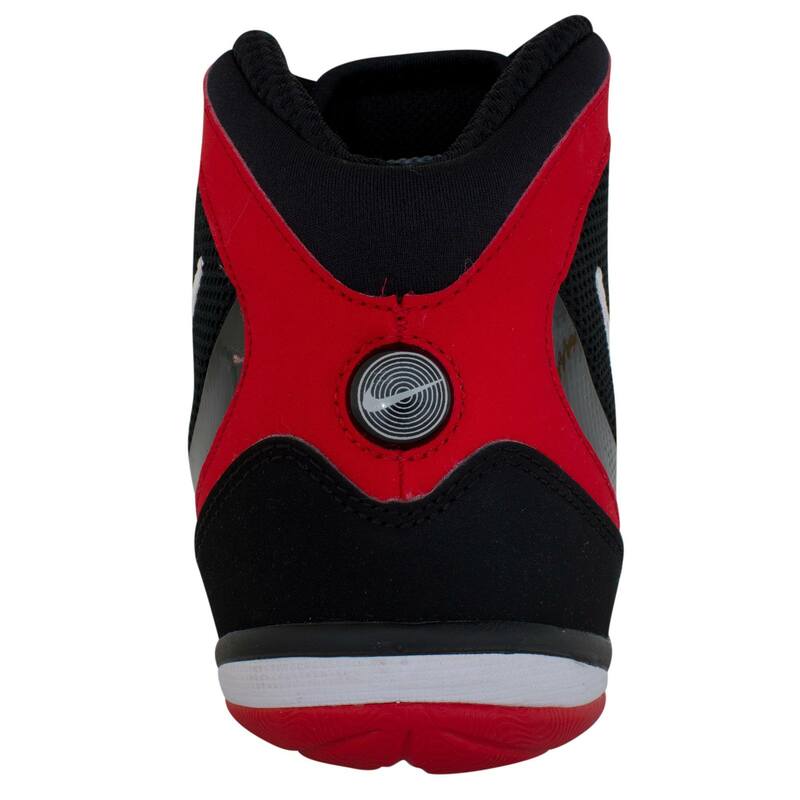 The black/red/white Nike Freek will no longer be brought back in. 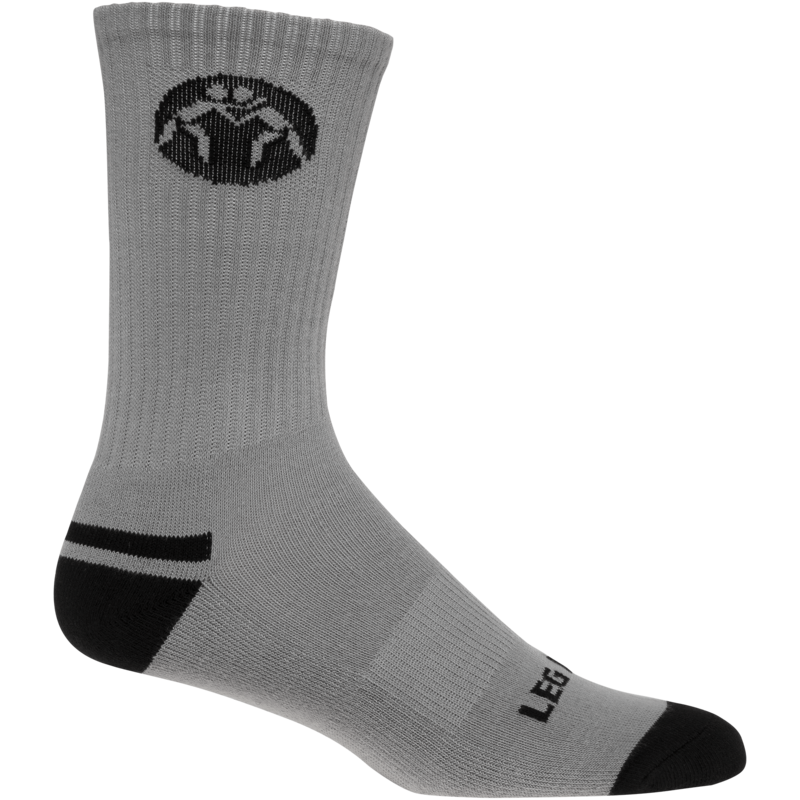 If we are going to restock the Grey Nike Freek it will be in September. We receive our booking order in September. 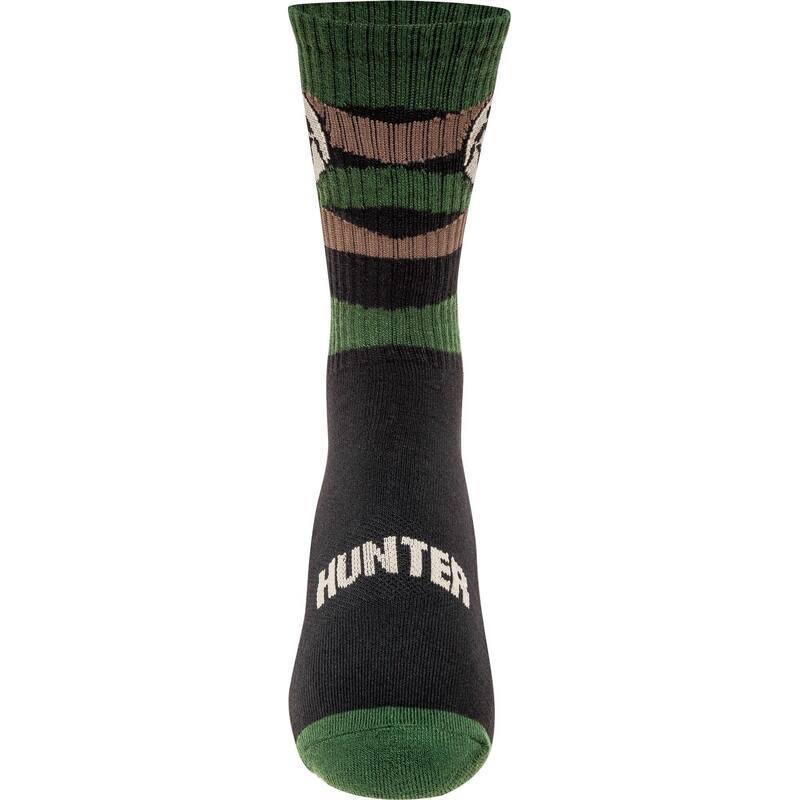 New colors will also be coming in with that shipment. 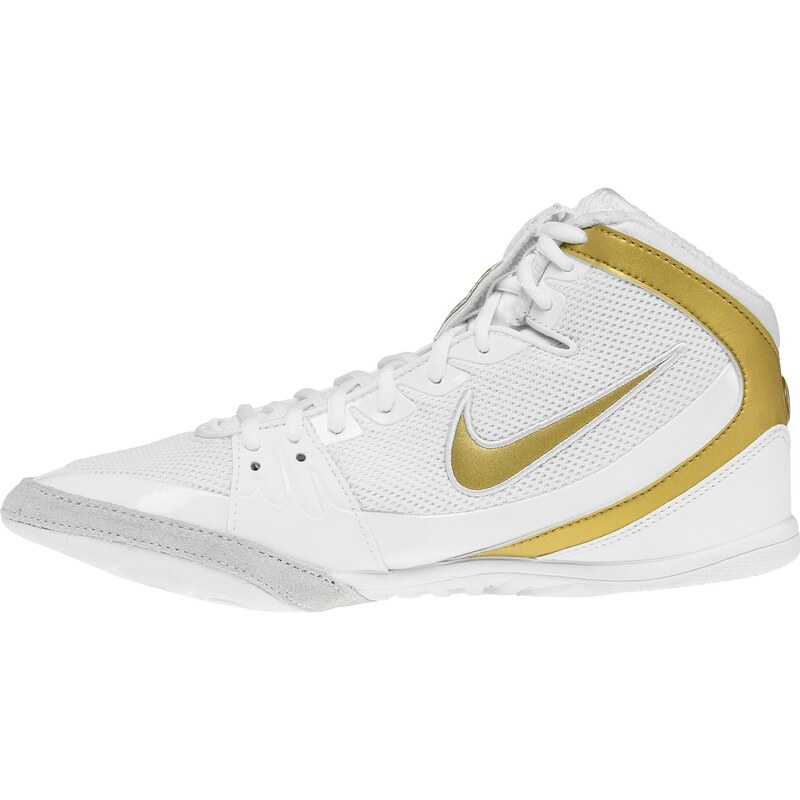 What size men wrestling shoe do you recommend for a women's 8.5 size? She will be a size 7.5 in men shoes. The only thing with the Nike Freeks is they only begin at a size 8. Do you have red and black shoes? size 10? 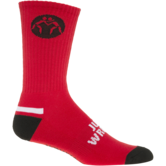 Unfortunately we are all out of the red and black Nike Freeks in a size 10, although we do have few other red shoes. 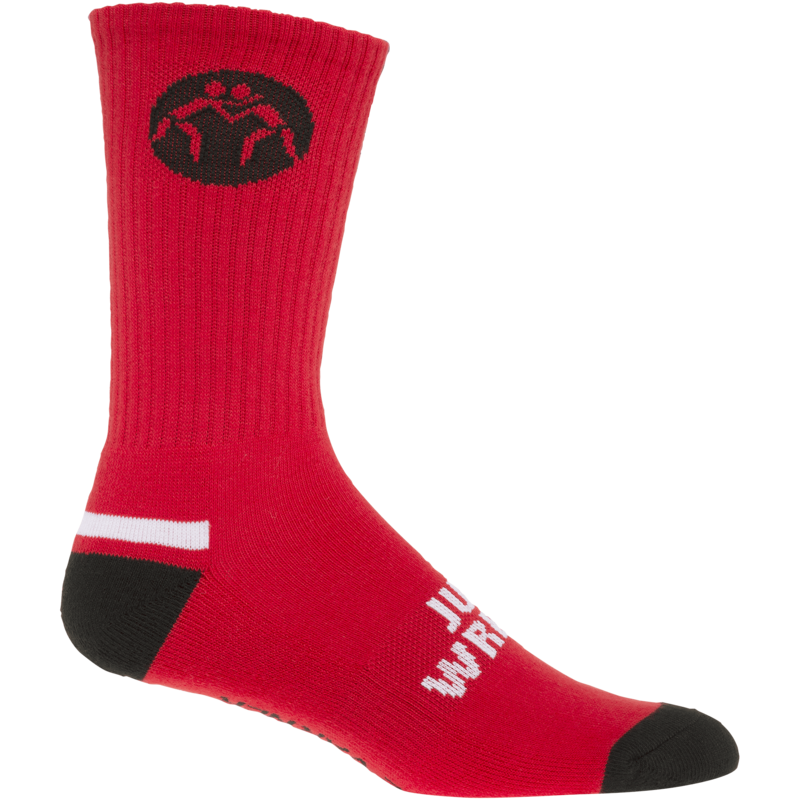 As far as red and black goes we do have size 10 Adidas Impact wrestling shoes in stock. hello i wonder if this shoes coms in smaller size? And do you ship to sweden? Unfortunately these shoes only begin at a size 8. Hi. I am visiting Houston, Texas monday 30.10.17 - thursday 02.11.17. Is it possible that these shoes can be delivered to: 10655 KATY FREEWAY, US-77024 HOUSTON, UNITED STATES OF AMERICA within that time spectre? 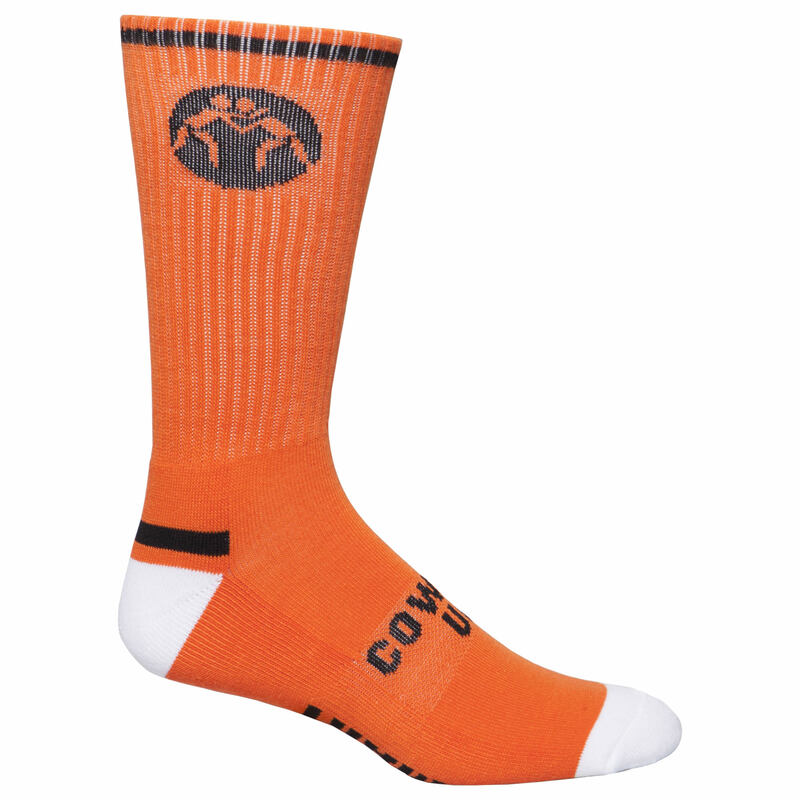 If you place an order and we have the item in stock we will ship it out as soon as possible. Feel free to contact us if you have questions regarding shipping. 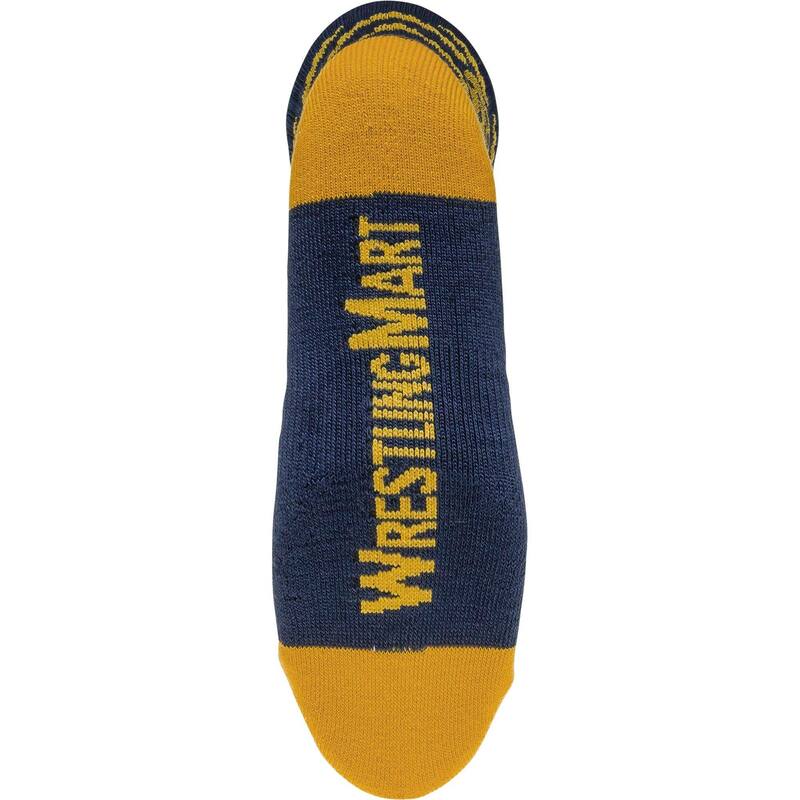 Can I get size 15 extra wide wrestling shoes? All the shoes out currently are only standard sizing. 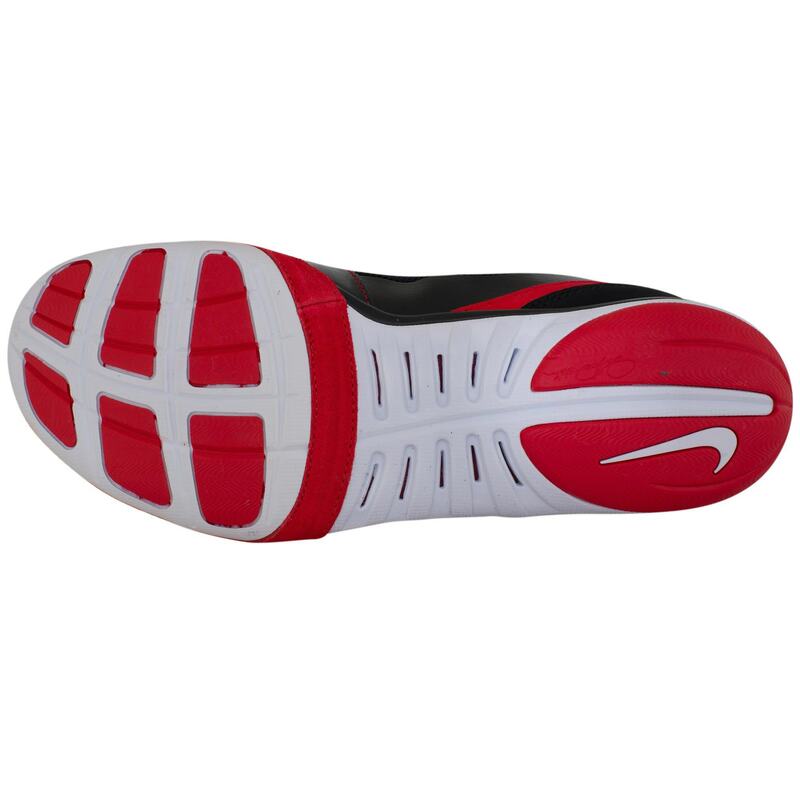 The Nike Freek is one shoe we have come to find has a wider toe box than alot of the shoes out there. 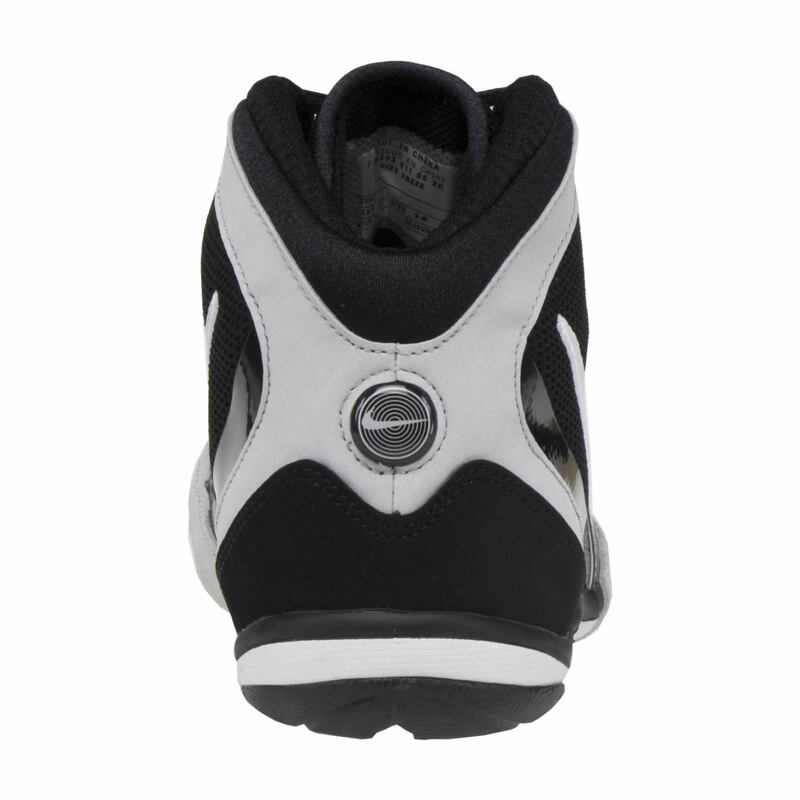 The Nike Inflict is also a good option. 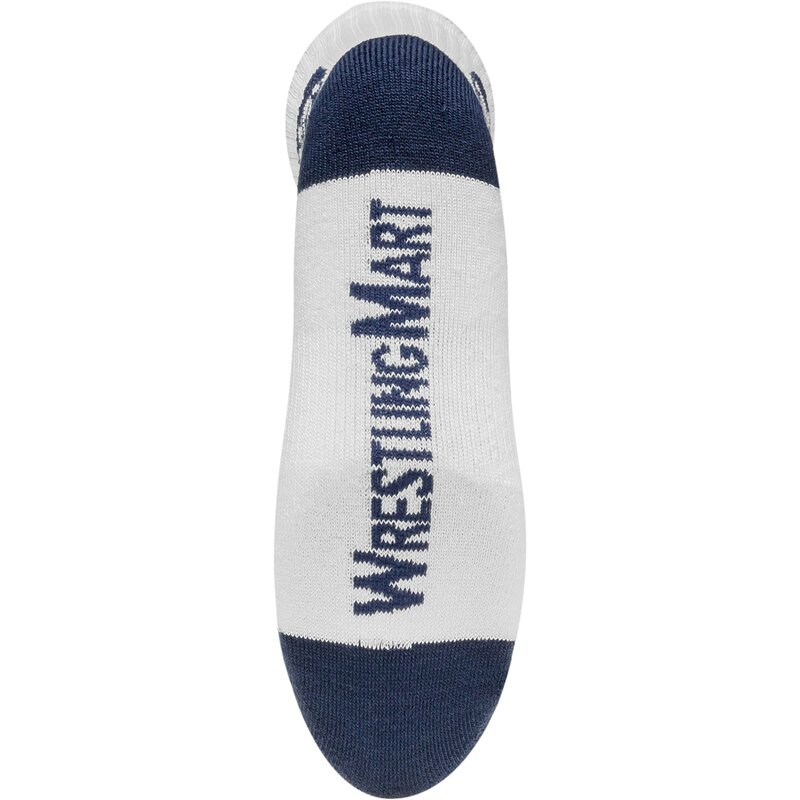 The Adidas Mat Wizard and Adidas Impact are another good option for shoes that have a wider toe box. It would be good to go with a 10.5. Looking for a pair of mens size 11 solid pink wrestling shoes? Love the Freeks, do they come in pink? 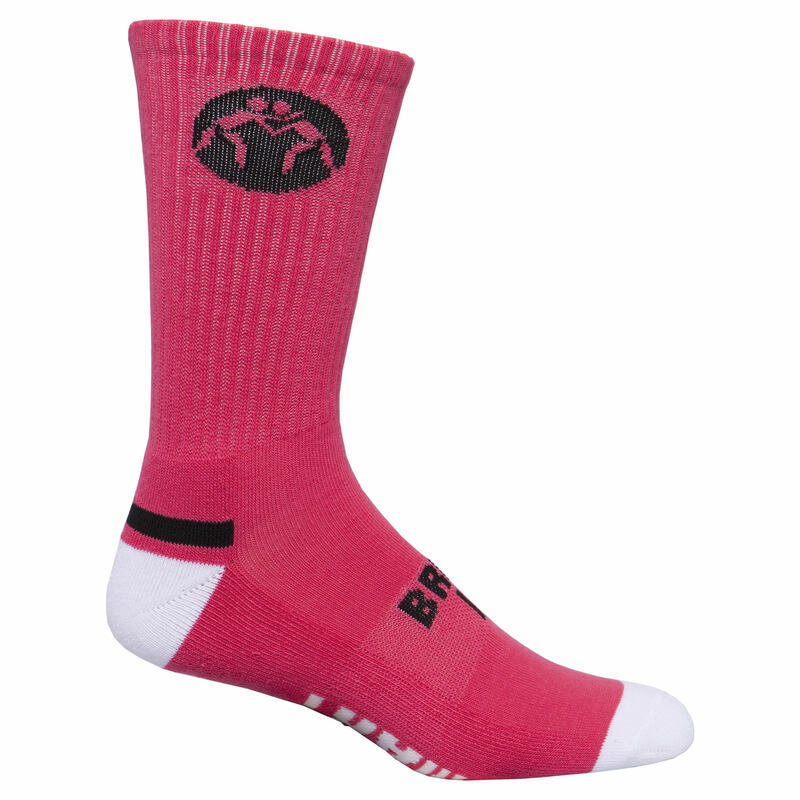 The only "Pink" Nike shoe would be the HyperCrimson Freek. That is the Freek that looks like an orange-red color. 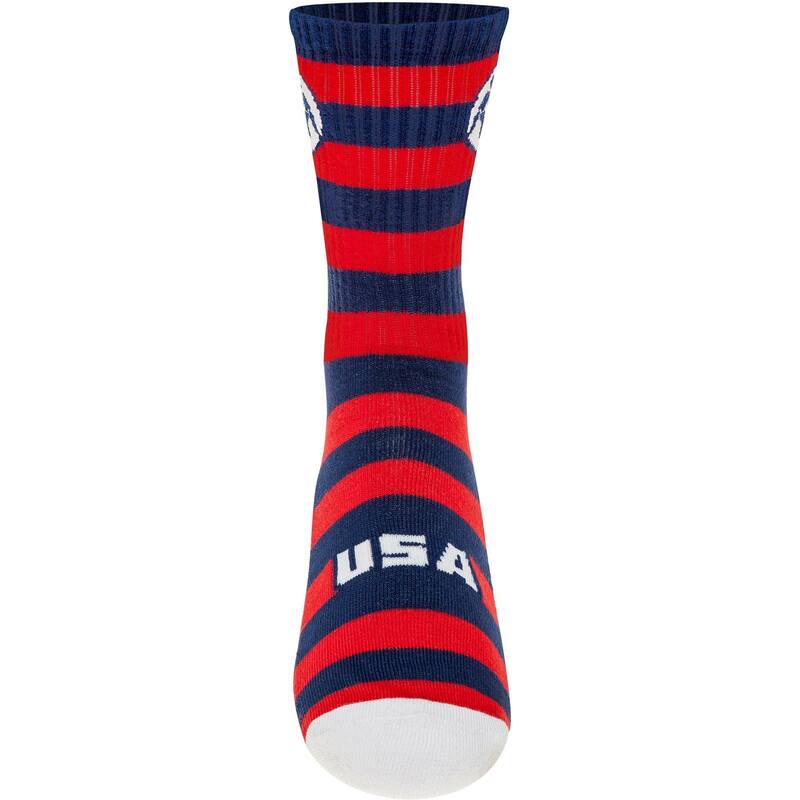 Do you have the red/white/red AND the white/royal/yellow Freeks in stock? Size 8.5 or 9? 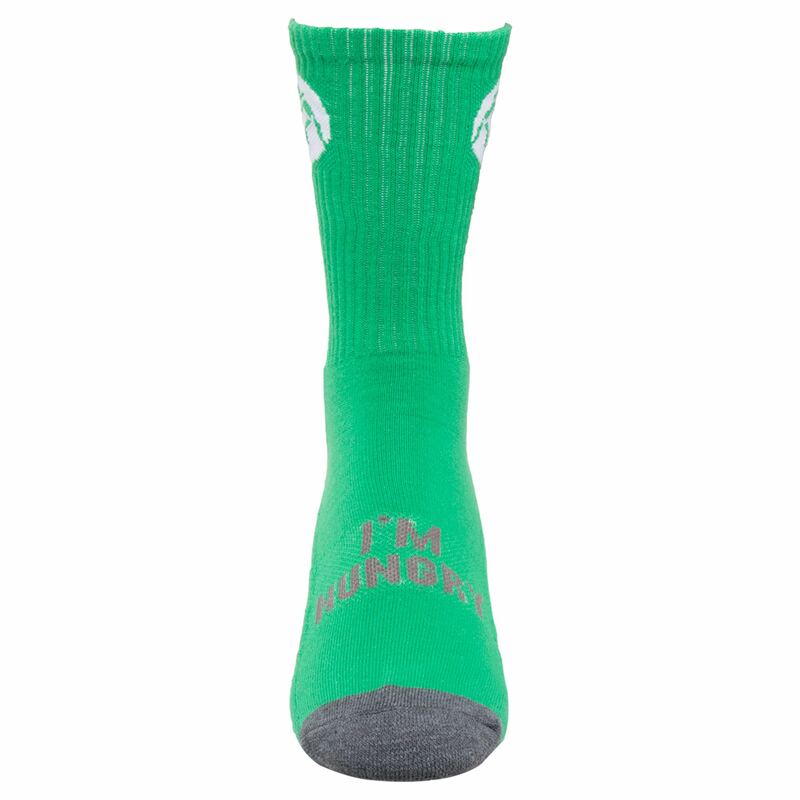 We do have the new Freeks in stock and in those sizes. do the Freeks or Inflicts run small or true to size? I have alot of Nike's size 9.5 and some of the newer flyknit running shoes in 10, just trying to figure out which would be best. thanks. 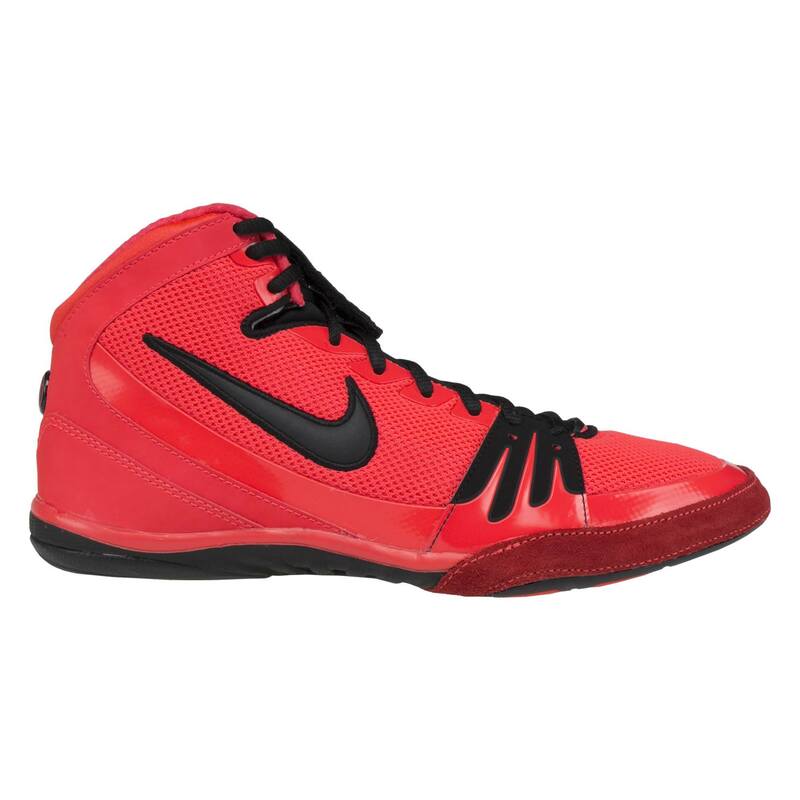 Wrestling shoes are different compared to normal street shoes. 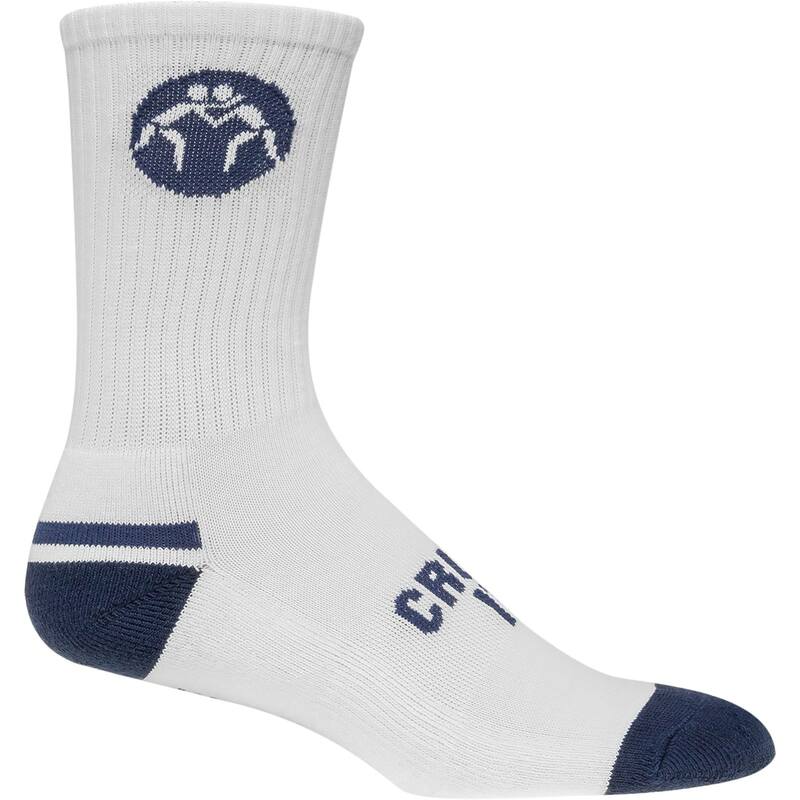 They run a bit small, I would recommend to go with a size 10. 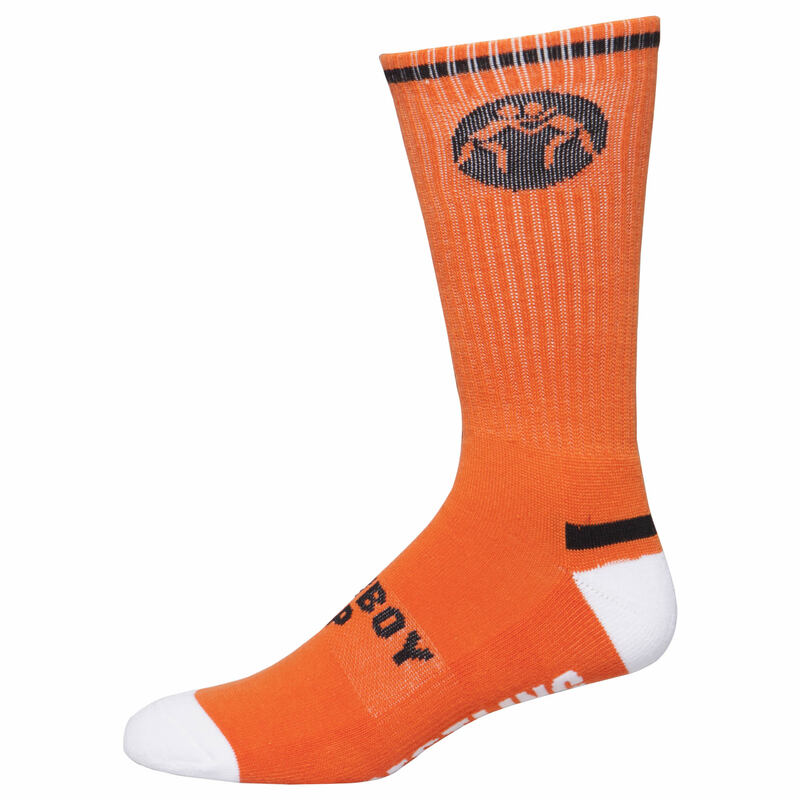 The pre-order shoes will ship out either October 1 or the following Monday October 4. Unfortunately the Nike Freeks start at a size 8. 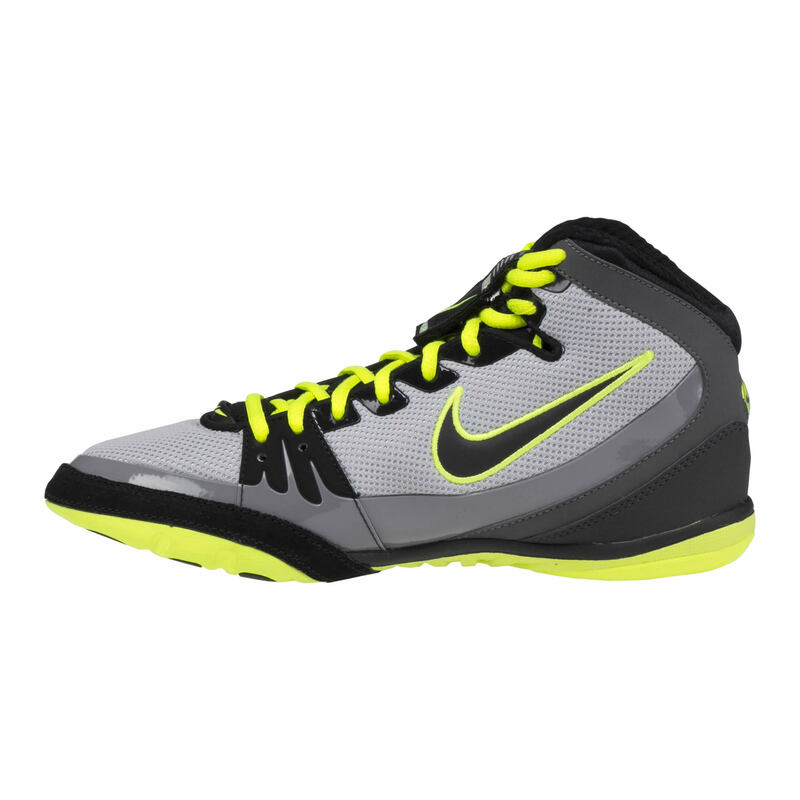 If you are interested in Nike Wrestling shoes the Takedowns and the Inflicts begin at size 6. The Hypersweeps begin at a size 5. I wear a 10.5 in Asics Cael Sanderson's 7.0's. 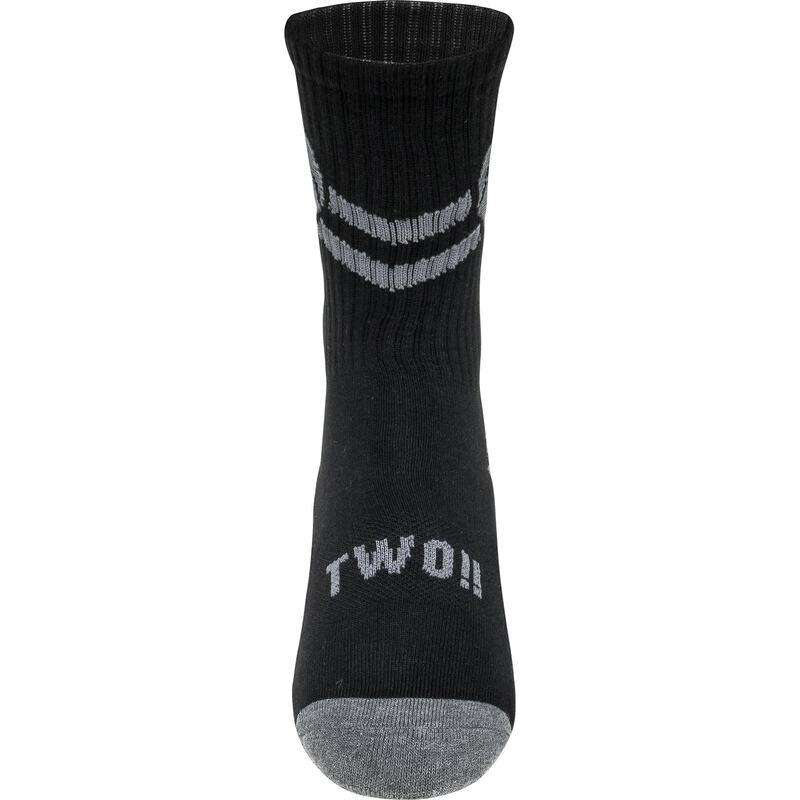 Should I get the freeks in the same size or different? It would be good to stay with the same size for the Freeks. My son is very picky when it comes to the feel of his shoes. He did very well in the Aggressors and switched to the Takedown 4s. He seemed to not have the traction or stability with the Takedowns but liked the increased speed. He has wide feet. Would the Nike Greeks work for his needs? 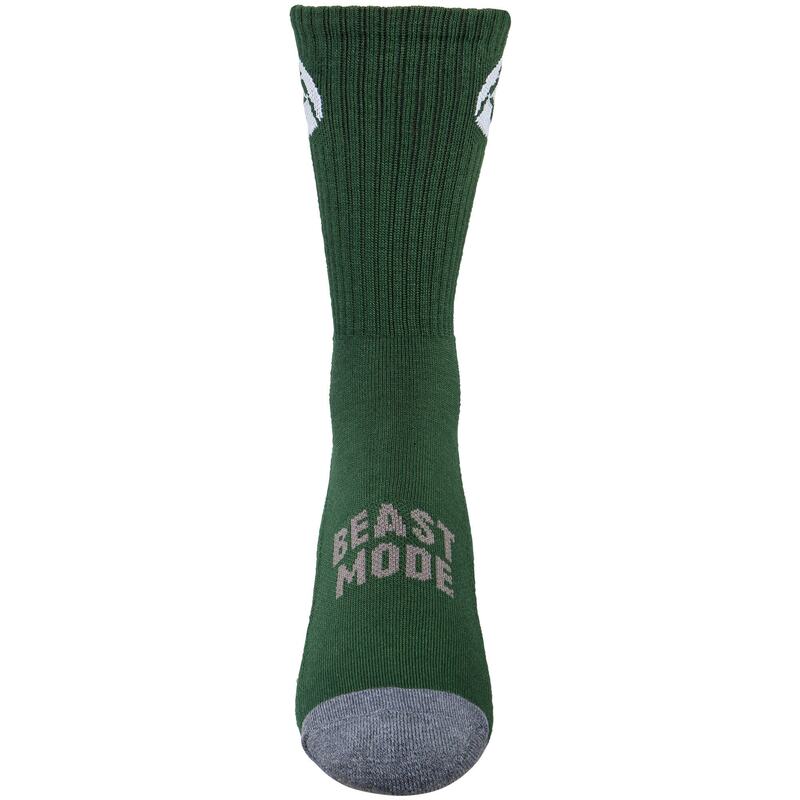 The Nike Freek is currently are best selling shoe next too the Aggressor. The Nike Freek has a bit more traction than the Inflict but not as much as the Aggressor. 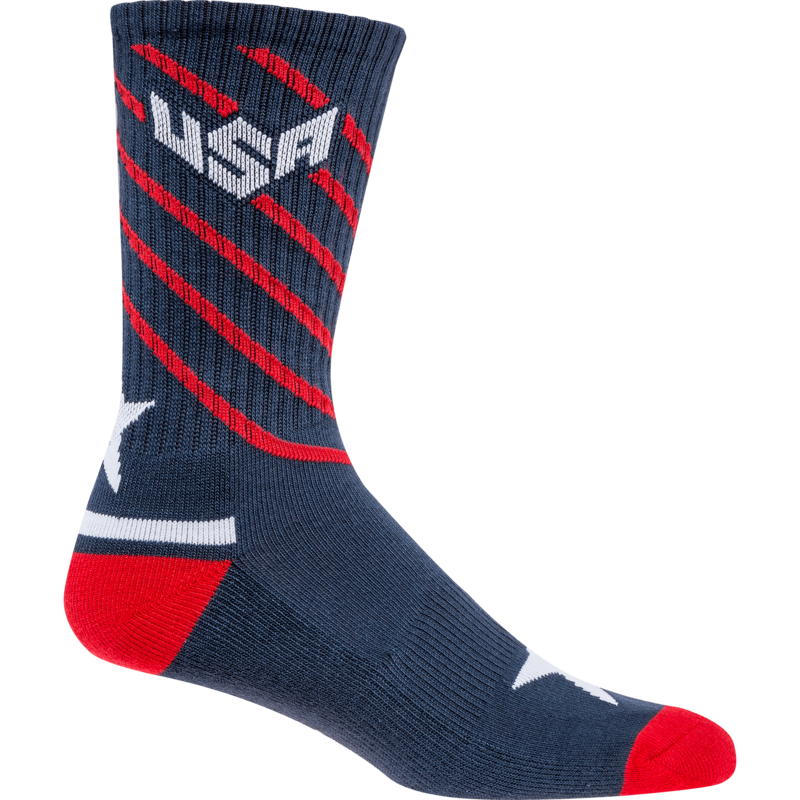 The Freek would be a better fit because it has a wider toe box so the foot will be nice and comfortable. When will the size 8 freeks be back in stock? 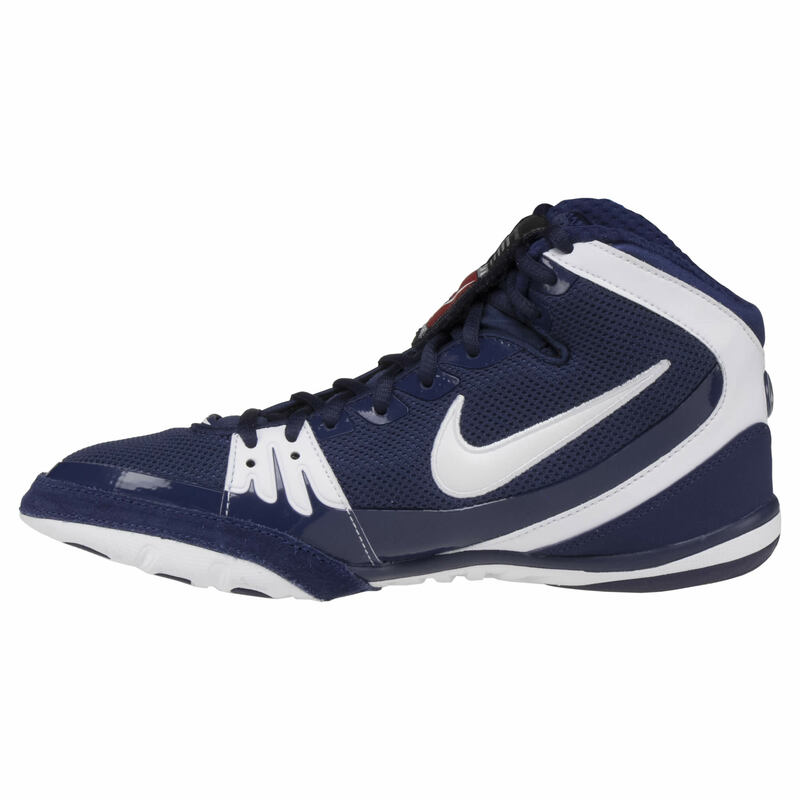 We are receiving a huge shipments of Nike Wrestling shoes in the next few weeks. 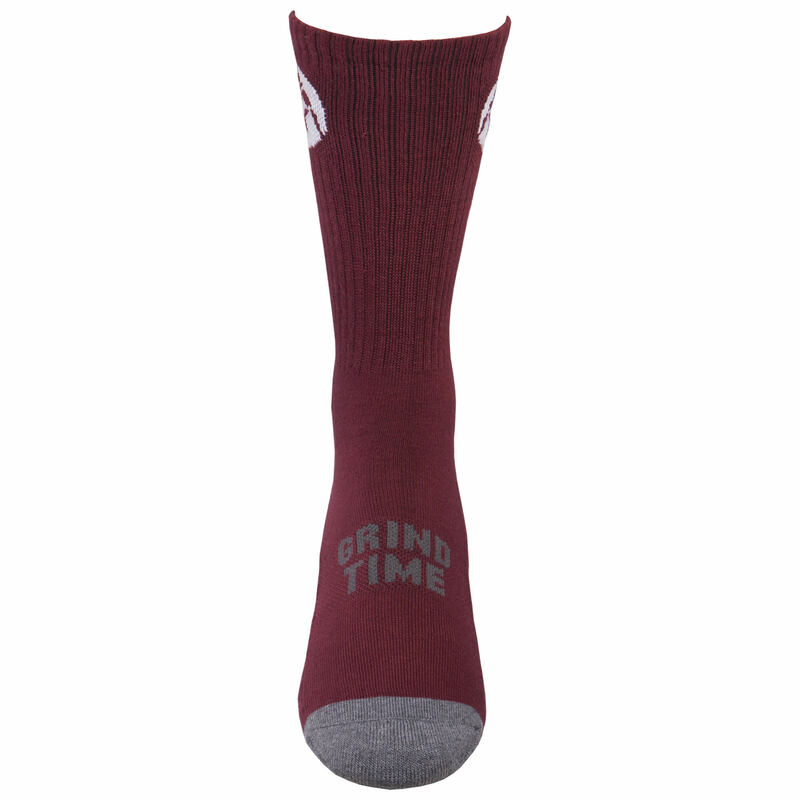 They should be available on the website shortly. Are these shoes going to be on sale and when? 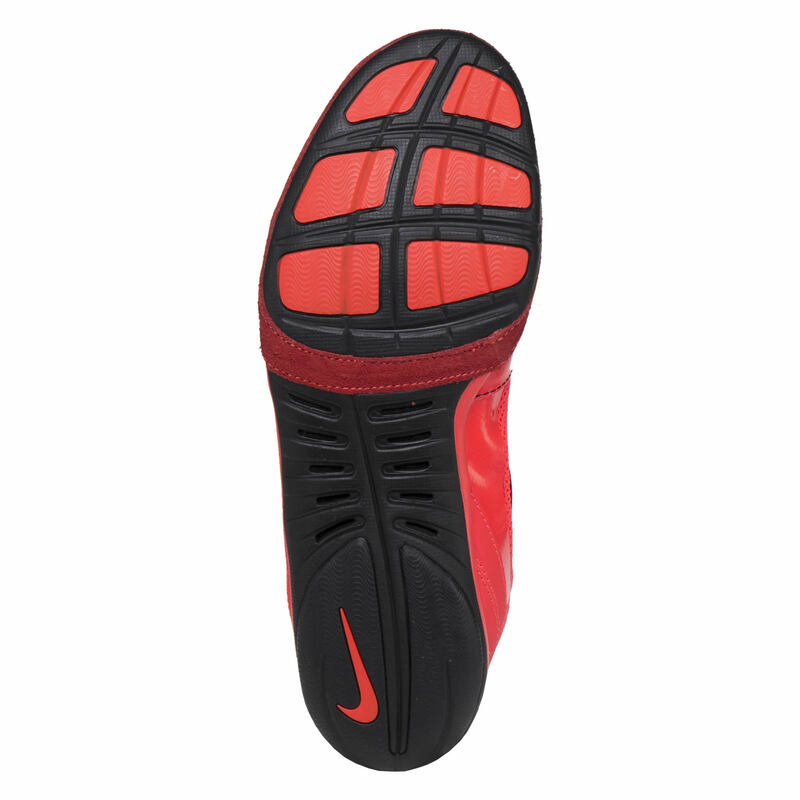 The only Nike Freeks we have on sale at the moment is the Red/Black at $89.99. If I wear a size 8 in normal nike street shoes, then should I stick with size 8 Freeks or go up half a size? It would be best to go with a size 8.5 for the Nike Freeks if you wear a size 8 in street shoes. 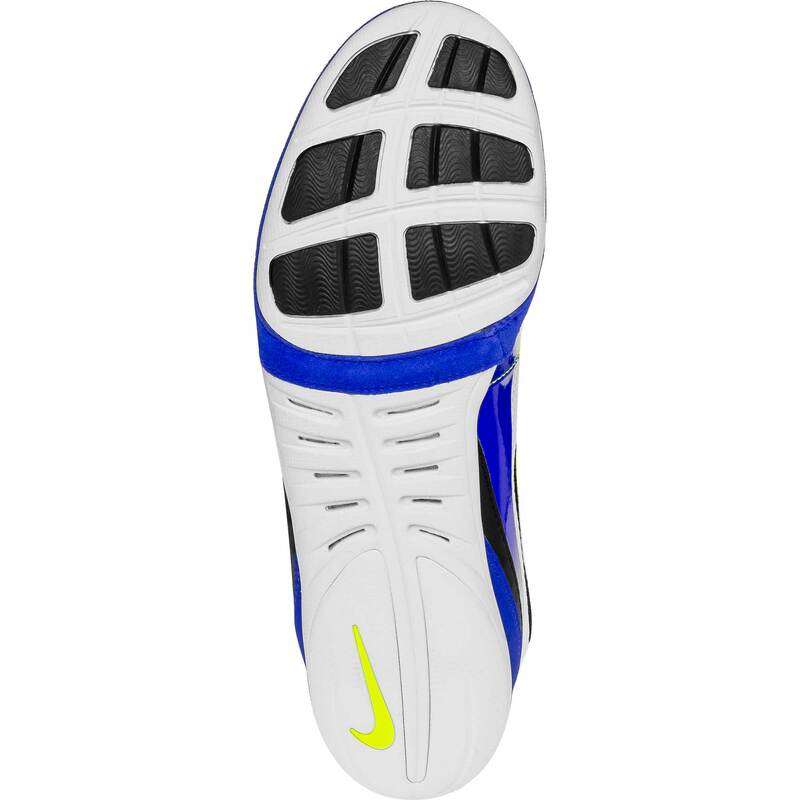 Does this show rip easily and if I were to wear these shoe for practice how long would it last or is this a tournament shoe only?? Shoes usually vary on how much work you are putting in them. 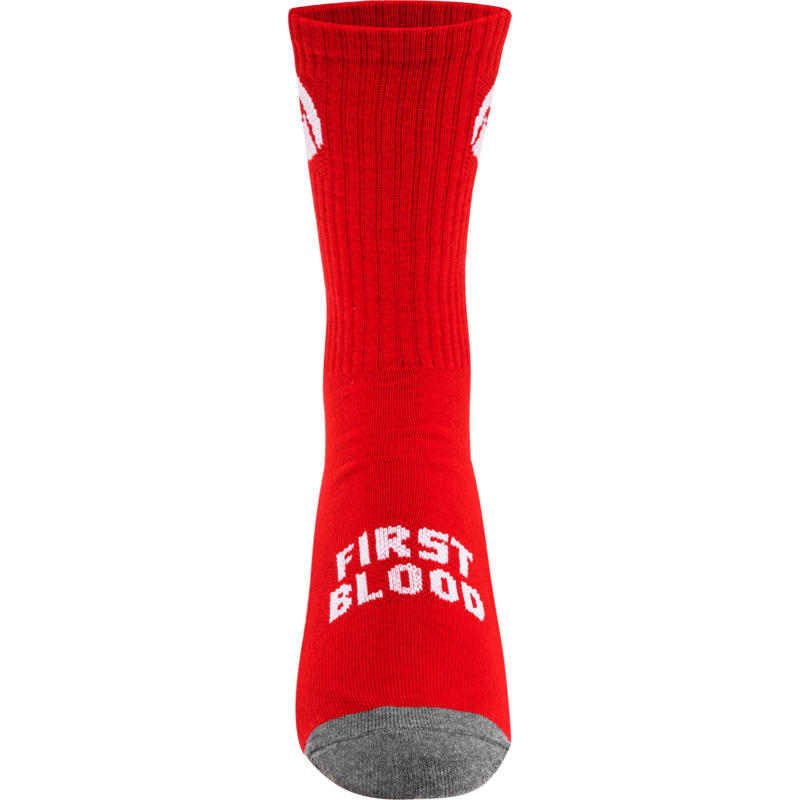 The Freeks will hold up for both practice and tournaments. 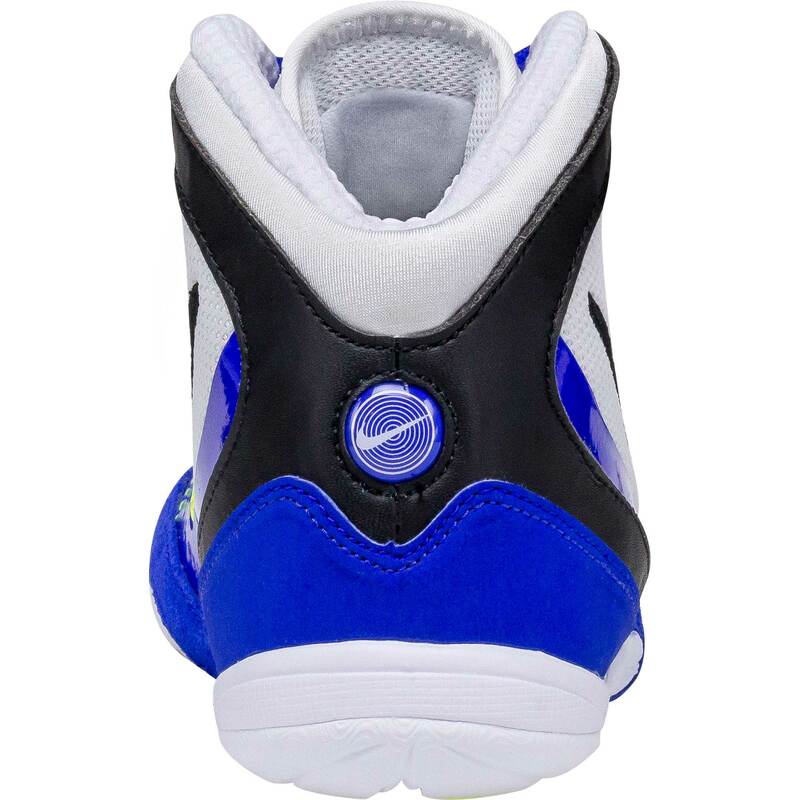 I believe the width of the shoe is D. But working with the customes that come in store, we have come to find the Nike Freek is considered a wide shoe. A good amount of customers that have wide feet walk out with Nike Freeks. I wear a size 8.5 for street shoes. What size should I get? I would say to go with a size 9. When will the size 8s be back in stock? We get a new shipment of Nike shoes in September. I got these shoes and they seem awesome, but I feel as if I got them a half a size too big, and I'm feeling the extra space in my toes, what can I do to get the same shoe but a size lower. I thought since I wore a 10 in Asics Agressor to get a 10.5 in Nike Freeks, but they seem a little too big. 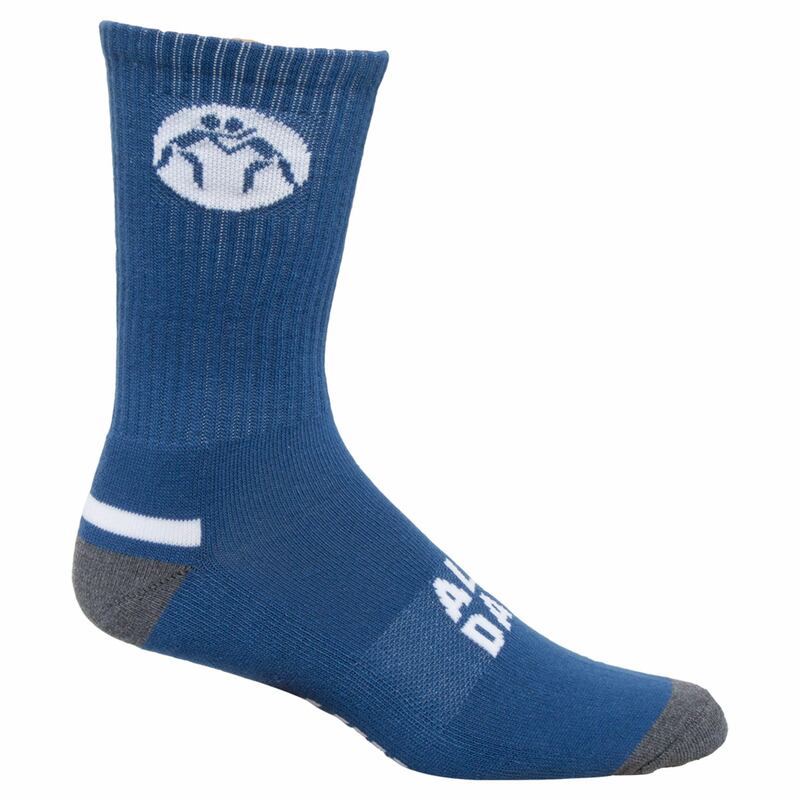 If you are looking to exchange the size of the shoe please see our link below. Try to fill out the sheet to the best of your abilities and we would be happy to exchange the shoe for you. If you have any questions, feel free to contact us at 888-887-8893. 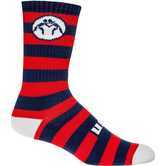 I would say to go with the 9.5 in the Nike Freek. 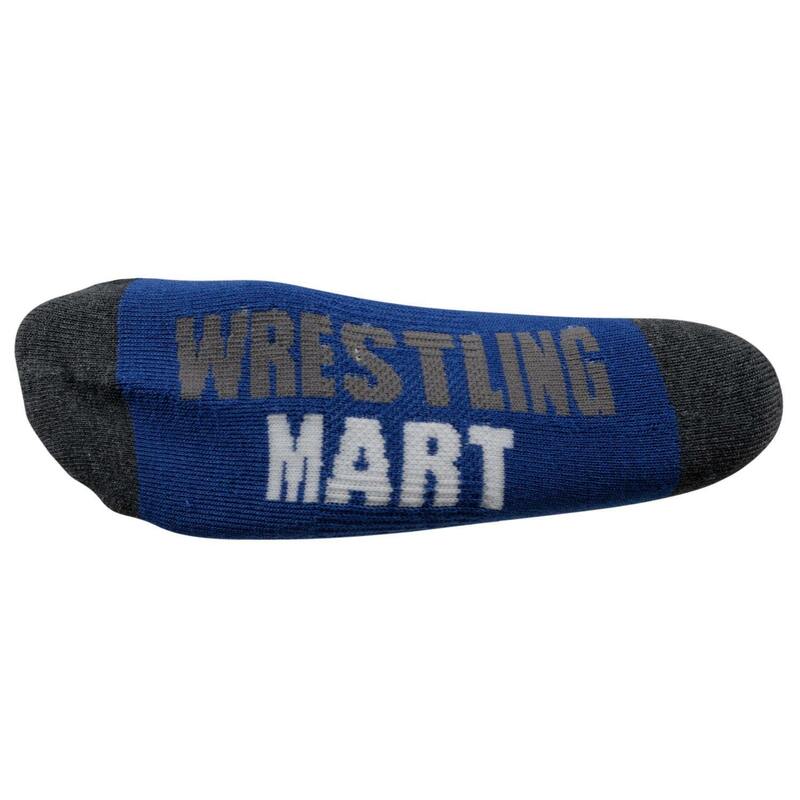 From working in-store with the customers that come in, we have come to find that Nike and Asics have similar sizing for their wrestling shoes. I wear a 10.5 in Asics Snapdown. 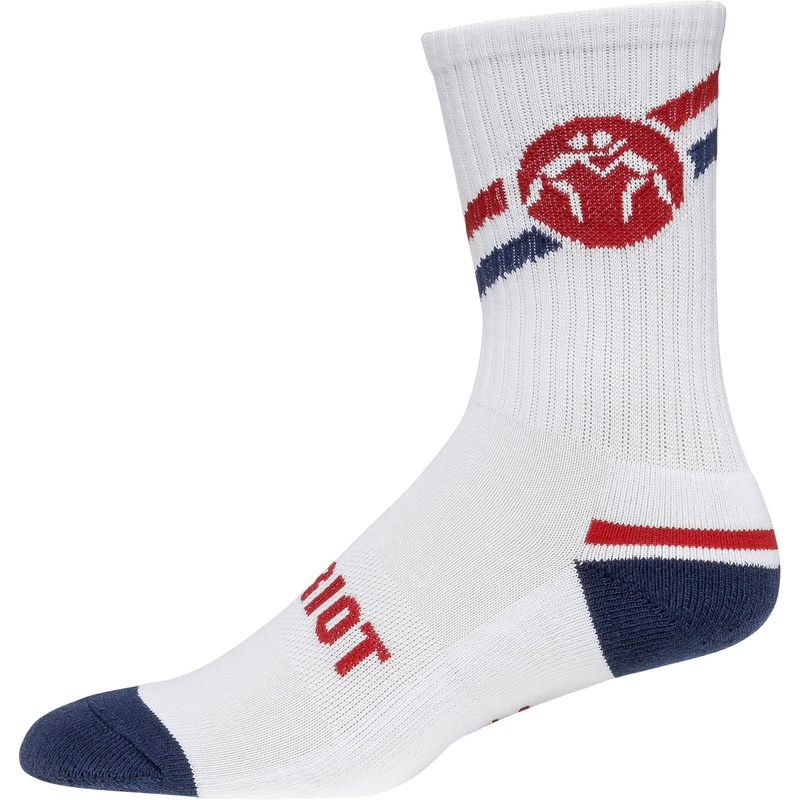 What size should I wear for Nike Inflict 3/ Nike Freeks? I would recommend to stay with the 10.5. I would say to go a half size depending on the size shoe you wear. If I order shoes online and they don't fit, could I return them in store? As long as the shoes are like new with original packaging, and have not been worn, you may bring them in-store for an exchange. Also, receipt for original purchase must be present. 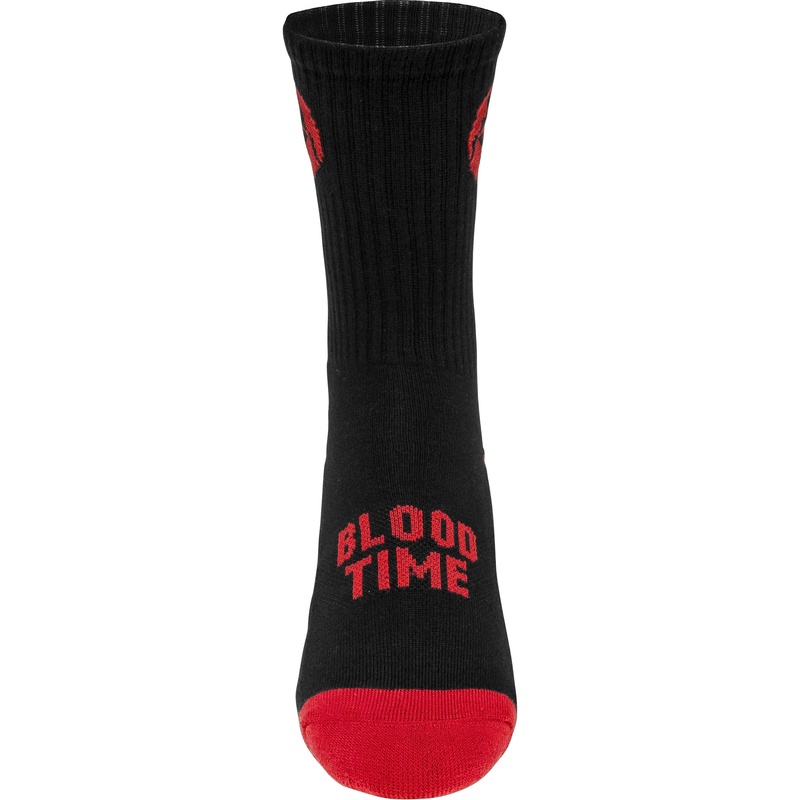 would the sale price for this shoe be the same if i purchased these them in store? The prices on the website do match our prices in store. They would be the same price if you were to come in to purchase them. 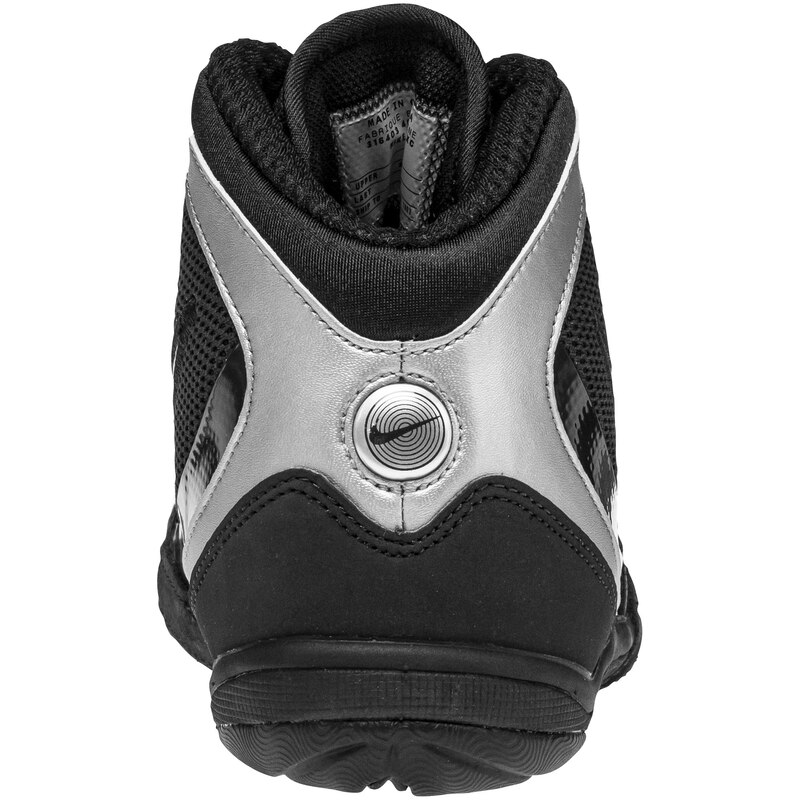 Would freeks be an upgrade from inflicts? Correct. 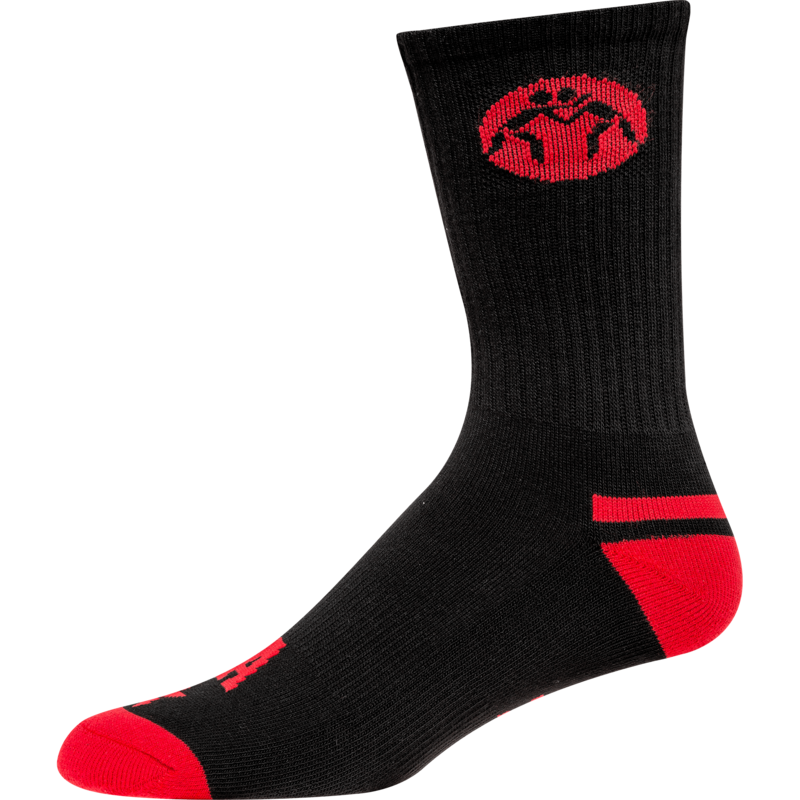 The Nike Freek is an upgrade from the Nike Inflict 3. I wear an 8 in an old pair of asics split second 9, and am interested in these. 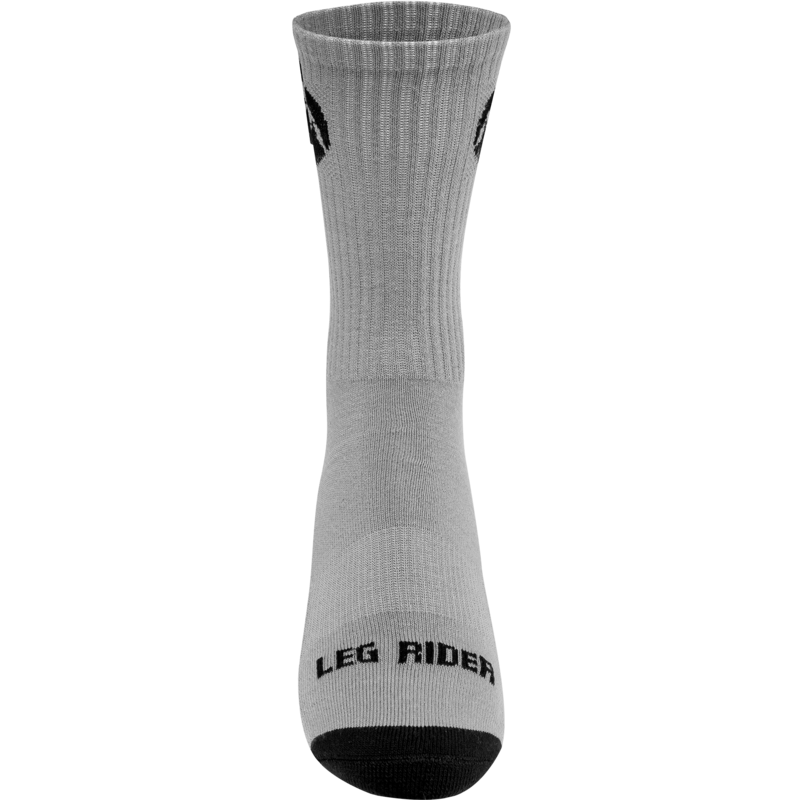 What size should I go with? How long have you had those Spliy Seconds? If you had them for a while and have probably grown out of them by now, I would say to go with a size 8.5. Shipping time varies on location. 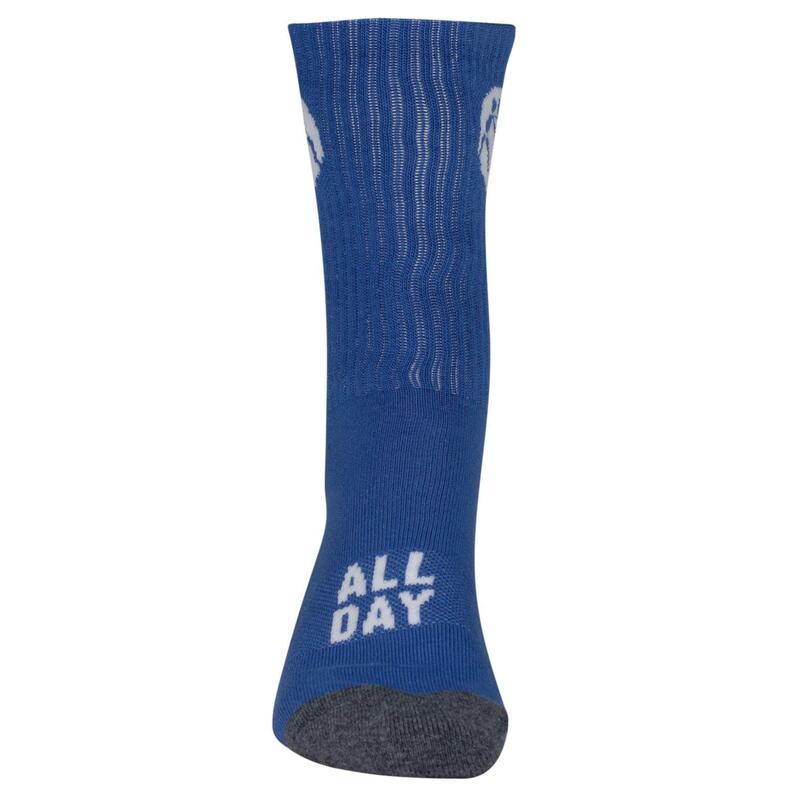 Normal shipping times are 4-7 business days. We try our best to ship out are products within 24 hours. If you have more questions regarding shipping, fell free to give us a call 888-887-8893. 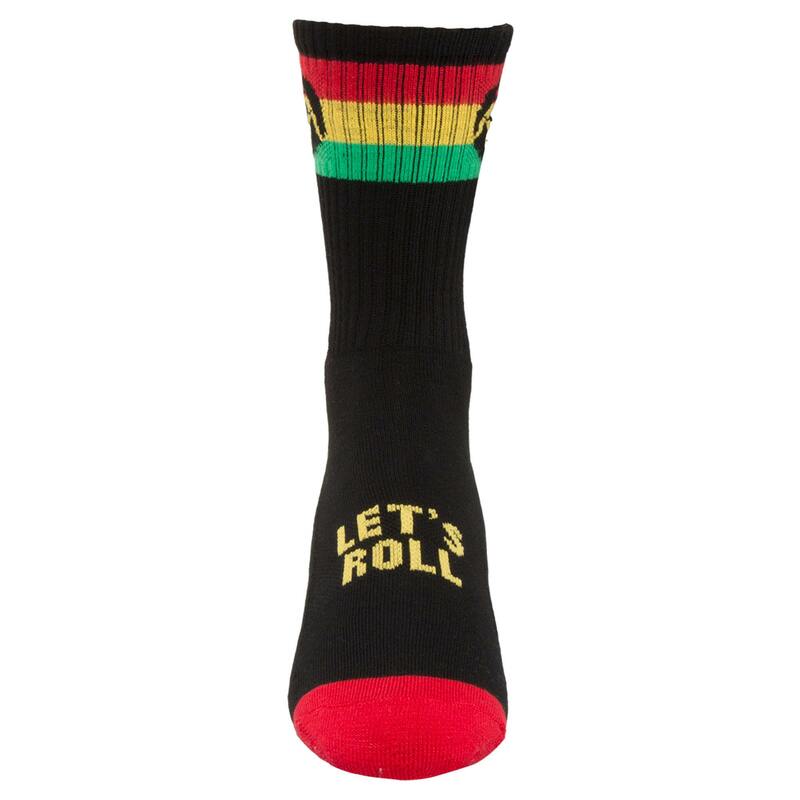 I would go with a size 9 in the Freeks. Adidas runs a bit larger in size compared to Nike Wrestling Shoes. 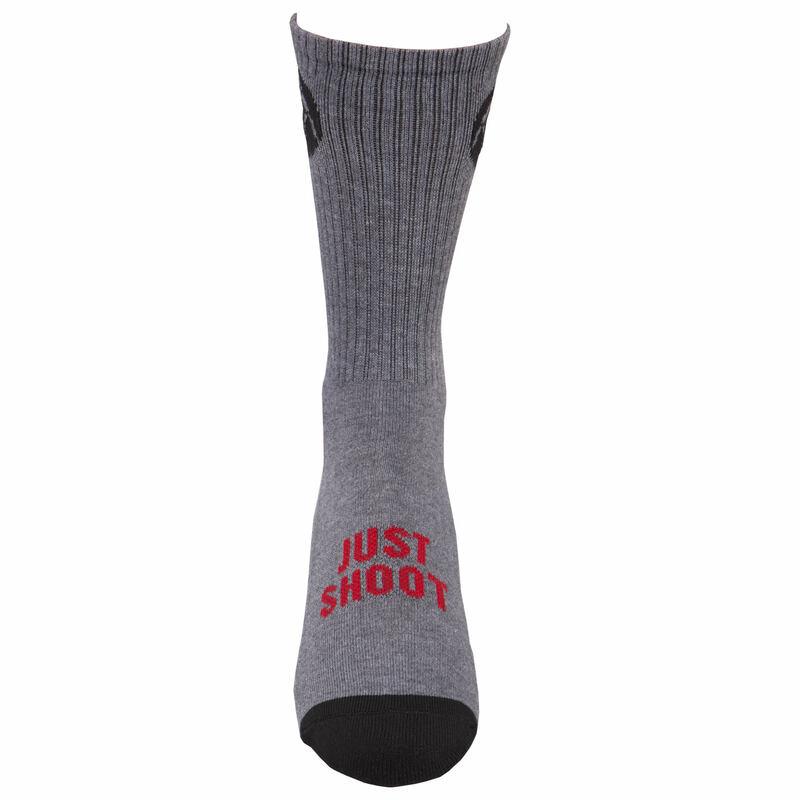 I previously had a pair of JB Elite V2s and was wondering what size freeks I should order. What size did you get the JB Elite V2's in? so I wear a size 11 show, what size should I get for these? 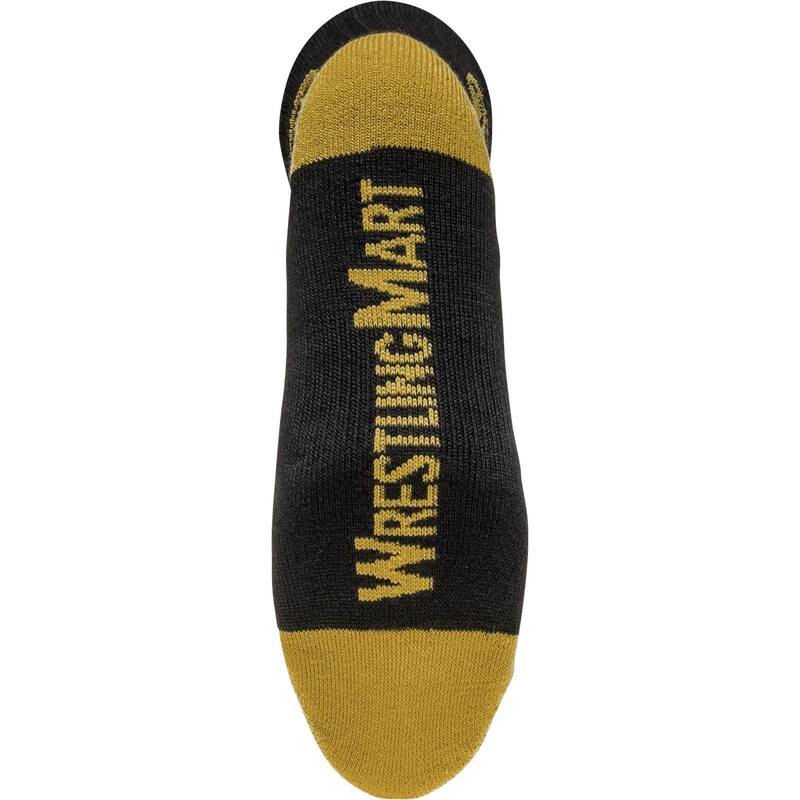 What wrestling shoe are you a size 11 in? 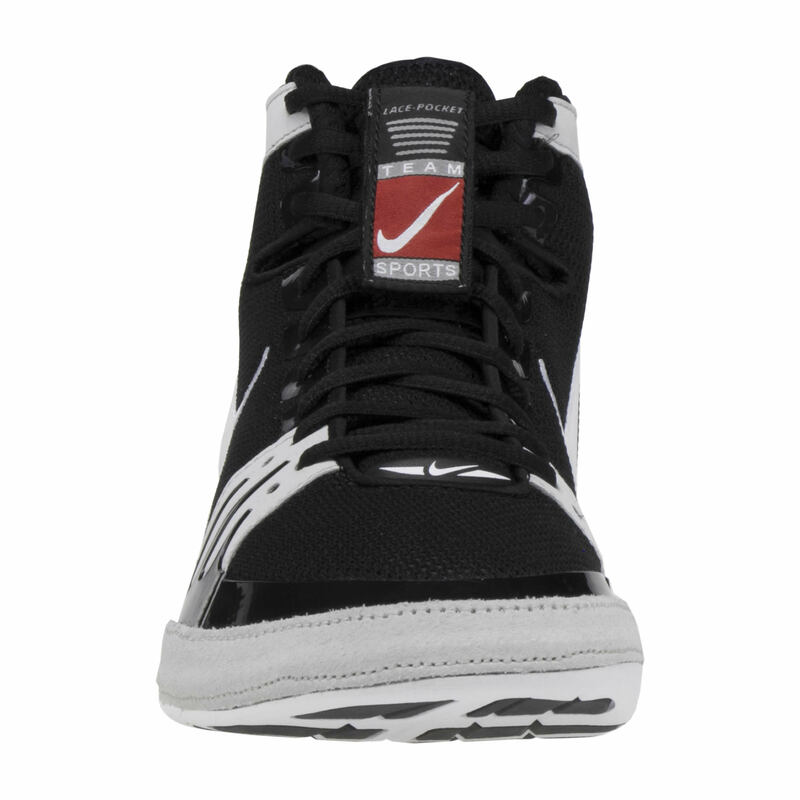 If i wore a size 9.5 in the Nike Inflicts then would I wear a 9.5 in the Freeks? I would stick with the same size if you are going from an Inflict to a Freek. 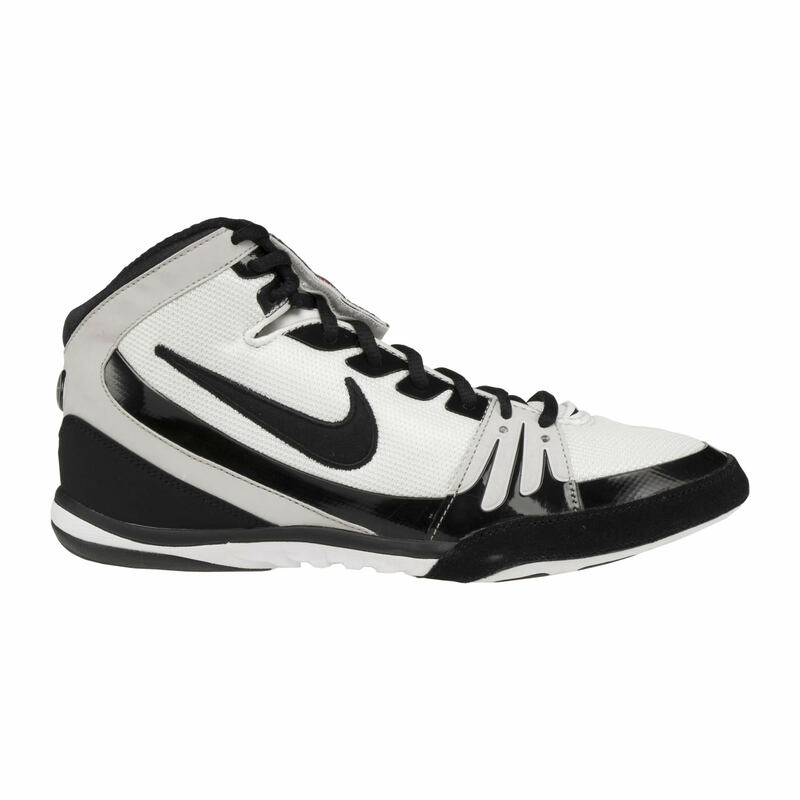 Do you have a restock date for the NIKE FREEK (WHITE / BLACK) size 12? What size and style of shoe are you wearing at the moment? When will you be getting size 8 in? I believe we should be getting another shipment of Nike Freeks in the upcoming months. 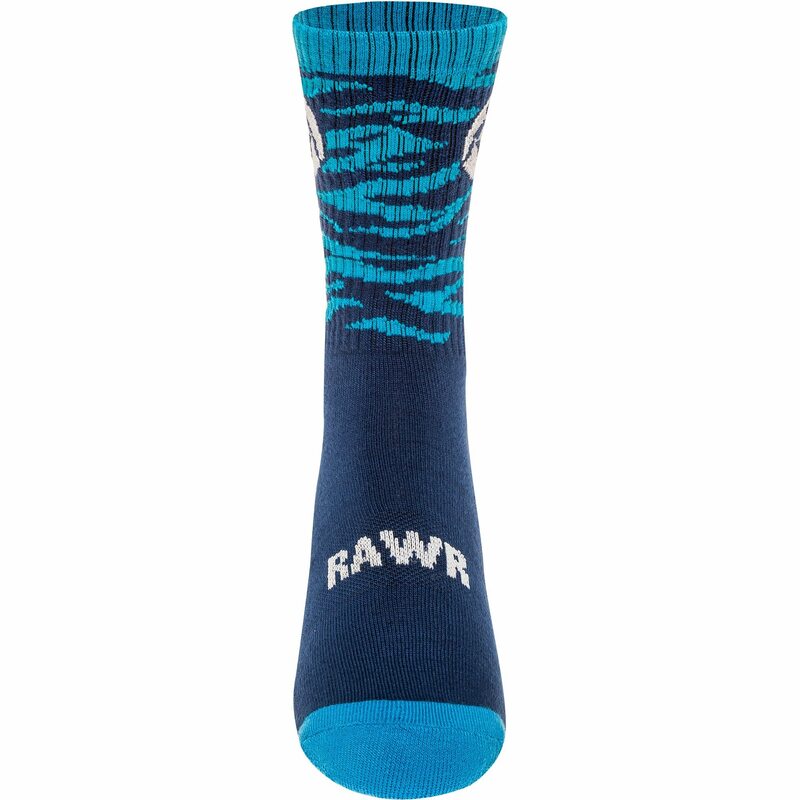 I have aggressors that are size 7.5 what size do I get the freeks? I would recommend going with a size 8 in the Freeks. Hello ! I am trying to find the Nike freek in a size 6 and am having absolutely no luck ! My question is do they even make a size 6? And if so can you get them? Unfortunately, Nike Freeks begin at a size 8. 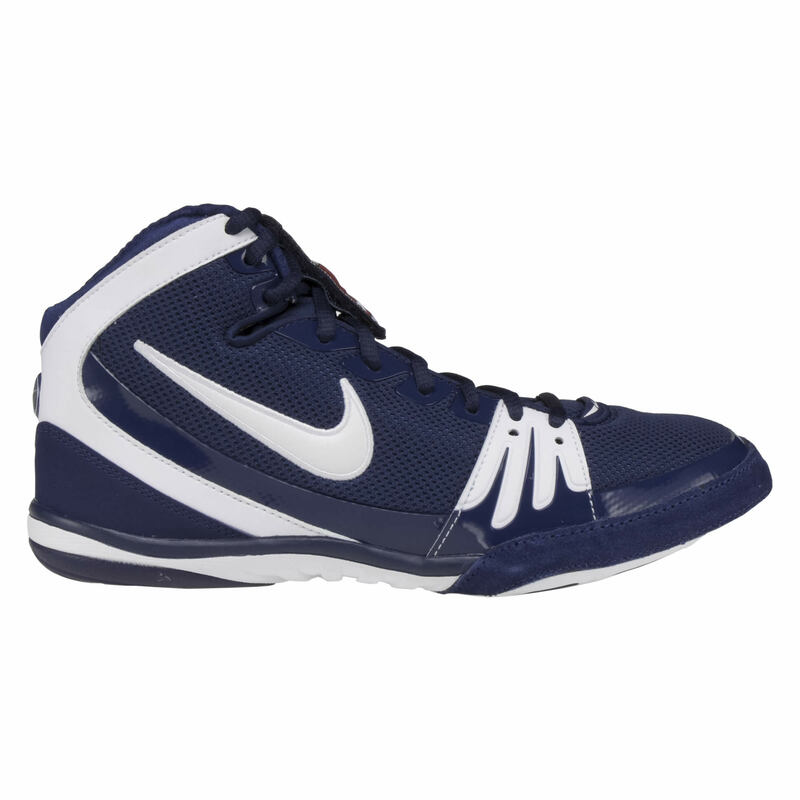 It’s strange that they do, because the Nike Inflicts, Takedown and the Hypersweeps all begin at size 6. 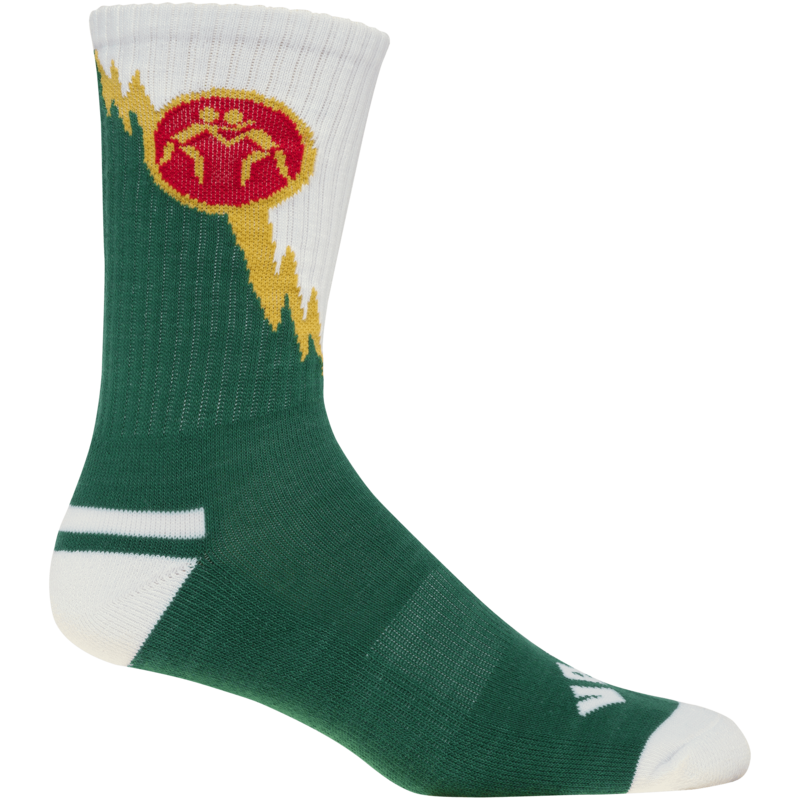 I suggest getting a Nike Freek size 10 if the Combat Speed you tried on was just a little bit too big : ) The Nike Freek runs small compared to just about every wrestling shoe on the market today. when will there be smaller sizes for Nike freeks? At this time, a size 8 is the smallest size for the Nike Freek. 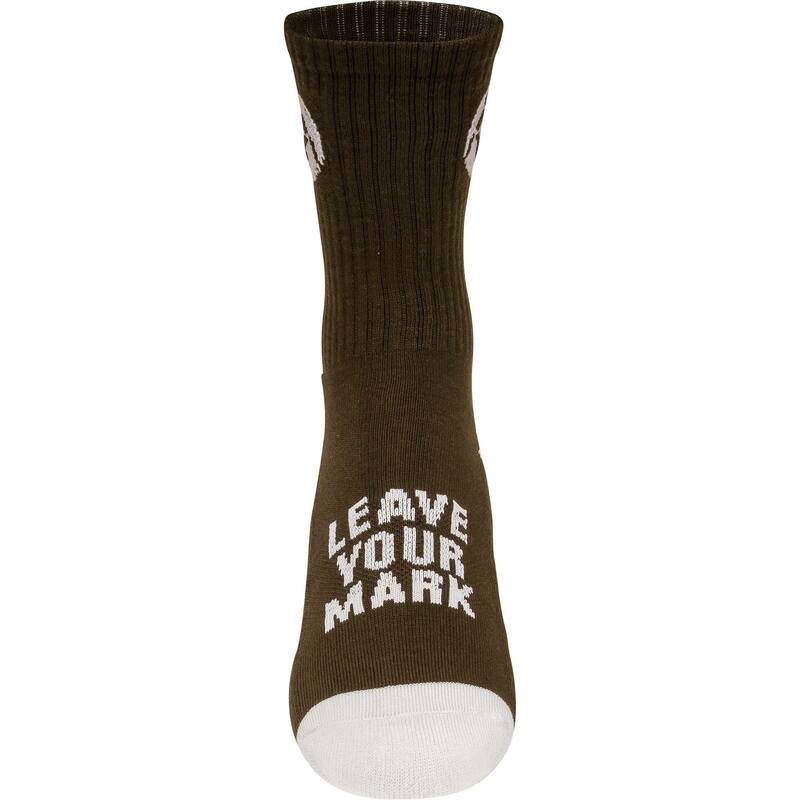 We understand your frustration and have passed it along to Nike. Hopefully, they will listen to our advice for next year. 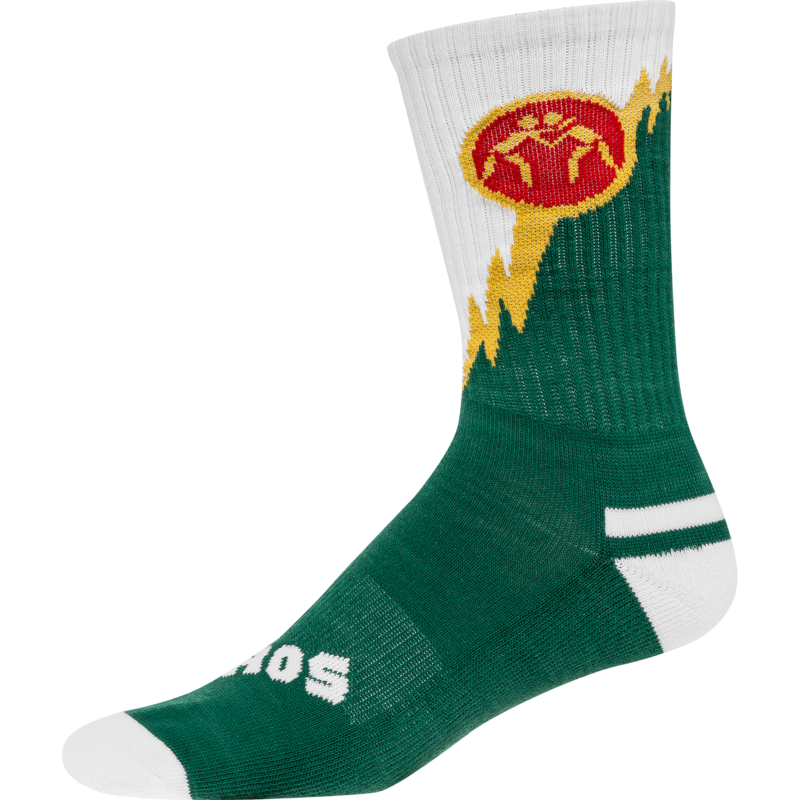 Small foot wrestlers rule! I have terrible ankles and need extra support and less flexibility. Do you think this shoe would be best or would another be better? 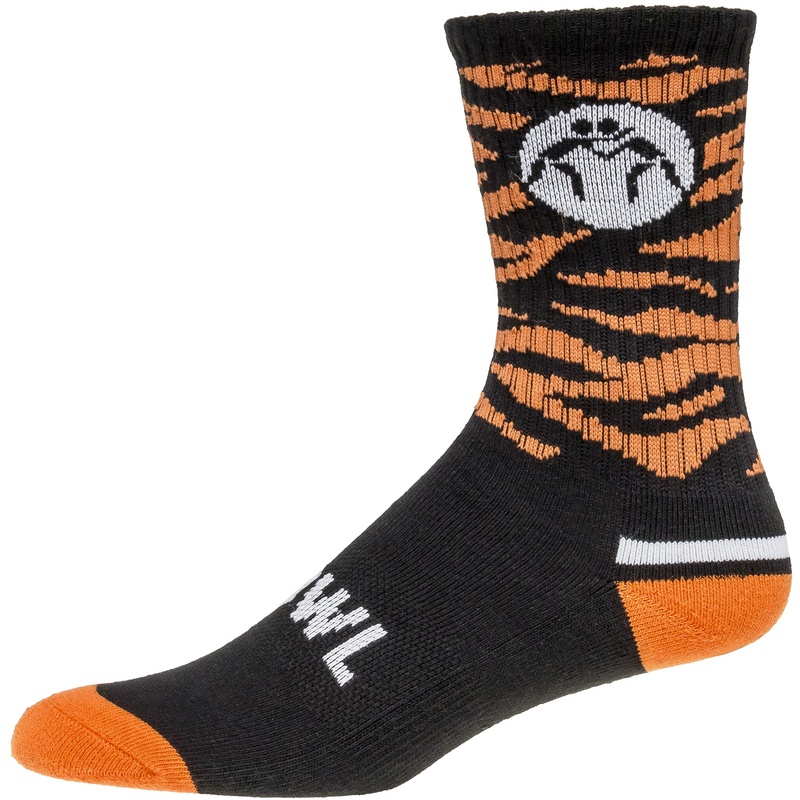 I'm required to wear wrestling shoes in my gym but need a sturdy shoe for my ankles. I'd highly recommend the Nike Freeks if you are looking for a shoe with high ankle support. You should also check out the ASICS Aggressors and Adidas Flying Impacts. If I wear a 10.5 in adidas mat wizards do I need an 11 in the freeks? 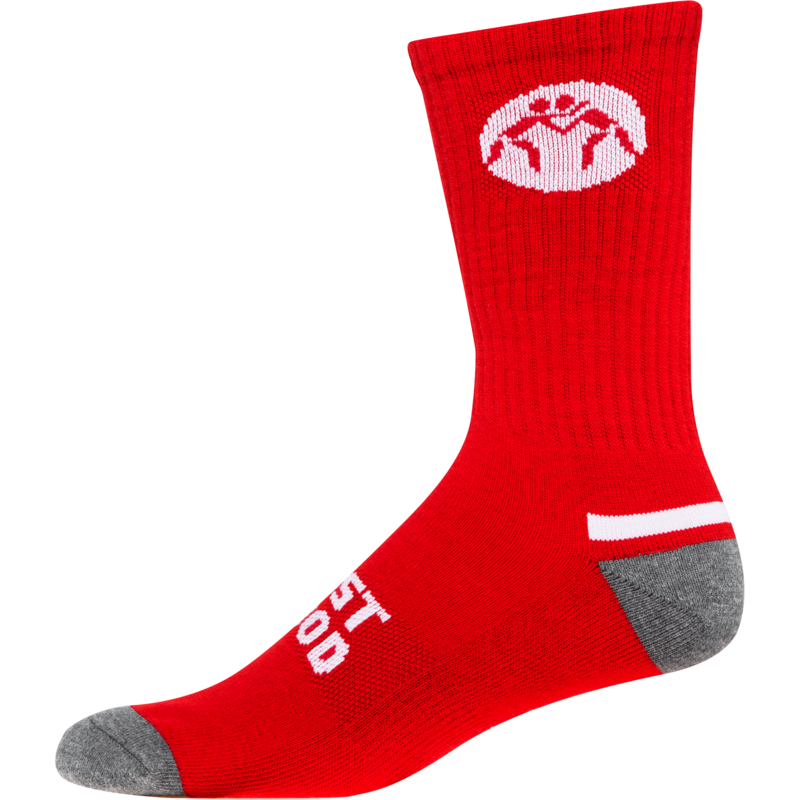 You should be good with a 10.5 in the Freek’s. Adidas shoes run larger in size than the Nike Freek’s. Nike’s are more true to size. if i wear a size 8.5 in combat speed 4s and 8.5 agressor 2 will the 8.5 in freeks fit me? 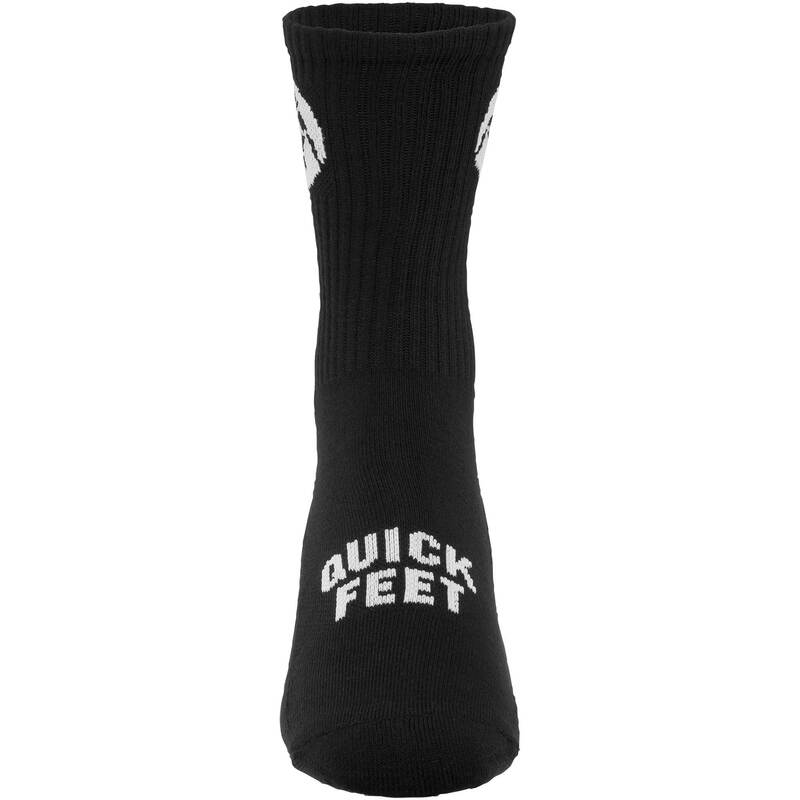 Do nike freeks have good ankle support? 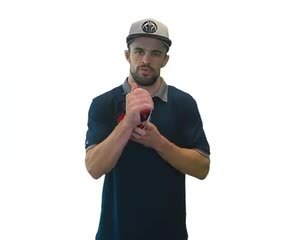 How is the grip? 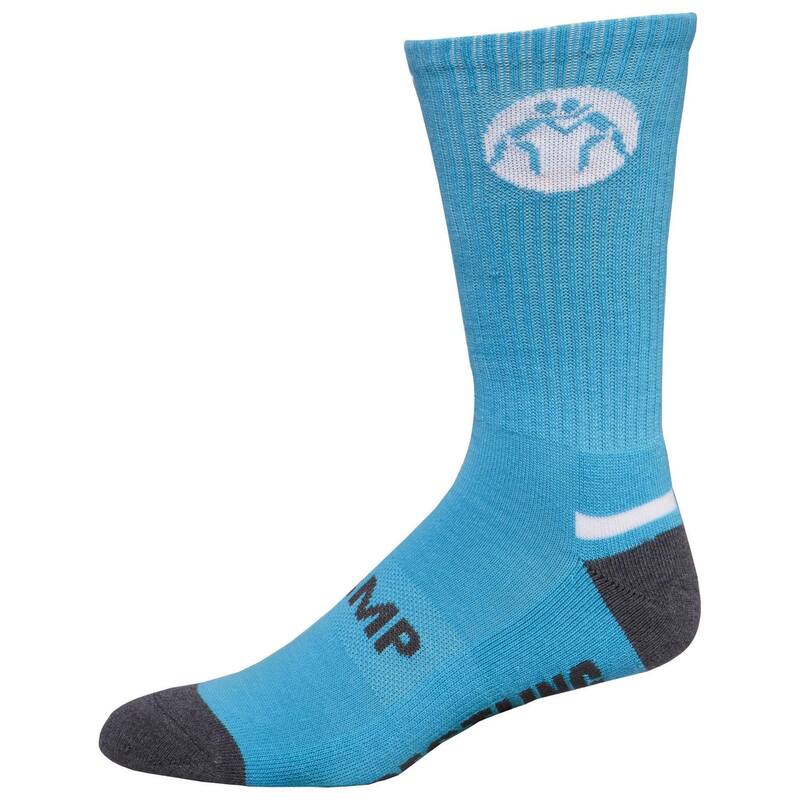 The Nike Freeks have some of the best ankle support in the industry. 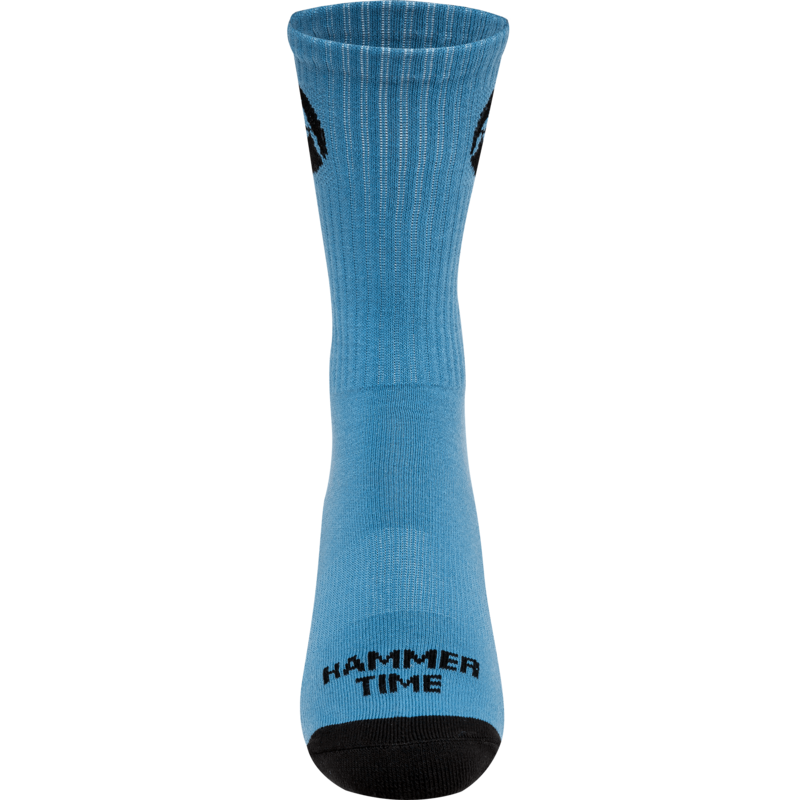 Their cushiony upper provides a lot of support and padding compared to the more minimal uppers of most ASICS, Adidas and even other Nike shoes. 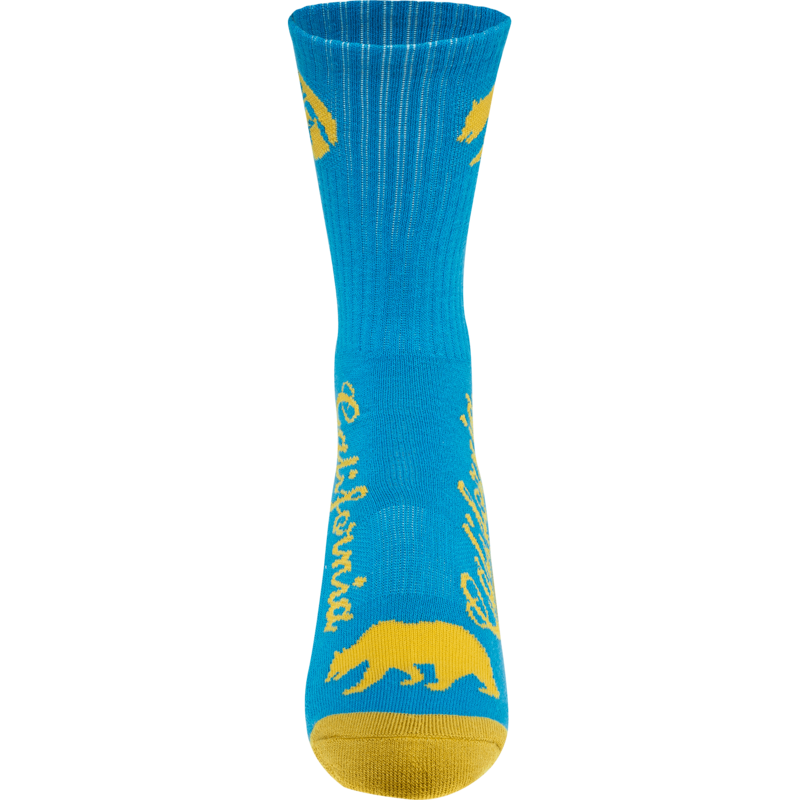 As for the grip, the Freek's solid sole provides a good amount. It doesn't have as much grip as an Aggressor or Mat Wizard (but it is more flexible). 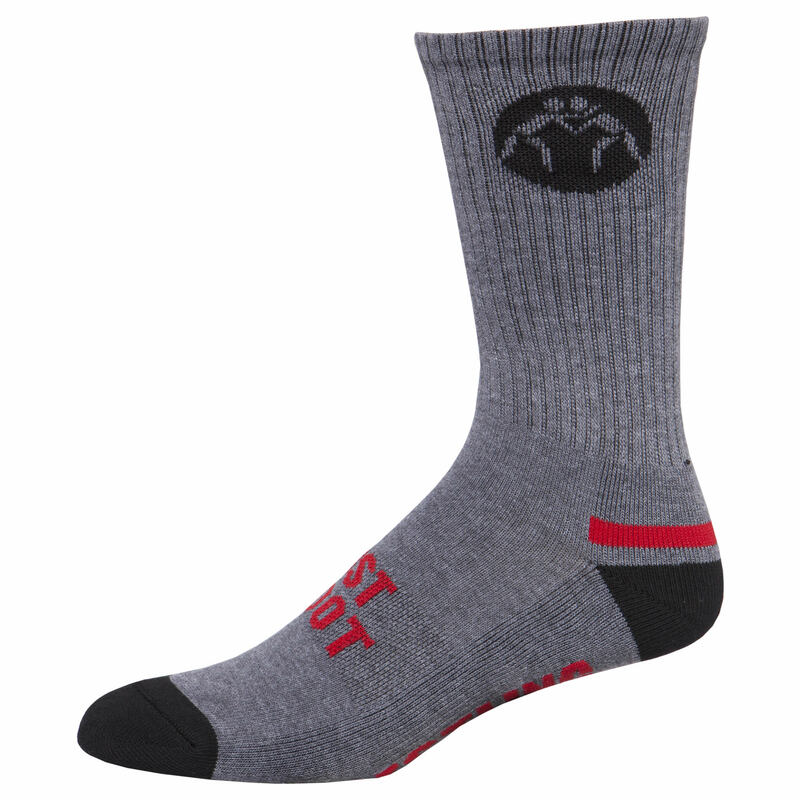 It does have more grip than a Nike Inflict or Takedown. Very good question. 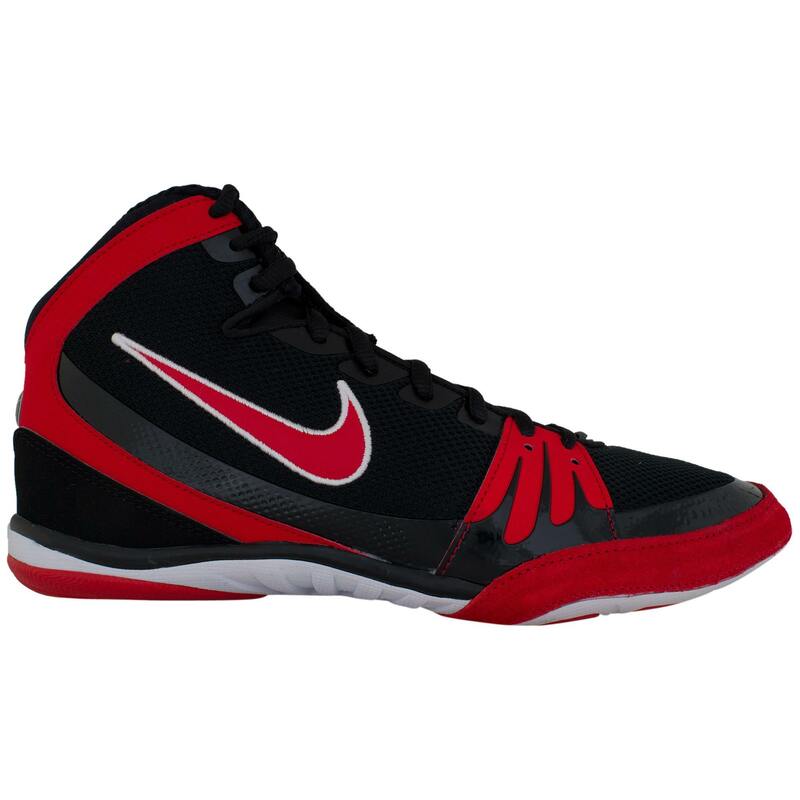 The Nike Inflict is a much grippier, more supportive shoe than the Takedown or the Inflict. The Inflict is a much lighter and faster shoe than the Nike Freek. 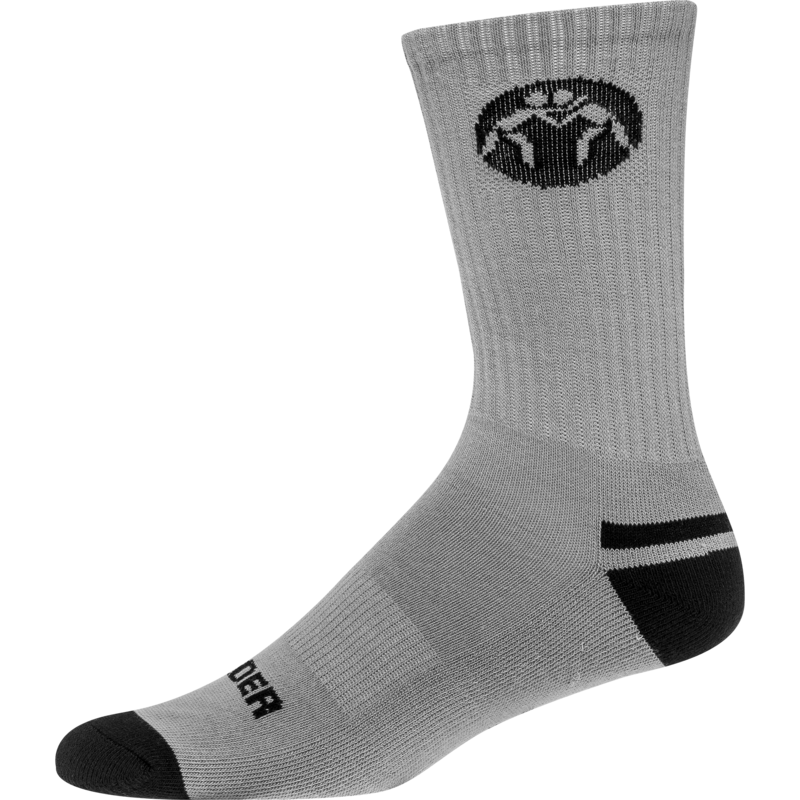 The Hypersweep tries to merge the two shoes together and create a very fast, flexible and high grip shoe : ) Is there anything in particular you are looking for in your wrestling shoes? I'd be more than happy to make a recommendation. I currently wear the adidas mat wizard 3 in a size 11 but their starting to feel pretty snug. but I was looking to jump this season into some hypersweeps. 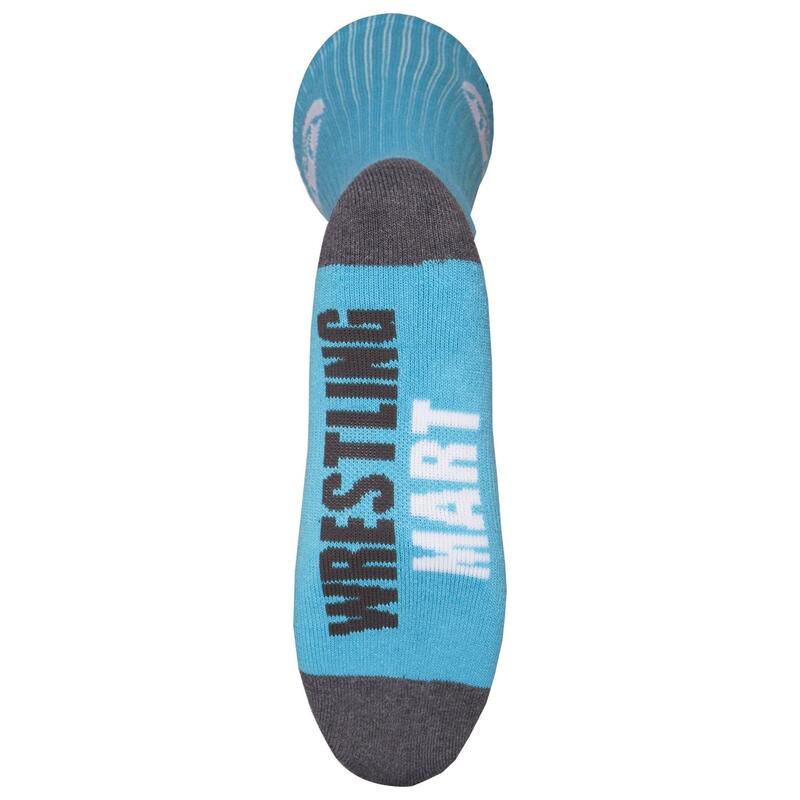 do you know if the hypersweep runs true to its size, and if so should I get a size 11 or 11 1/2 considering my adidas mat wizards are starting to feel snug. thanks. 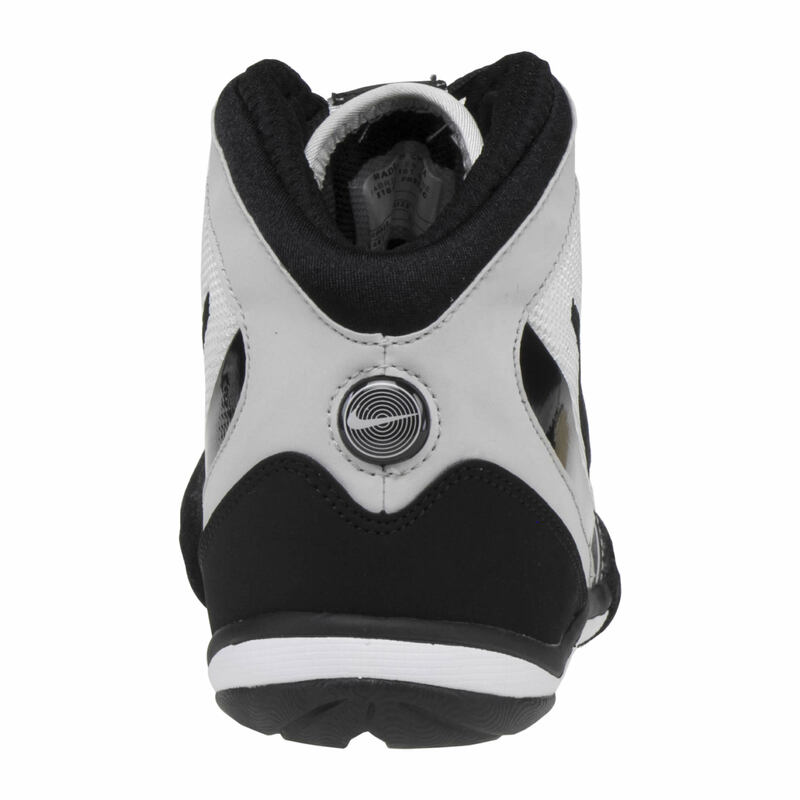 In general, most Nike shoes will run smaller than the Adidas Mat Wizard 3, or really any Adidas shoe. I would at least get 11.5, maybe 12 in the Hypersweep. What date are the black nike hypersweeps coming out? Unfortunately, we don't have an exact date yet, but we do expect the Nike Hypersweep to come in soon. We had initially hoped for September but it is now looking more like sometime in October. However, with new releases we really don't know until they are physically here in our warehouse ready to ship. 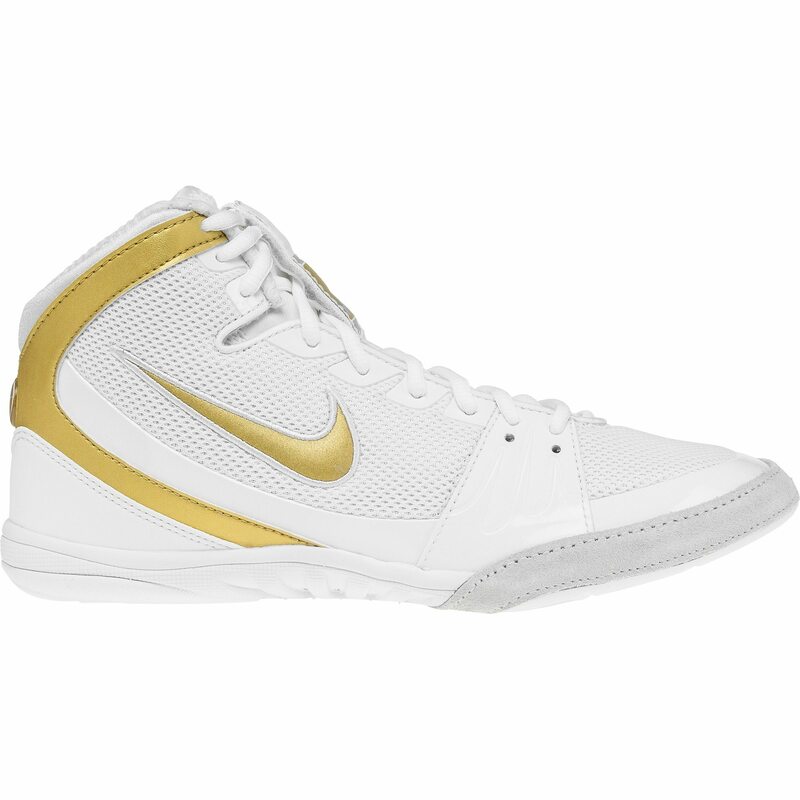 The Nike Hypersweep is not available yet but should be soon. I don't know for sure what we will sell them at, but it looks like previous releases and the special edition Olympic color retailed for around $160 from Nike. I wear a size 11 shoe, what size should I order? The Nike Freek runs generally true to size. If you are trying to convert from street shoes, that can be a difficult thing to guess without you actually trying them on. 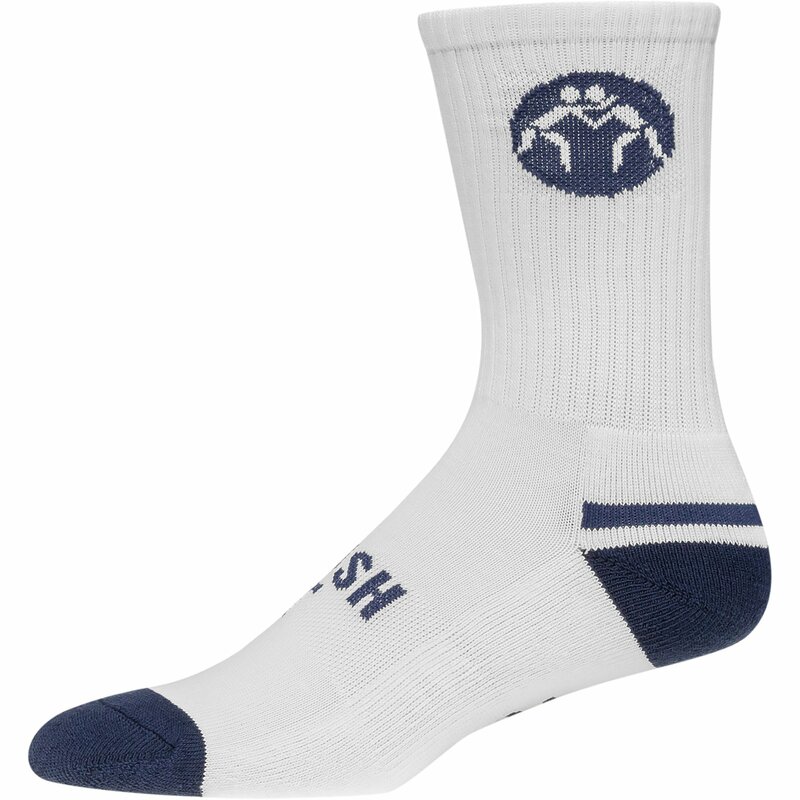 In general, most people go up about a half size from their tennis shoe size when getting wrestling shoes. 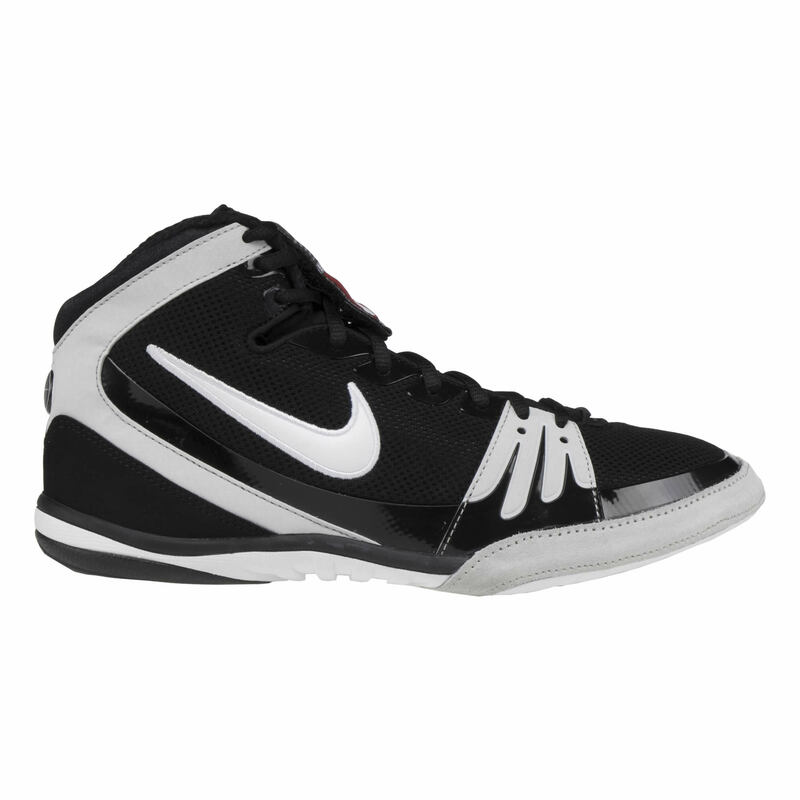 If you normally wear a size 11 in wrestling shoes, I would stick with a size 11. My son is an 8.5 wide. Would I be better off getting a size 9 or 9.5? Thank you! 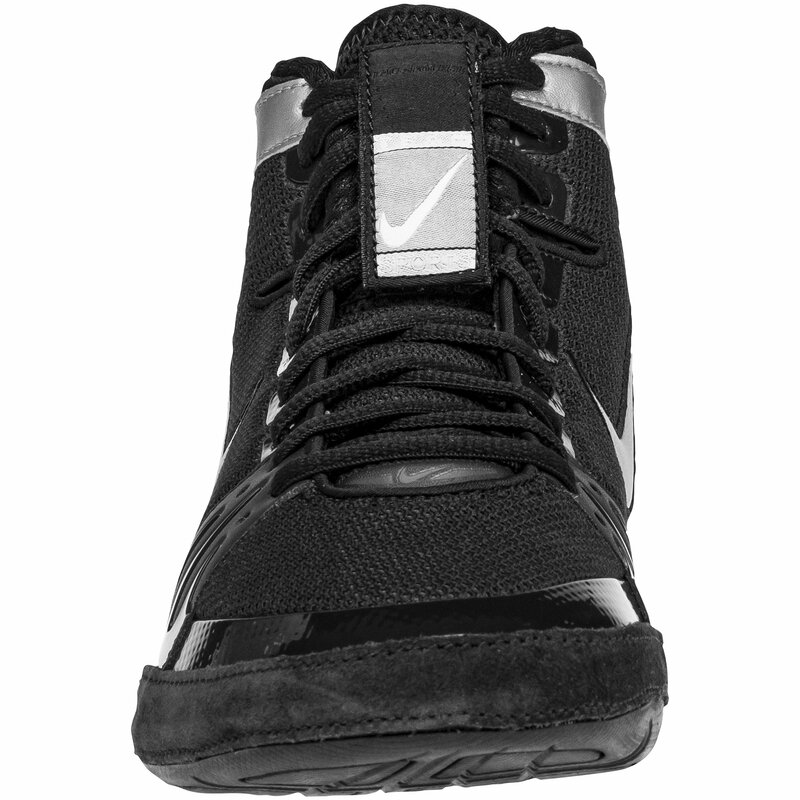 The Nike Freek runs fairly "normal" in terms of sizing and width. If he normally is an 8.5 wide, I would most likely not recommend going up to a 9.5. I think he could end up with too much extra room up front. 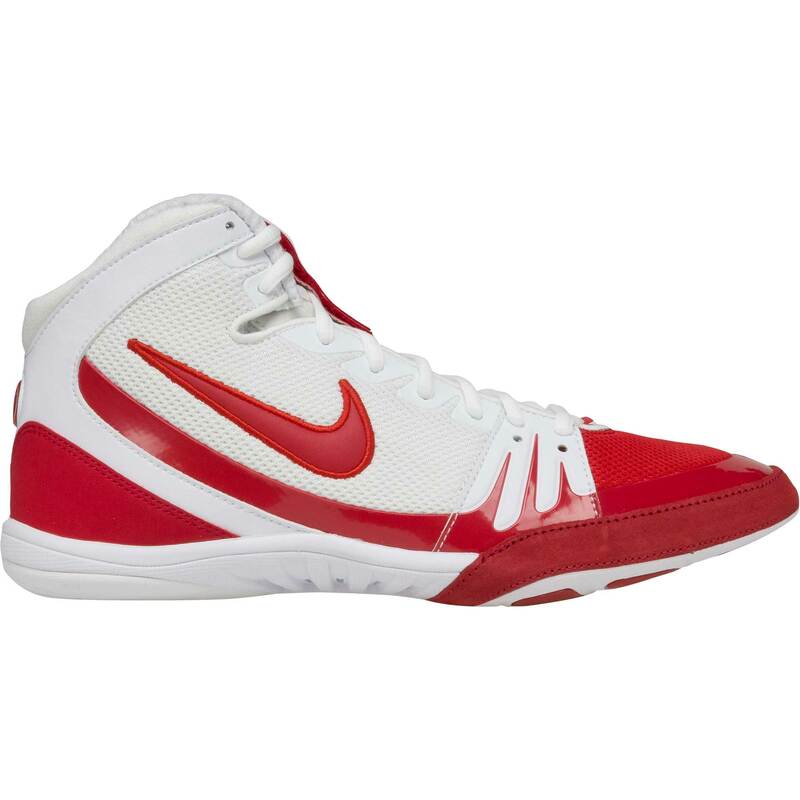 That said, the Nike Takedown 4 is our widest fitting shoe. If he really has a wide foot, I would also check that one out in an 8.5 or 9, once we have them back in stock, which should be within the next month or so. 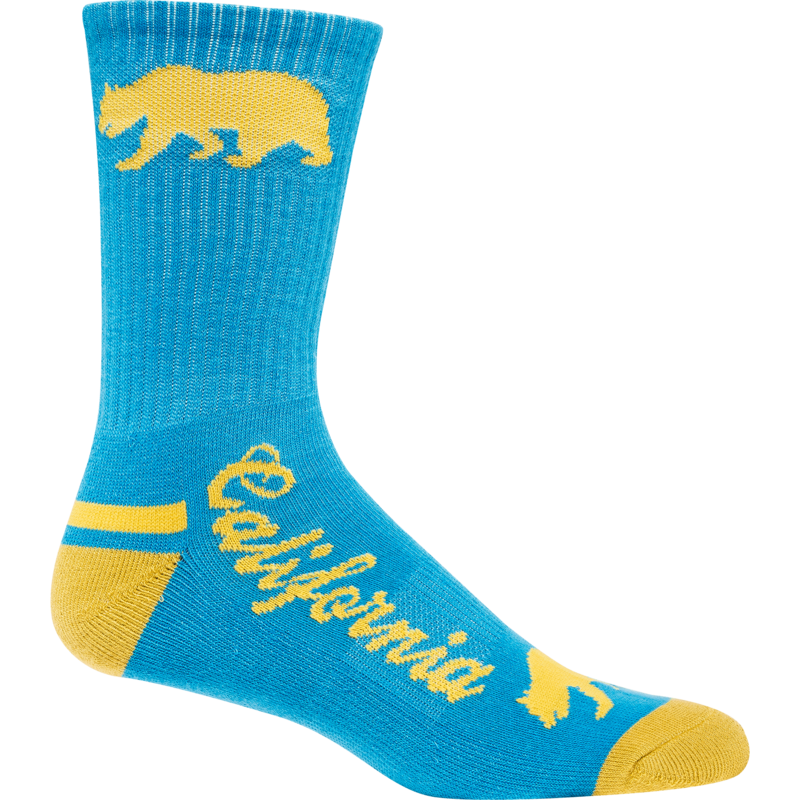 If you happen to be in Southern California, it's always best to come in to our Irvine showroom and try them on to get the right fit. 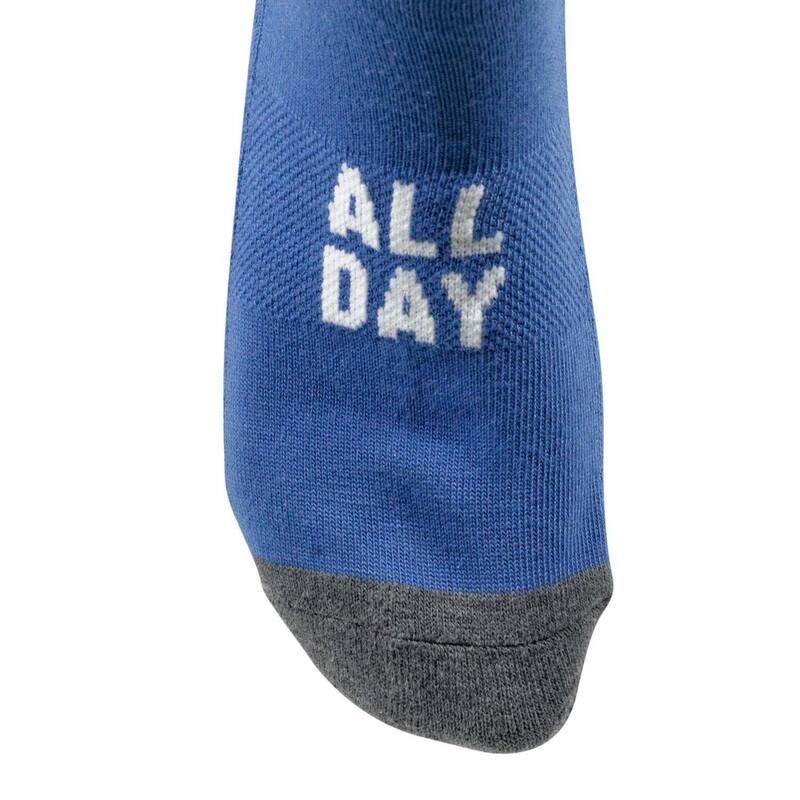 If not, we can always exchange your shoes if you get the wrong size. When are the Nike Hypersweeps coming out? The Nike Hypersweep, along with the rest of the Nike Freeks, is expected to be released near the end of September. However, I would strongly urge you to not take that as any kind of promise or guarantee of a delivery date, or that we will even get them in at the same time. 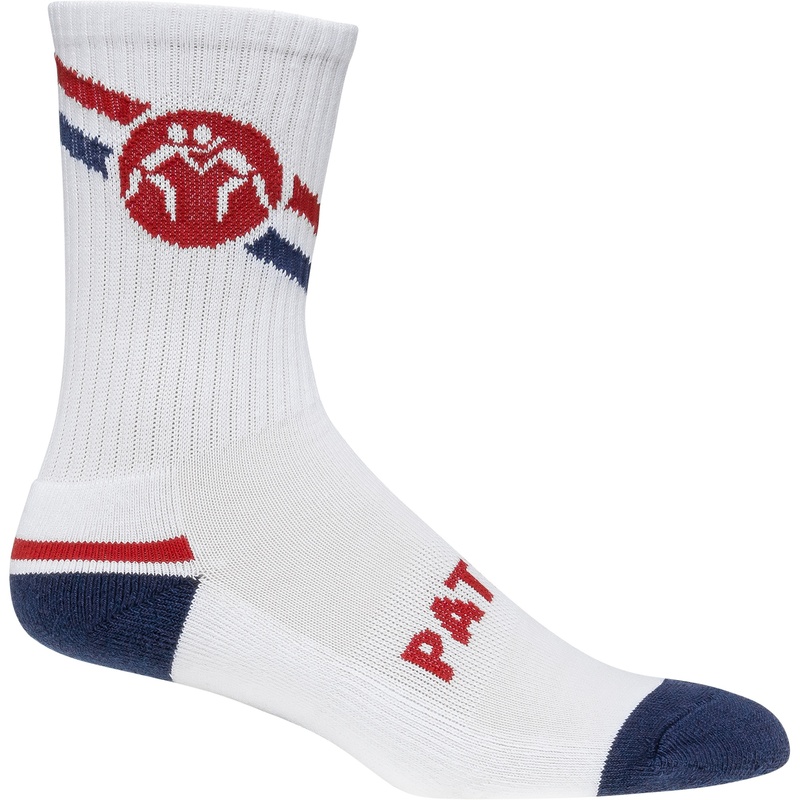 The only shoes that we have control over are the ones that are already physically here in our warehouse, ready to ship. Although there are expected release dates and estimated time ranges in which we expect shoes to come in, those shoes have to pass through a series of hands before they get to us. 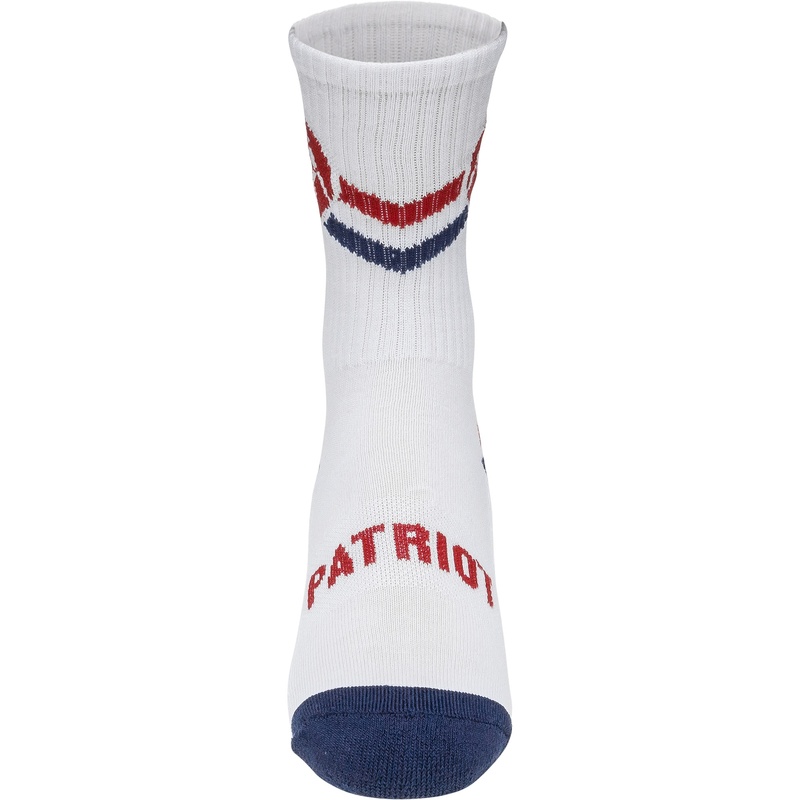 They are shipped from overseas, have to pass through customs, and then ship to our vendor (Nike). 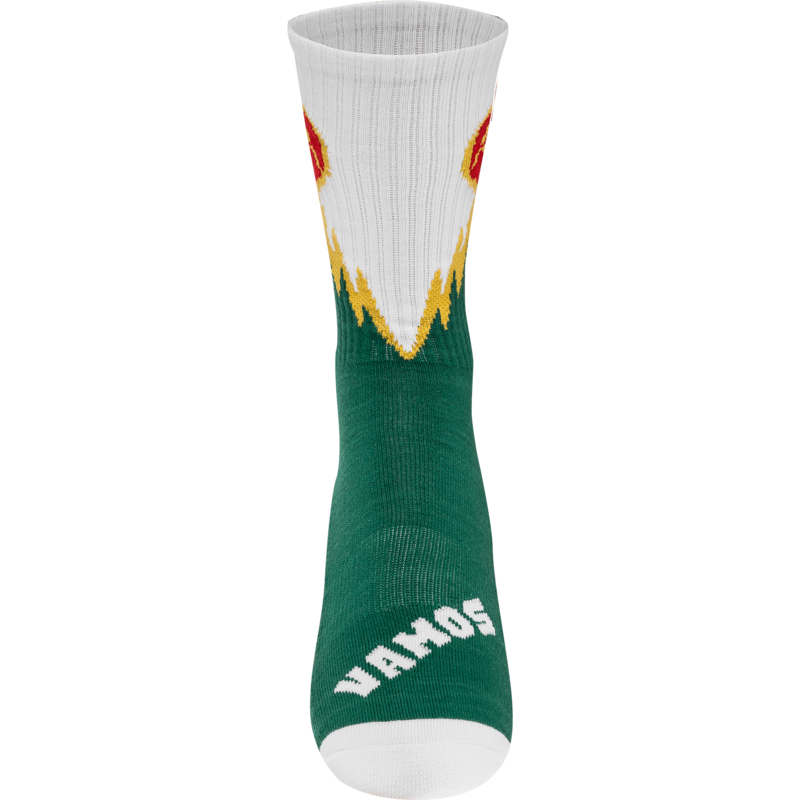 Once Nike receives them, they do a quality check, and then allocate them to the appropriate distributors such as ourselves before shipping them to us. Even if some of the shoes get here on time, our past experiences have shown us that often these large booking orders get delivered to us in "waves". 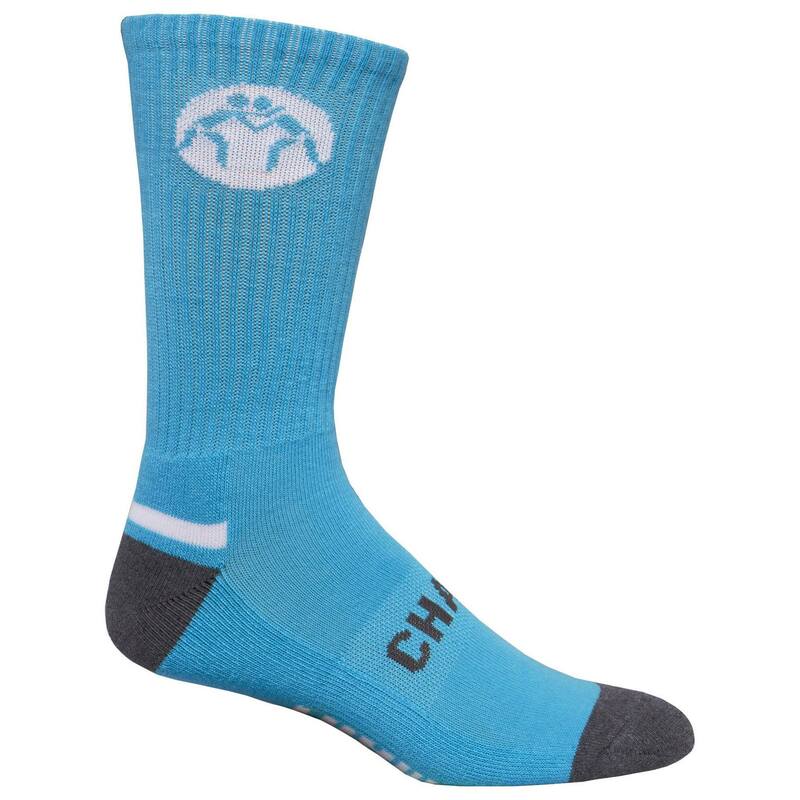 So even though we expect to get all the shoes in the same time frame, often we'll get "chunks" of the shipment set apart by a few days or a week. After we get everything in, there is still some processing time in which we have to receive those shoes into our inventory, and prepare them to be shipped for individual orders. I know this is a long answer to a simple question, but hopefully it provides some transparency into why we don't publish an exact date for shoes that haven't come in yet. More often than not, shoes come in later than expected, for one reason or another. Every so often, we get lucky and get shoes early, but we generally don't bank on it. Hey! 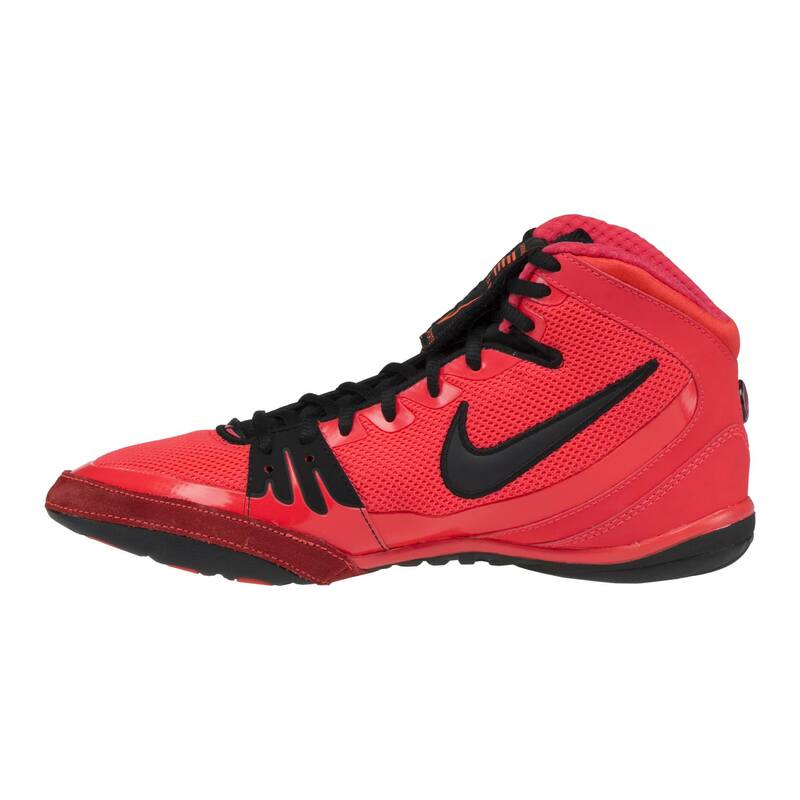 I just have a question I use my speed and quickness when I wrestle and I always wore the Nike takedown and I just got the freeks and they feel heavier and I can't move how I want in them but what if I get the inflicts will they feel and be the same since they have the same bottom and their light ? Thanks for the question! 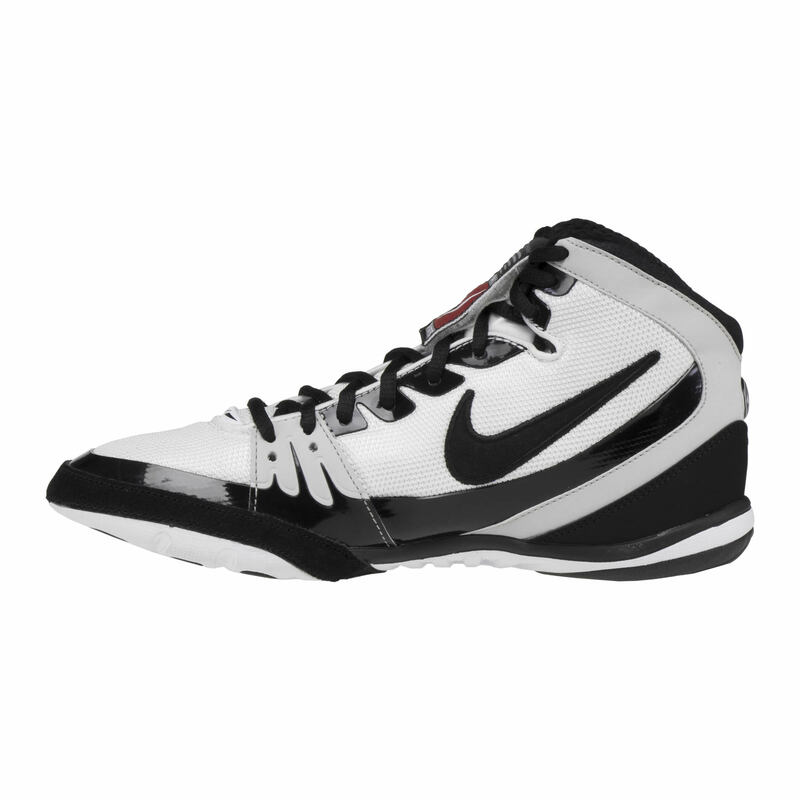 I can tell you know your wrestling shoes pretty well. The Nike Freek is the most grippy and supportive shoe in Nike's product line. From what it sounds like, you'll love the Inflict. 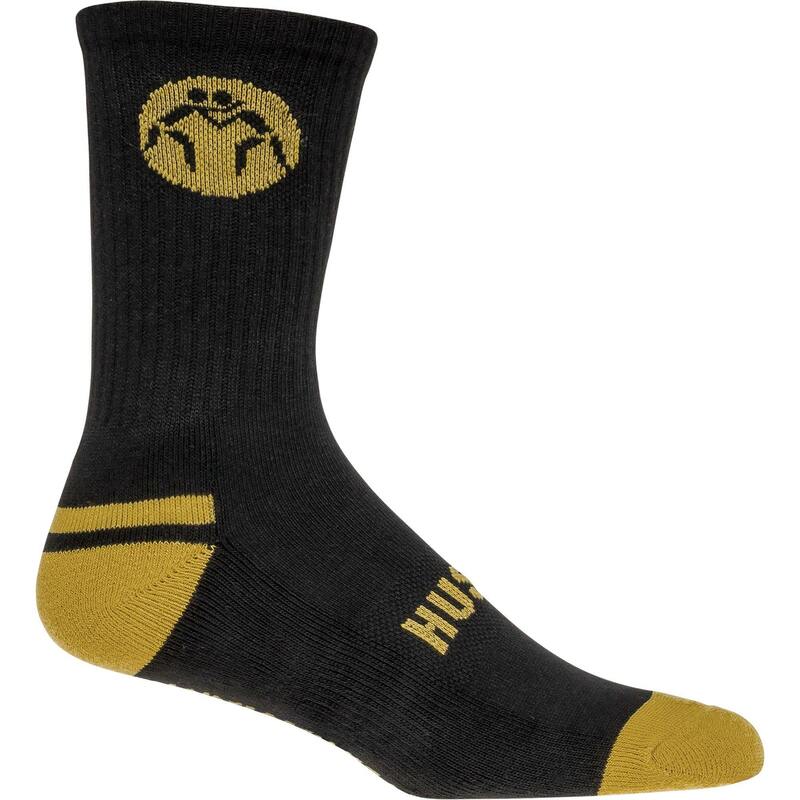 It is a much more flexible and faster wrestling shoe. I would compare it to being a higher-end version of the Takedown. In fact, the Takedown and Inflict have almost identical tread patterns. What is the difference between the Nike freaks and the hyper sweeps? Very good question : ) The Nike Freek is a much more supportive padded shoe with moderate to low flexibility. 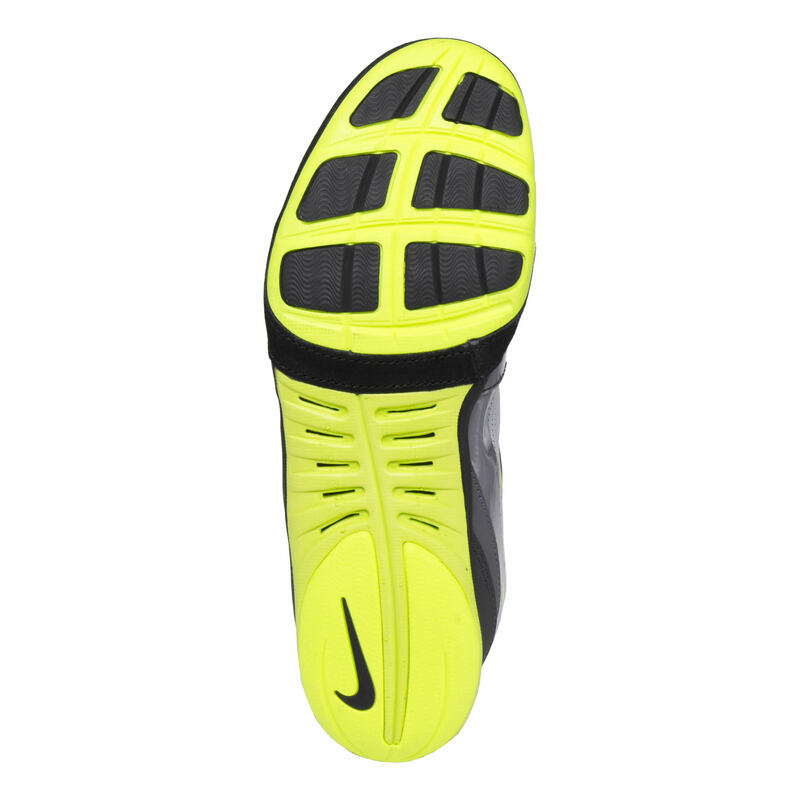 The Nike Hypersweep is a highly flexible, high-grip, competition shoe with minimal padding. 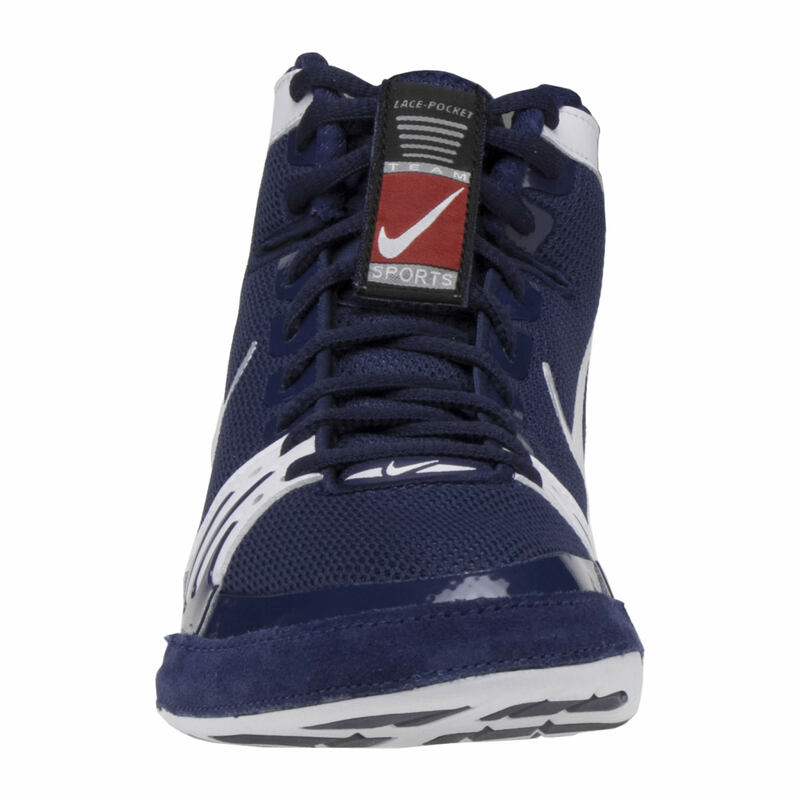 If you are familiar with ASICS' shoe line, the Nike Freek is more like an ASICS Aggressor and the Nike Hypersweep is more like an ASICS Omniflex Attack 2. Will hypersweeps be under 150 dollars? We are not aware of what our pricing will be on the Hypersweeps yet. That being said, there is a very high chance it will be above the $150 price point considering Nike's current shoe price range. 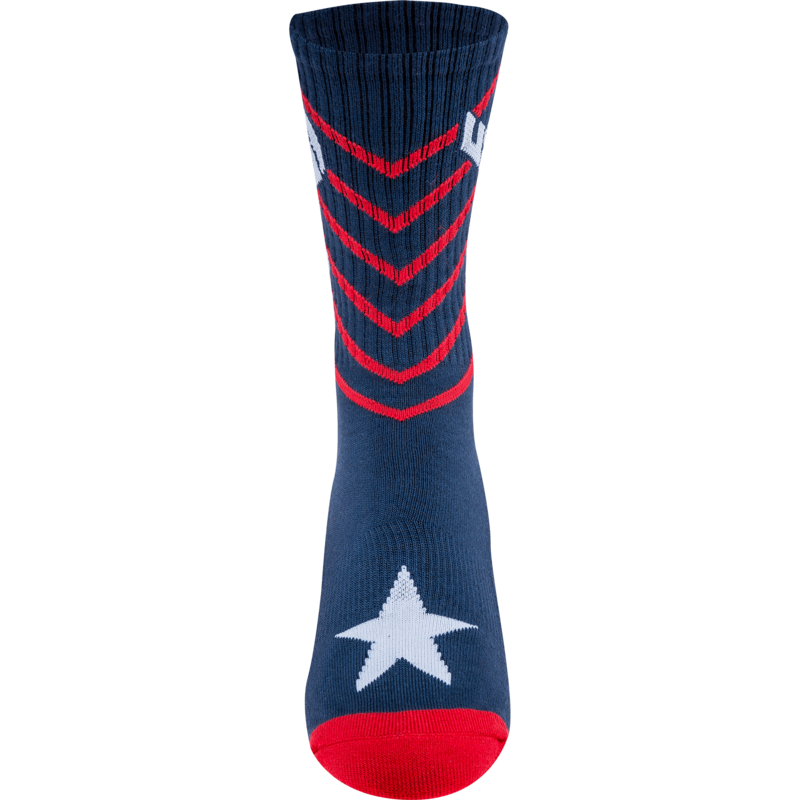 I am a size 11 when will the blue and black and red style be in stock ? WHAT IS DIFFERENCES IN FREEKS AND INFLICT 3S AND WHICH ONES WOULD YOU RECOMMEND OUT OF THE FOR ME I AM MORE OF A LOW SINGLE AND I USE MY QUICKNESS. What would you recommend for me? 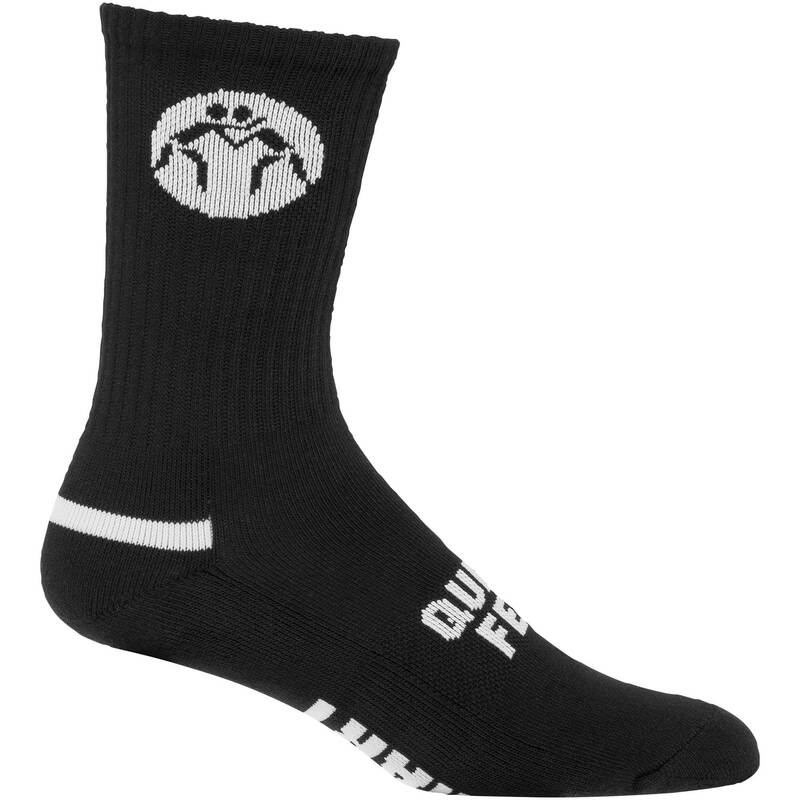 The Nike Freek and Inflict 3 are both great shoes. 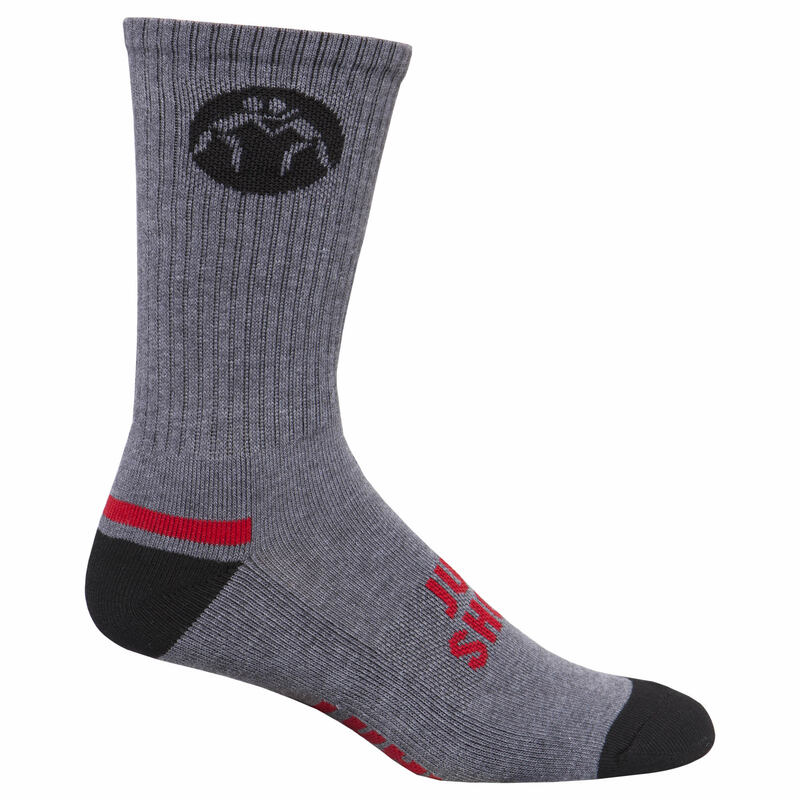 The Freek has a lot more grip and support than the Inflict, while the Inflict is a quicker more flexible shoe. From what it sounds like, I'd suggest the Nike Inflict 3, if you're looking for a Nike shoe with the most speed and flexibility. Will there be a re-stock in the freeks or are they done making? If so when do you think the next re stock will be ? When will you have more white Nike freeks ? We expect to have more Nike Freeks near the end of September. 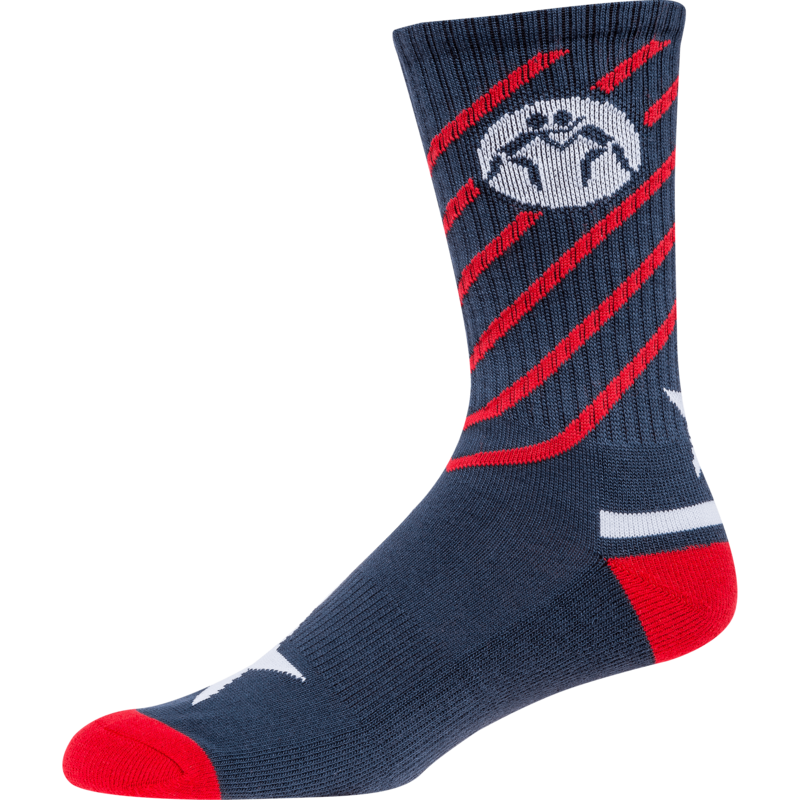 The Nike Freek is a solid wrestling shoe that has quite a bit of grip on the sole. 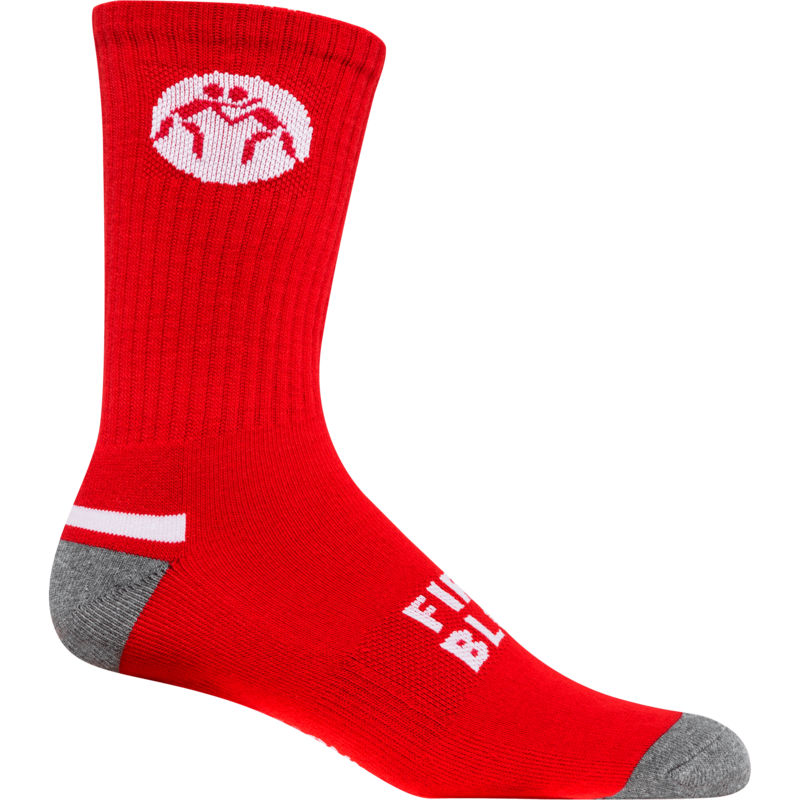 On the outsides of the shoe, the felt makes the Freek a little more slippery. 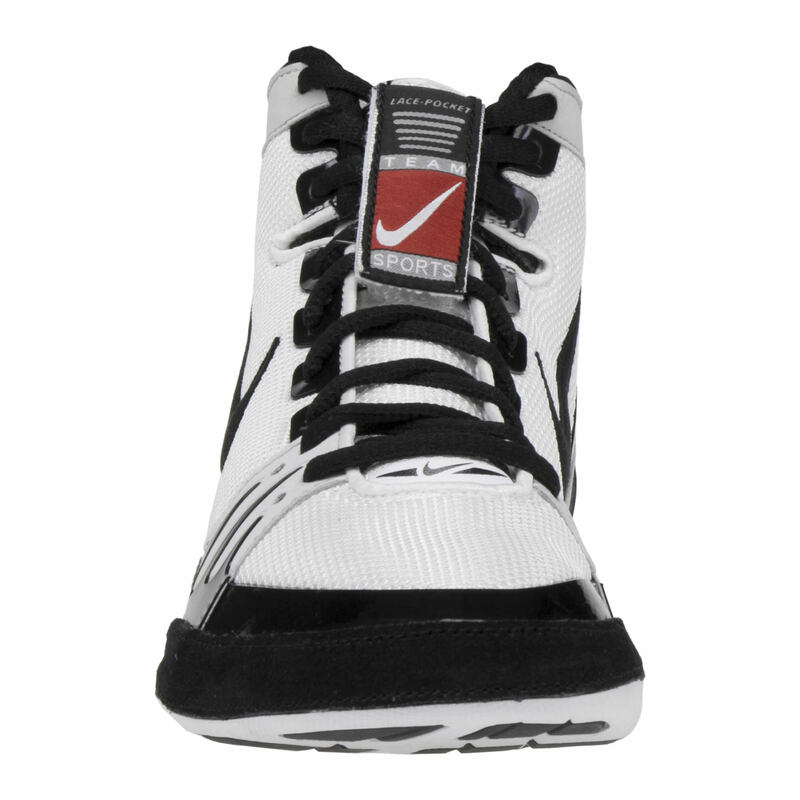 If you're looking for a wrestling shoe that only has grip on the bottom, I'd highly recommend the Nike Freek. 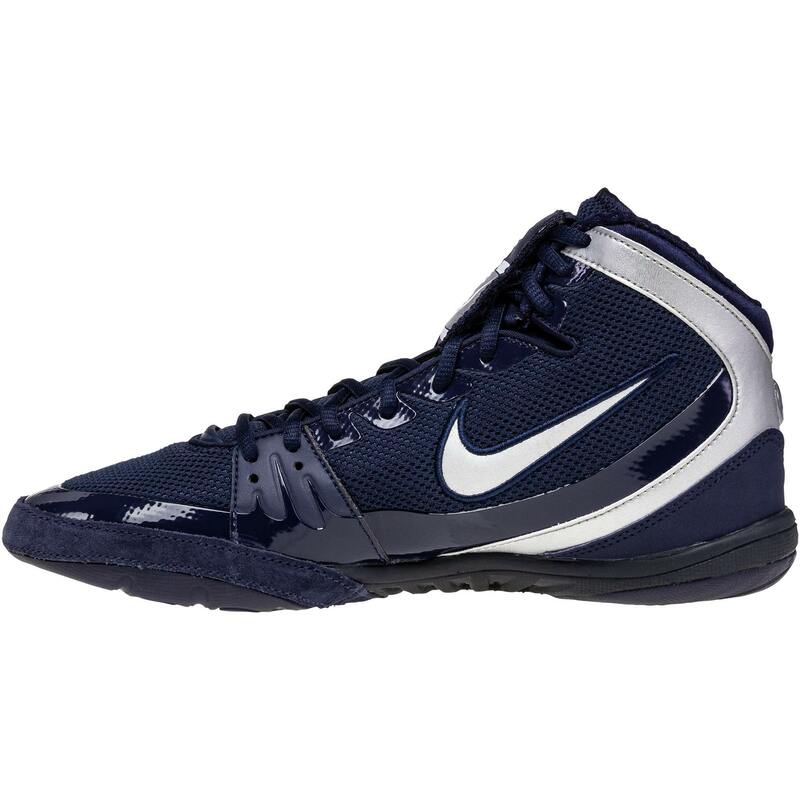 If you're looking for a wrestling shoe that has grip higher up on the shoe, I'd recommend checking out the Adidas Mat Wizard or ASICS Aggressor 2. The Nike Hypersweeps are currently on hold due to quality issues. 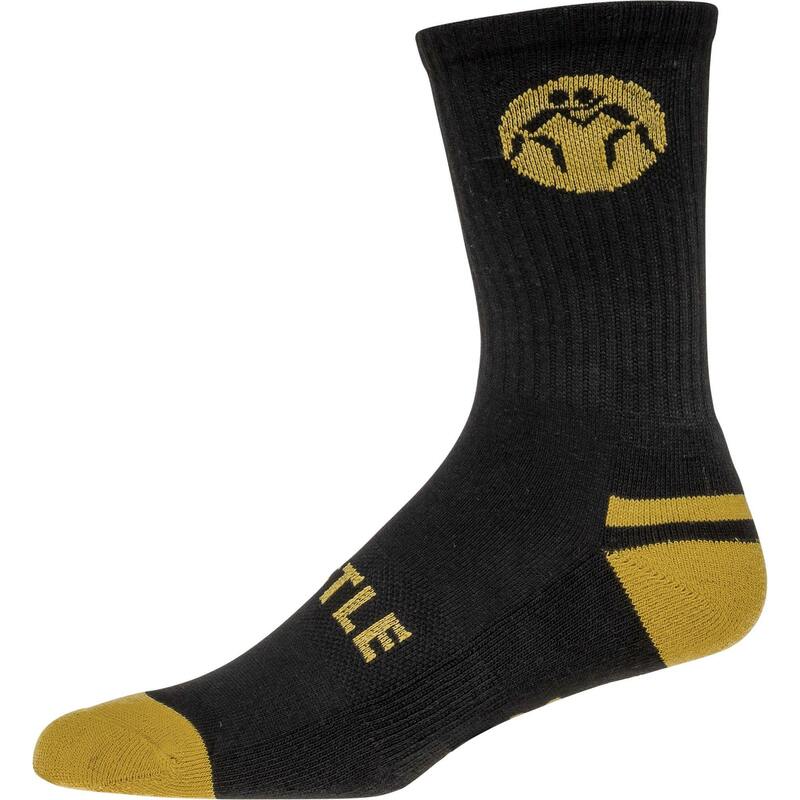 We support Nike's decision to hold the shoe until it can meet the customer's needs : ) Nobody wants to get a wrestling shoe that has poor durability. We should have more Nike Freeks and other Nike shoes re-stocked in the Fall of 2016, hopefully around September. 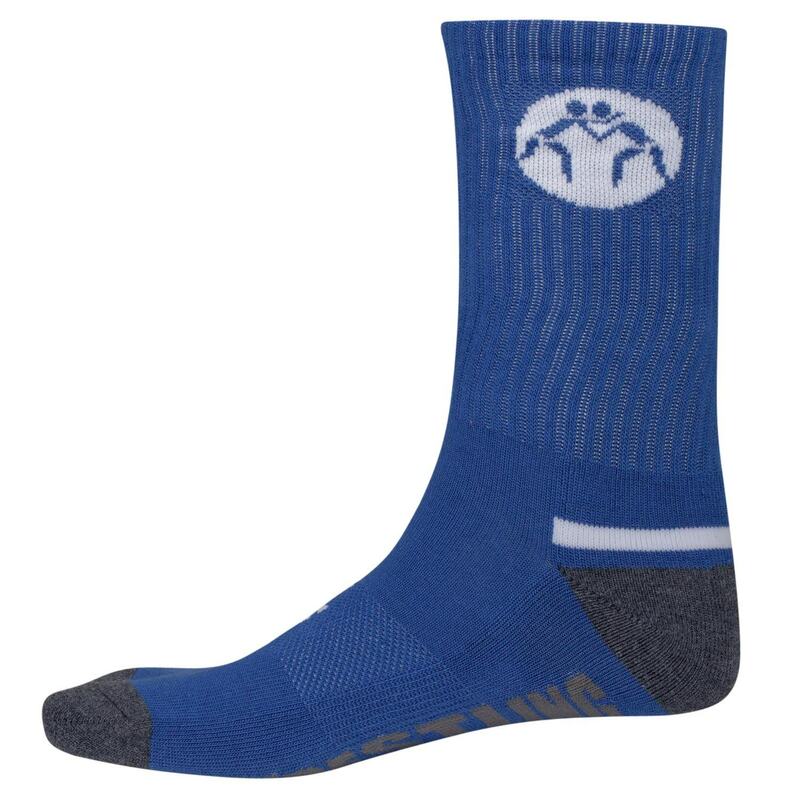 We also have several ASICS and Adidas pre-order shoes coming in around June or July. Do they make a size 4 for the Nike Freeks Red and Black? 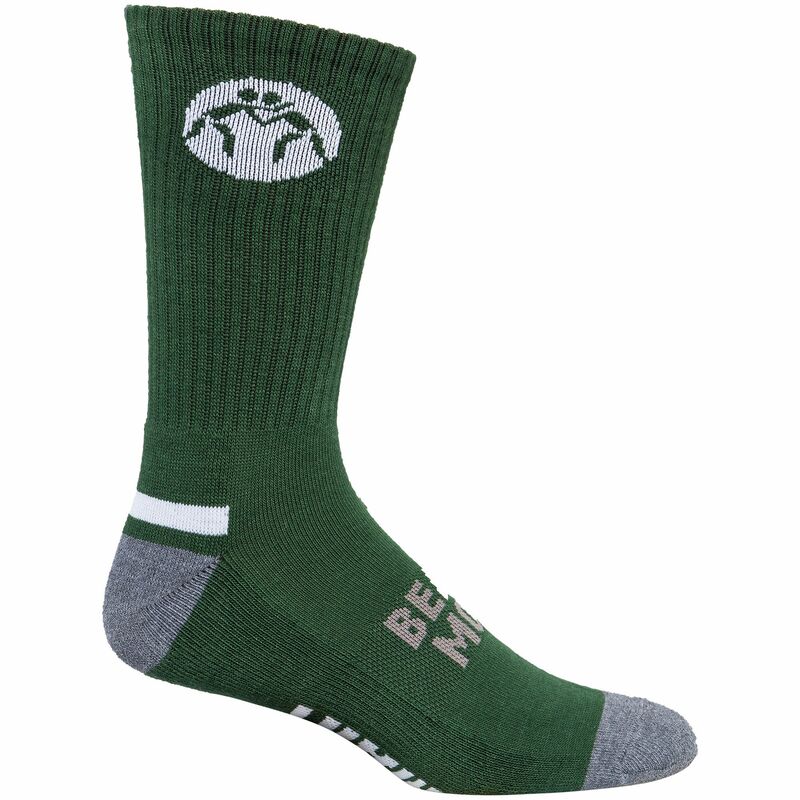 If so will you have some in for next wrestling season. Trying to find them for my son. Are they bringing back hypersweeps? 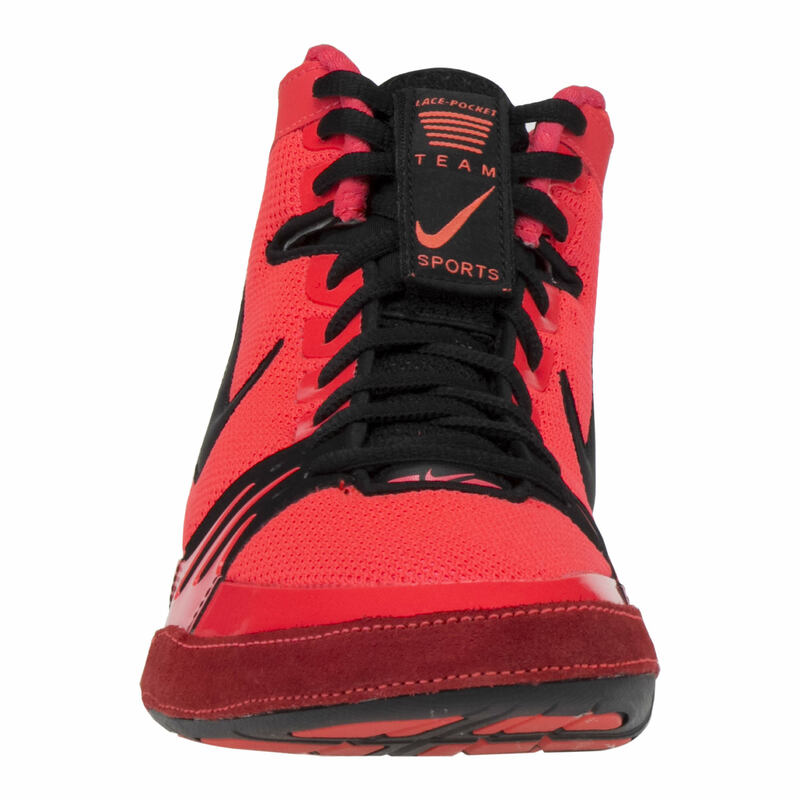 Do these fit like nike inflicts in terms of size on the feet? When will you be selling the hyper sweeps!!! 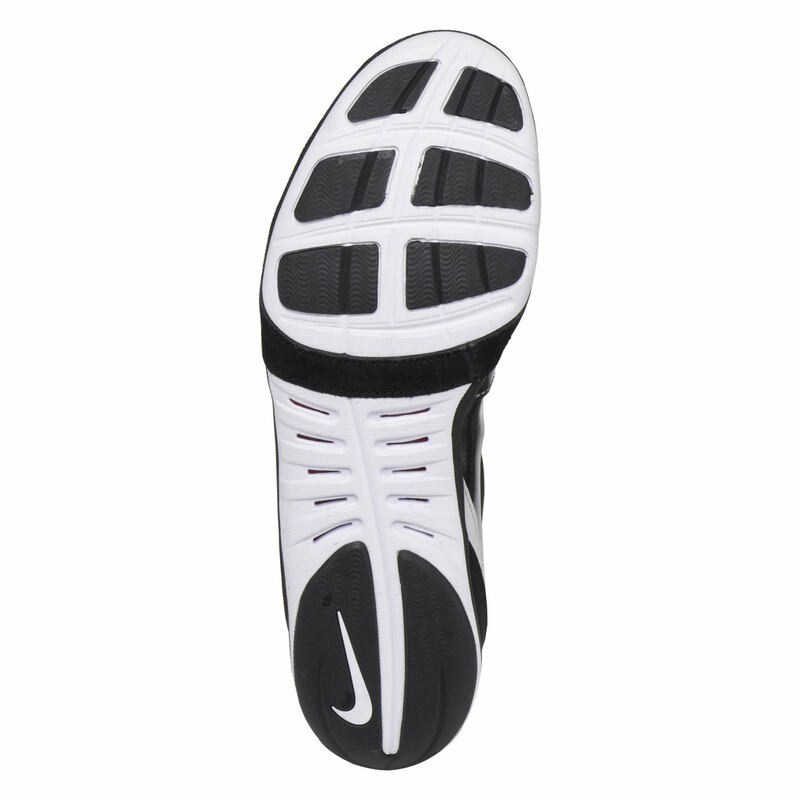 When will either the white on black or the black on white nike freeks be available in size9? 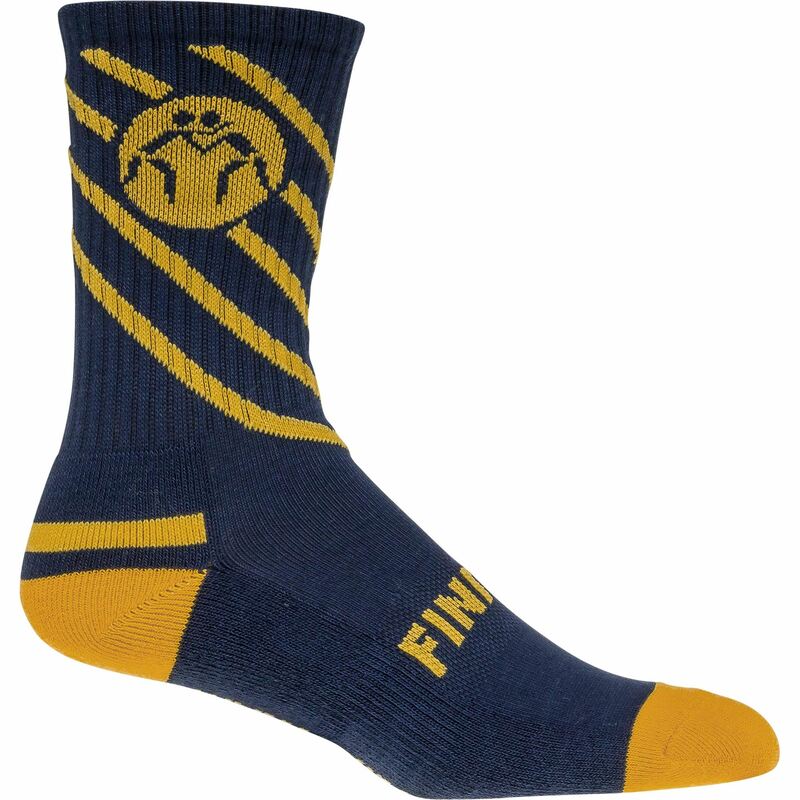 We are expecting more Nike Freek wrestling shoes towards the end of this month or beginning of February. When are the hypersweeps coming out???? will you get Nike Freek Red/black in size 11 soon??? 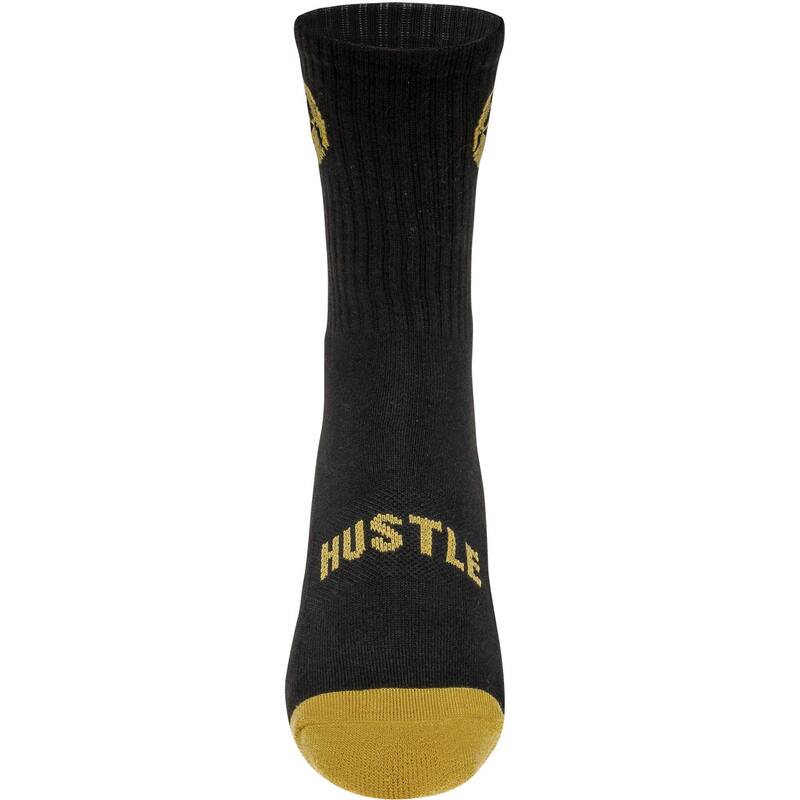 We will post the Nike Hypersweeps as soon as Nike gives us the okay to sell them. 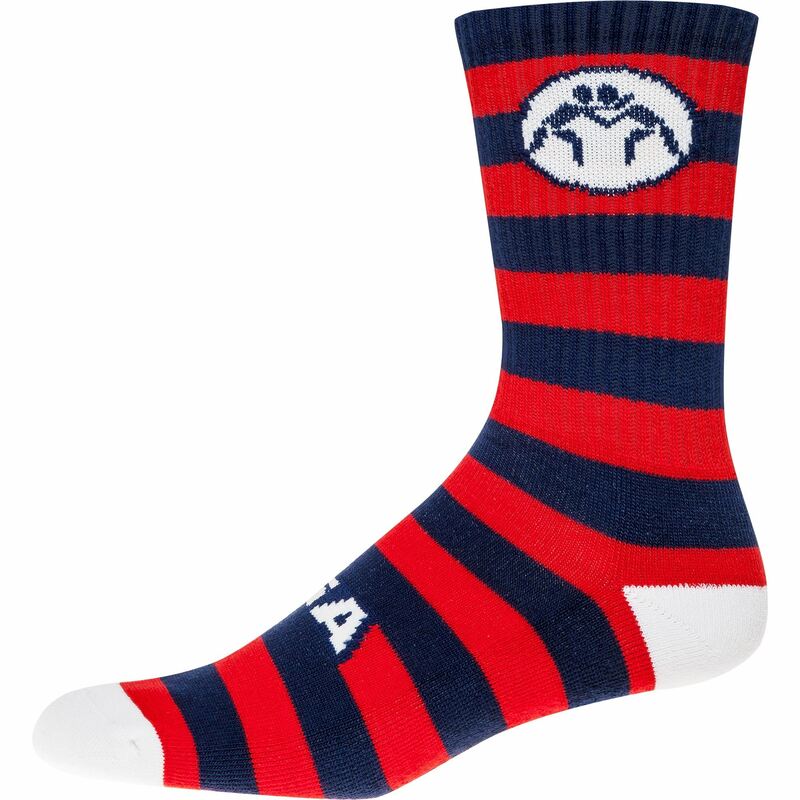 We do not have a definitive date yet but our whole team has seen them and is stoked on the new shoes! How do you know when the size you want is available? 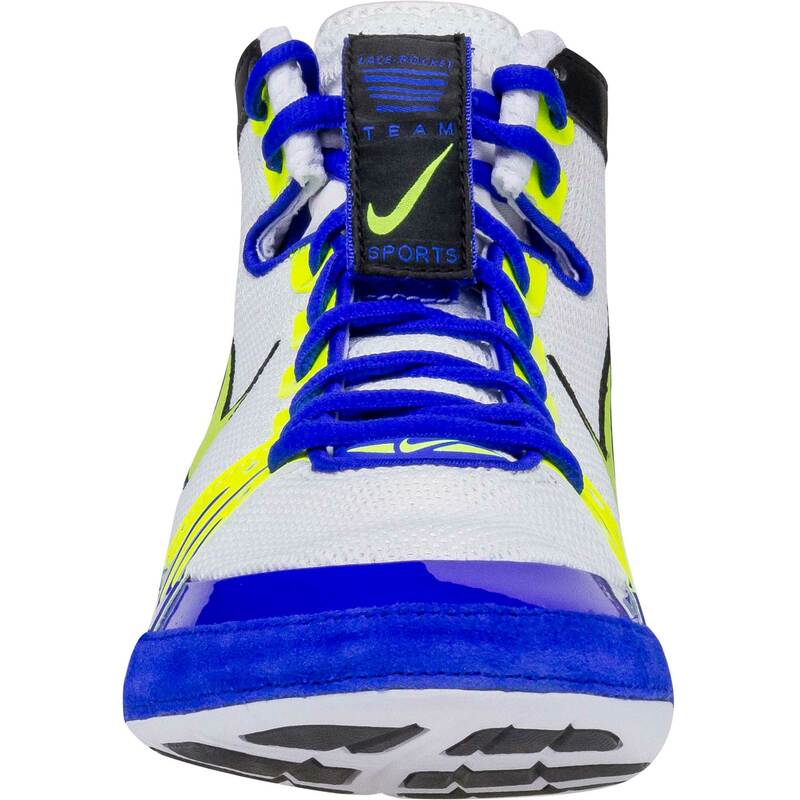 We just rolled out a new website feature which will help people ordering shoes, like the Nike Freeks, to get updated as soon as we get more in. : ) Click on the bell icon next to the desired size and we will update you as soon as we can. Will you be getting the Nike Freeks in a size 6.5? Unfortunately, Nike Freeks start at size 8. 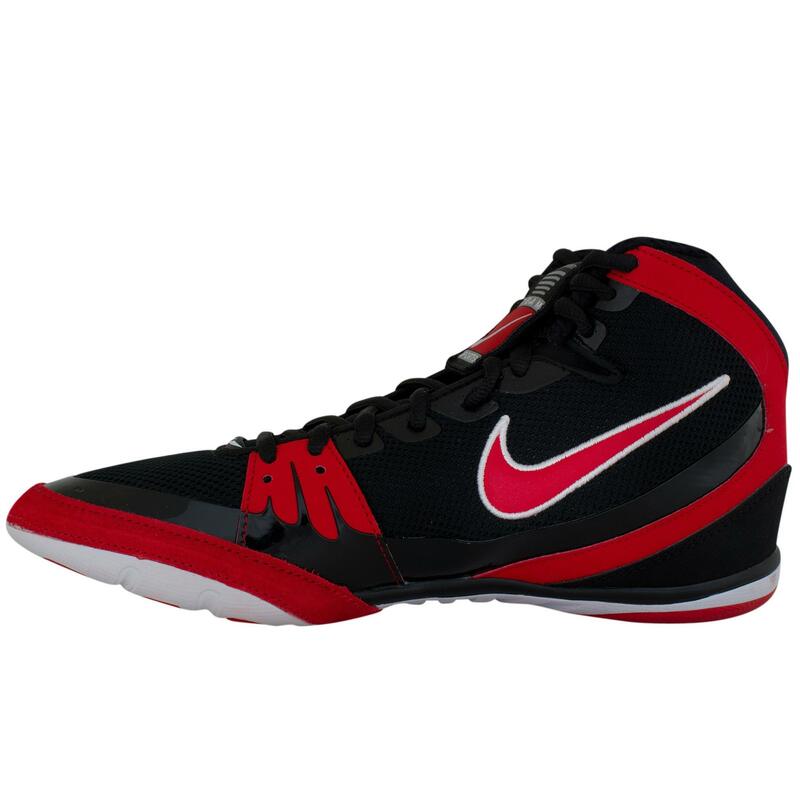 If you are looking for a Nike wrestling shoe in that size, I would highly recommend the Inflict or Takedown. When will the Hypersweeps release ? 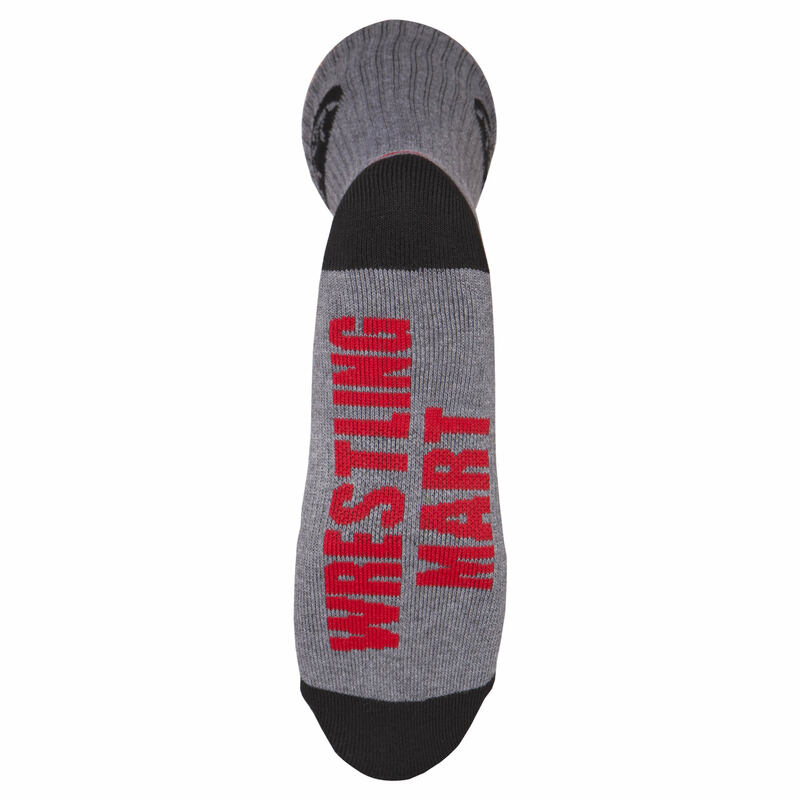 Nike visited WrestlingMart yesterday and showed us the final Nike Hypersweep version! They look super sweet. We are expecting to get them around the end of the year. When are you guys getting a new shipment of freeks? 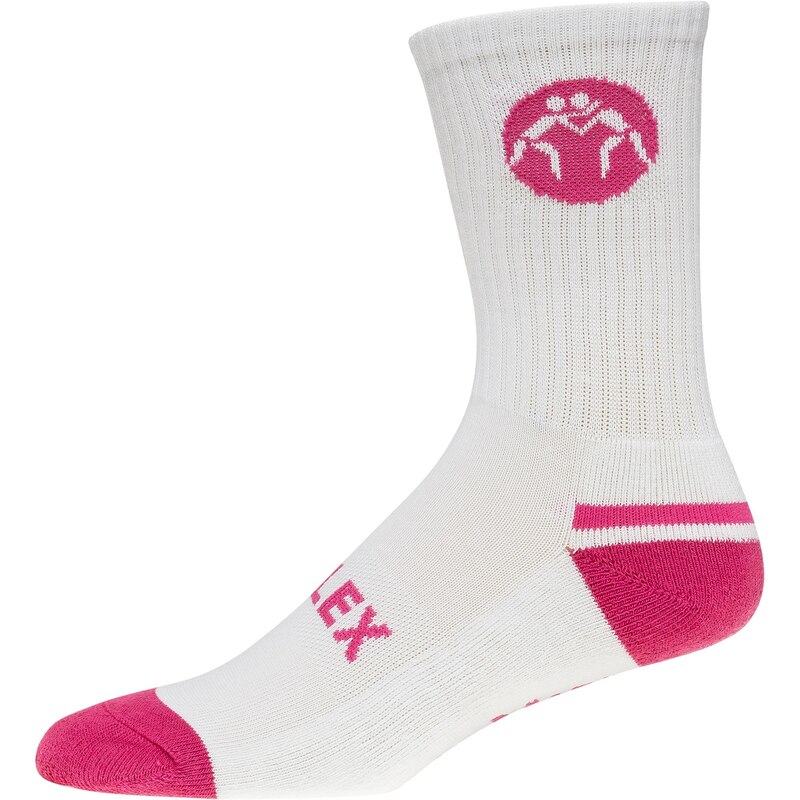 Our next Nike Freek shipment is already in the mail! We should be receiving them shortly. We ship the Nike Freeks out of our showroom in Irvine, California. 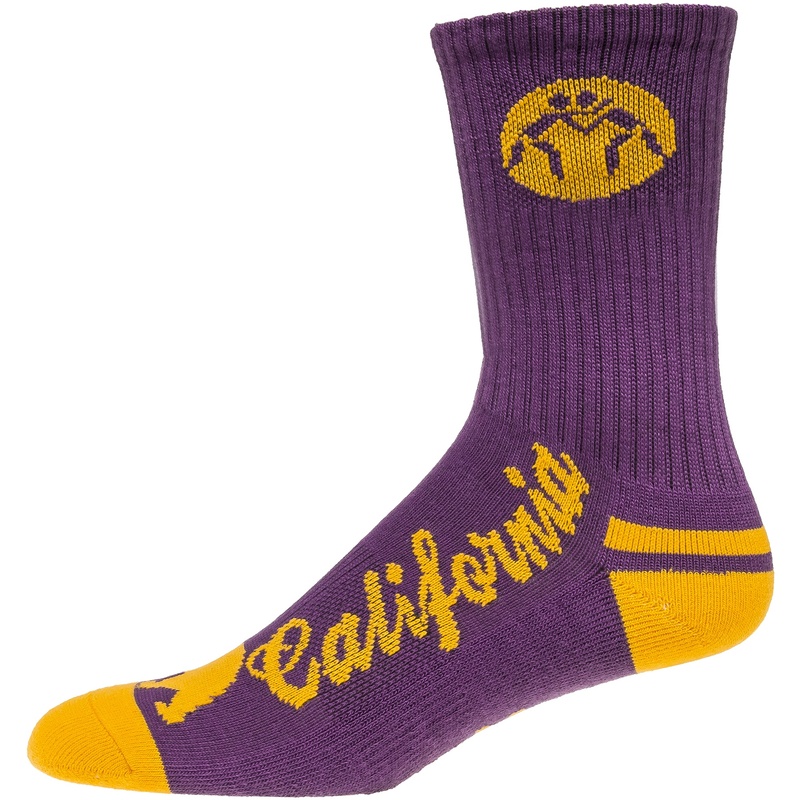 If you are shipping the wrestling shoes to California, you will be charged sales tax. Are the Freeks still in stock ? 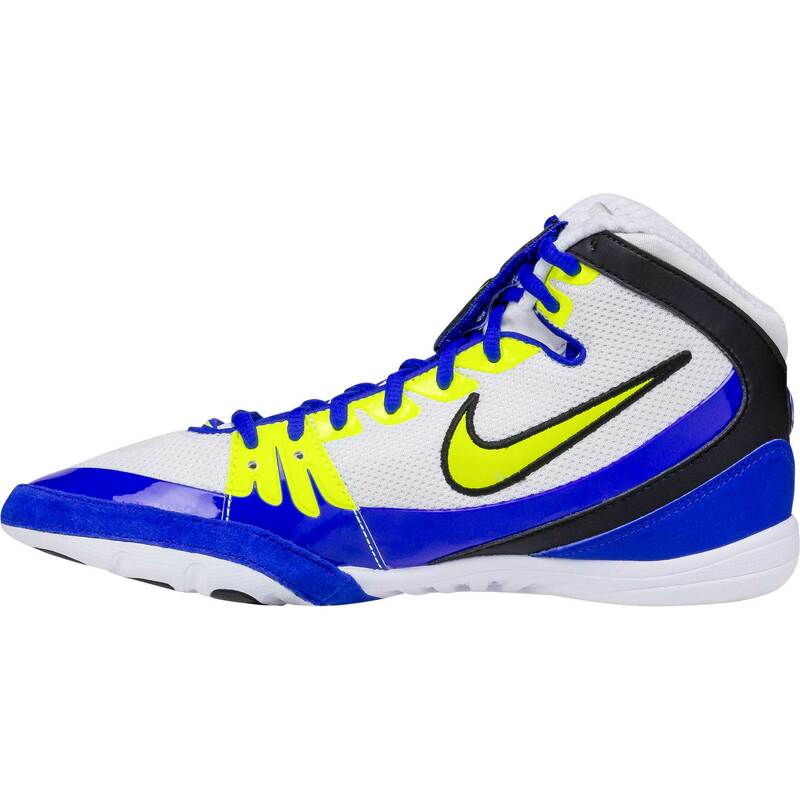 The Nike Freeks are the best selling wrestling shoe this season and I apologize for not stocking enough. We are working with Nike to bring more in as soon as possible and will hopefully have more in December. Do the freeks run true to size??? Unfortunately, the Nike Freeks come in a limited size run that does not include those sizes. 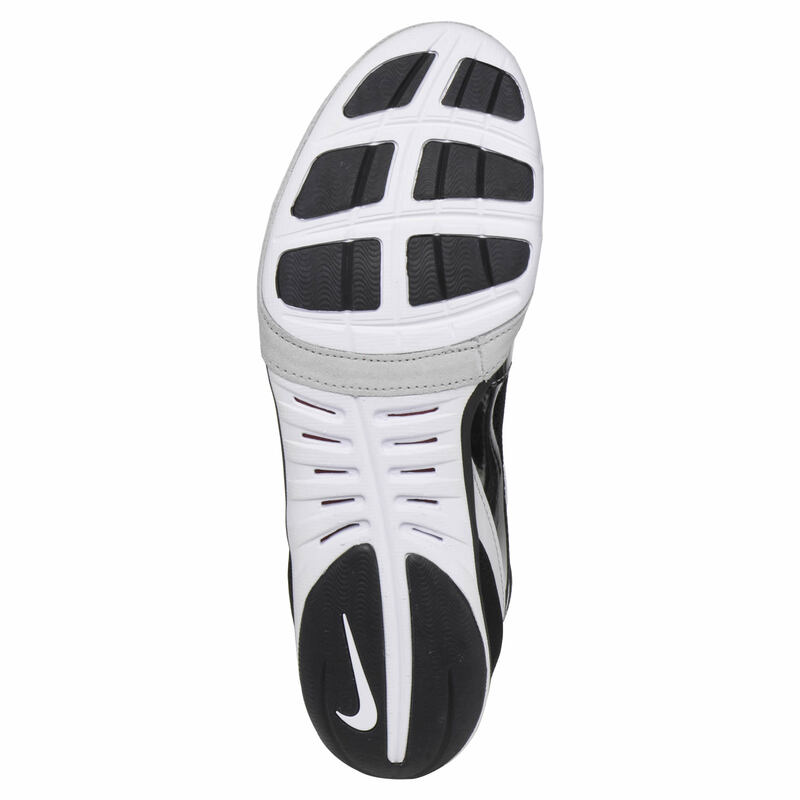 If you are interested in purchasing a shoe from Nike, I would highly recommend the Nike Inflicts. It is one of our staff favorite shoes. 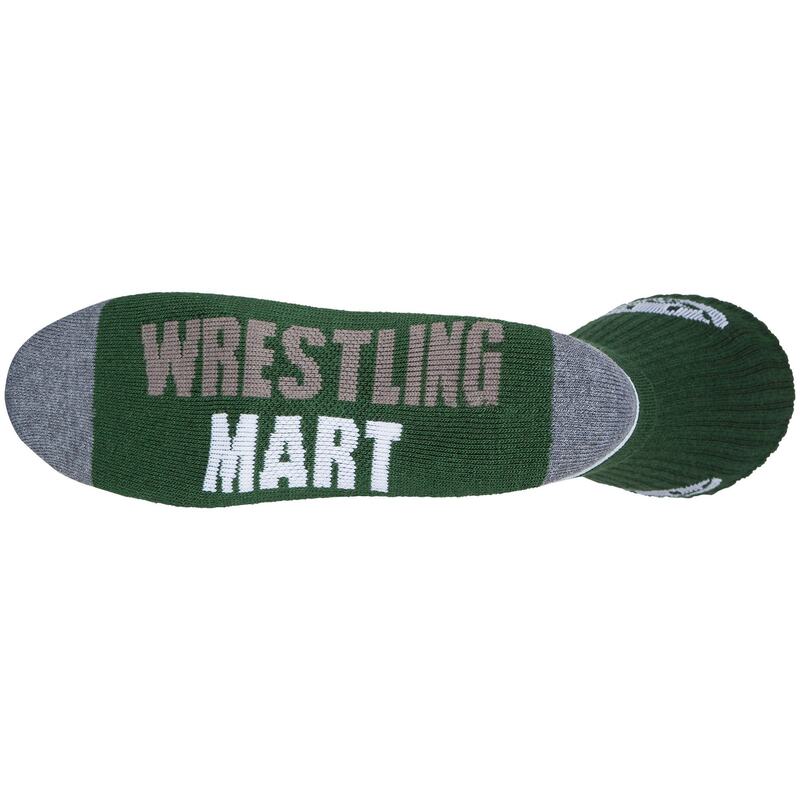 Wrestling shoe sizing can vary between brands and even within brands. So far, the experience of people trying on the Nike Freeks in our showroom has been roughly true to size. If you have any questions or the shoe you order doesn't fit perfectly, please don't hesitate to contact us so we can exchange the shoe for your desired size. 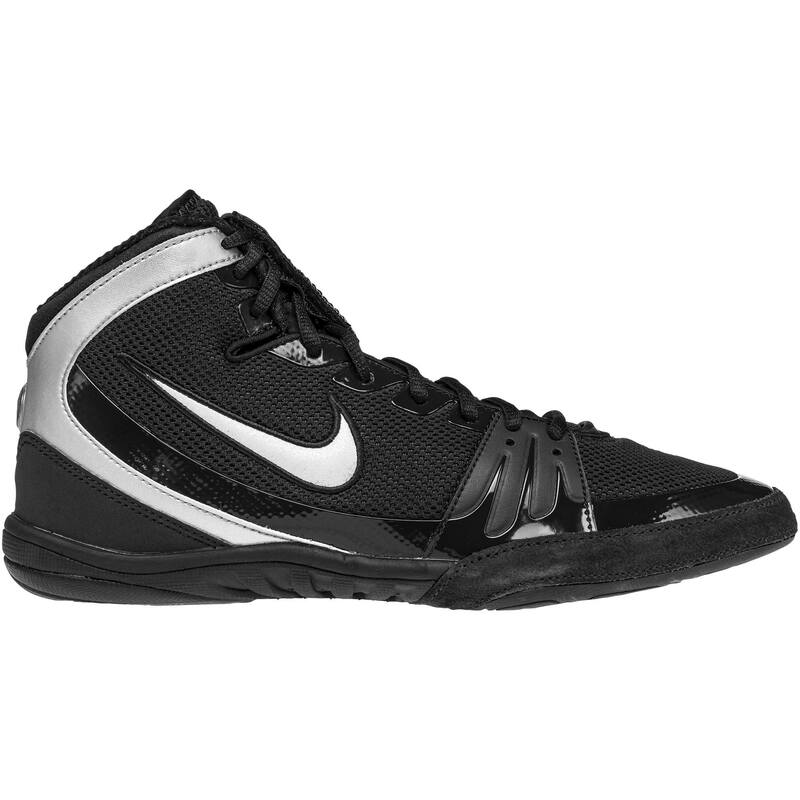 when will you be re-stocking the nike freek wrestling shoes? Yes. We will be getting the entire Nike product line in at the end of this month along with restocked Nike Freeks in the current colorway and new colorways as well.